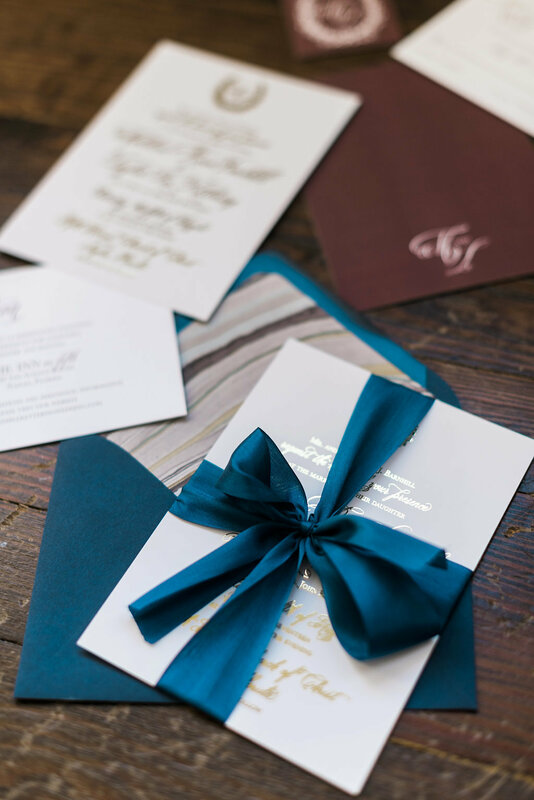 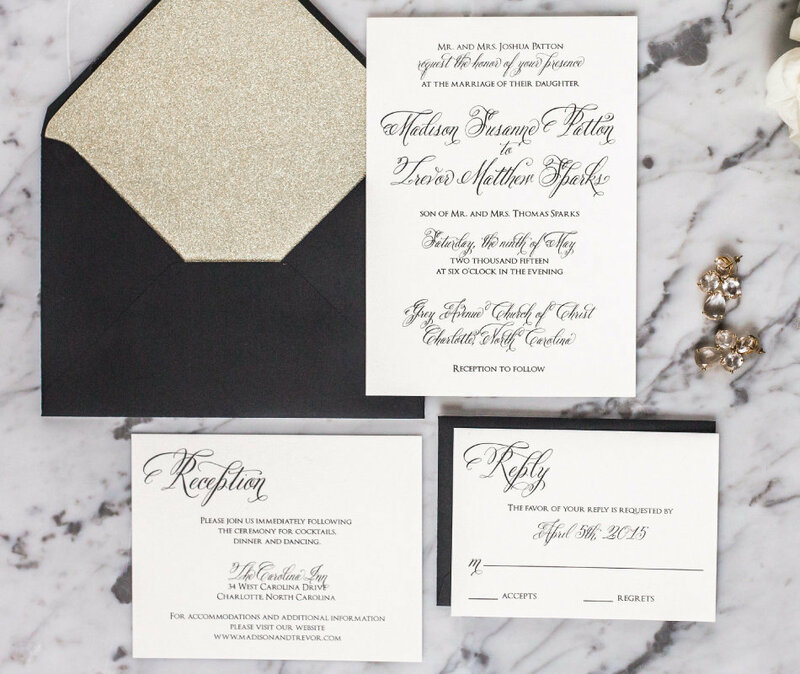 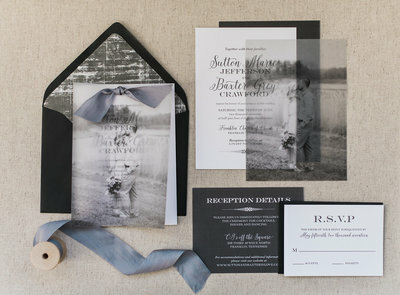 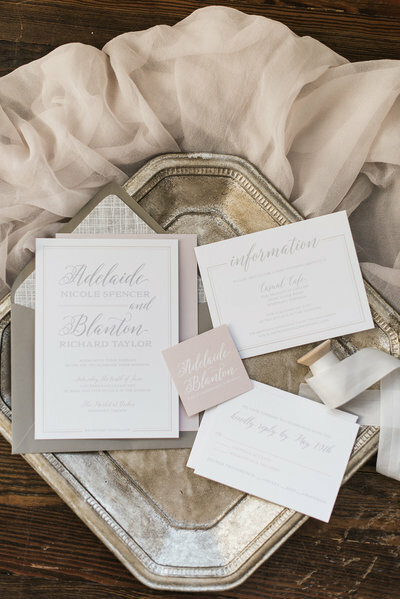 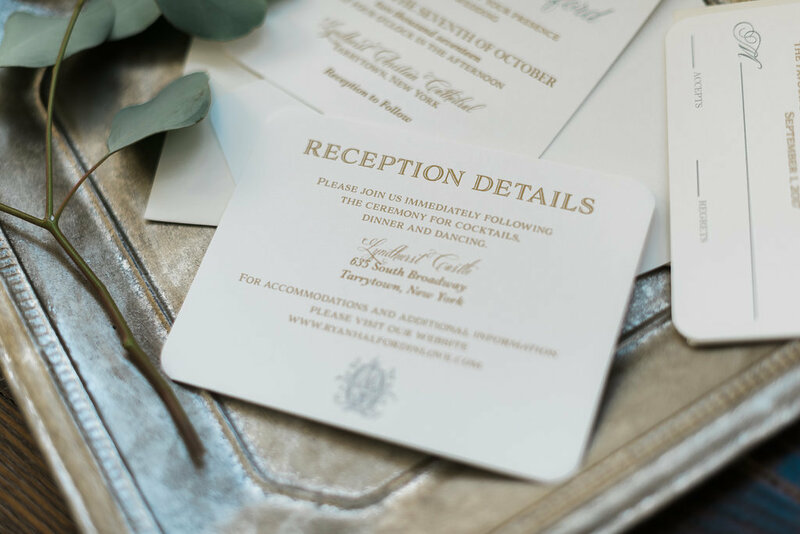 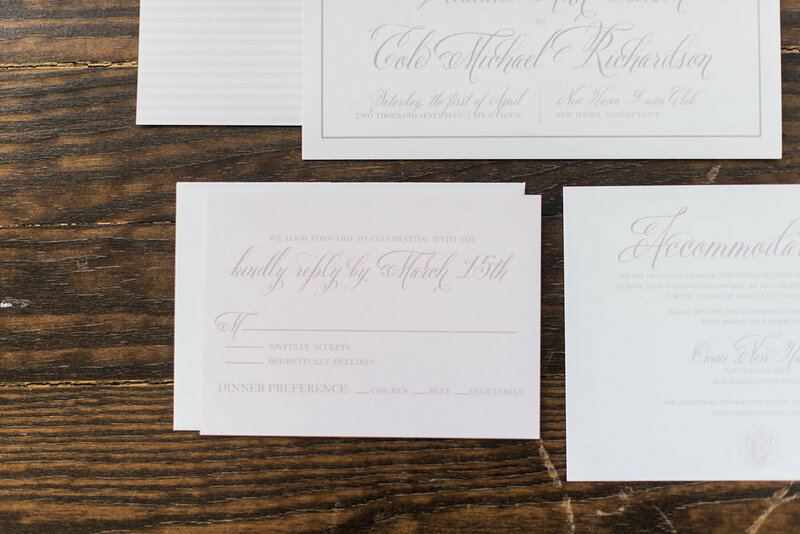 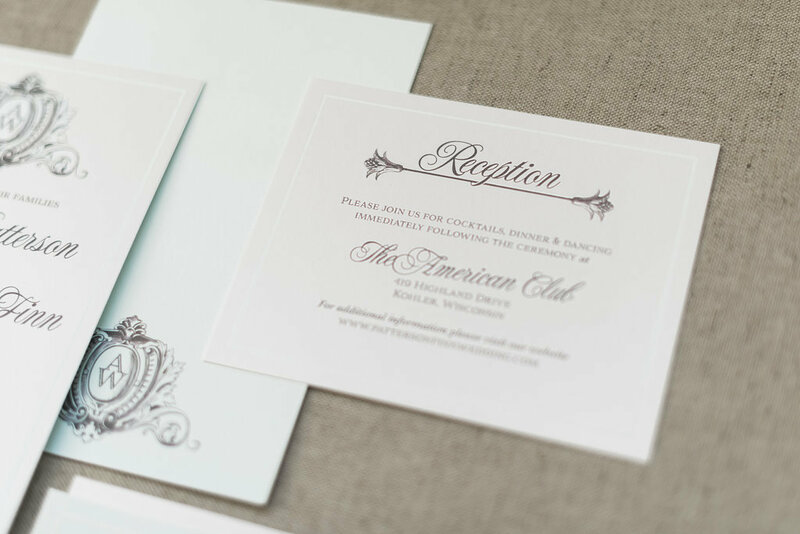 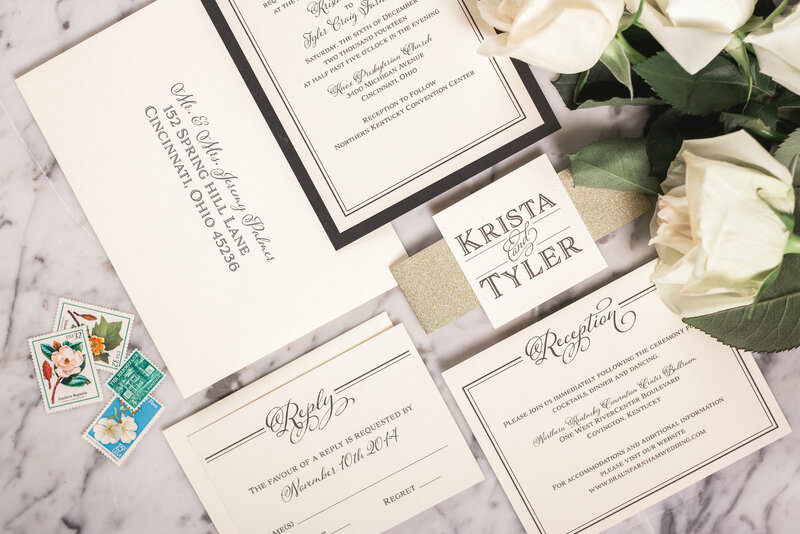 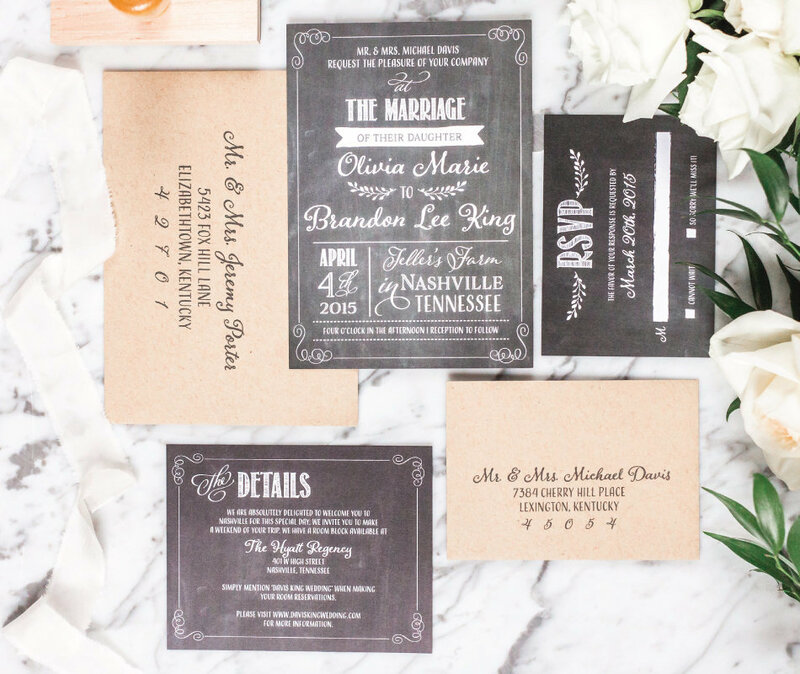 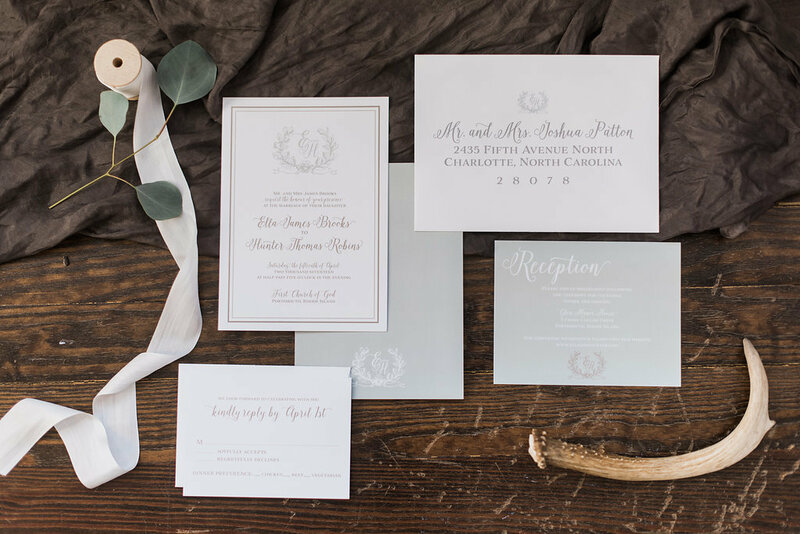 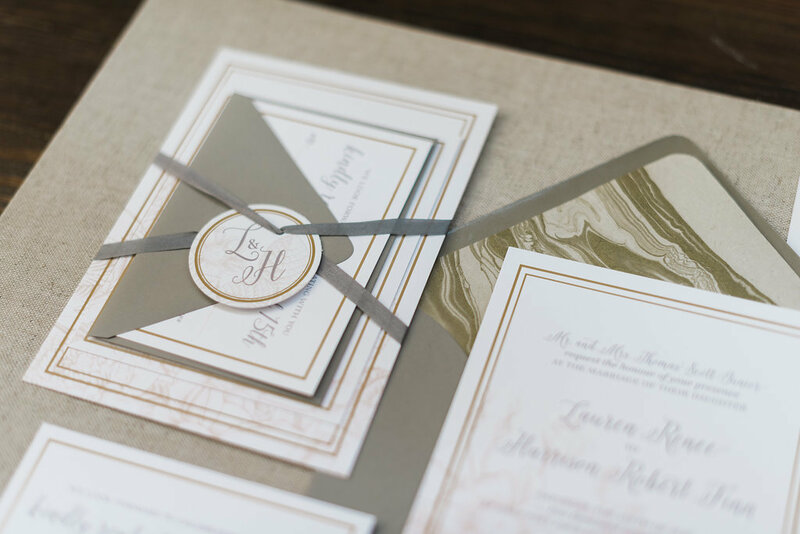 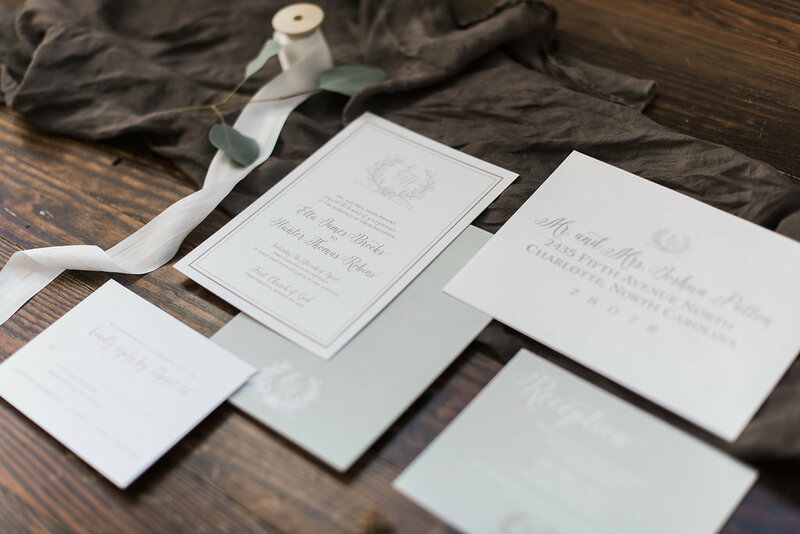 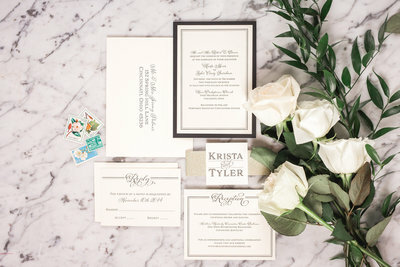 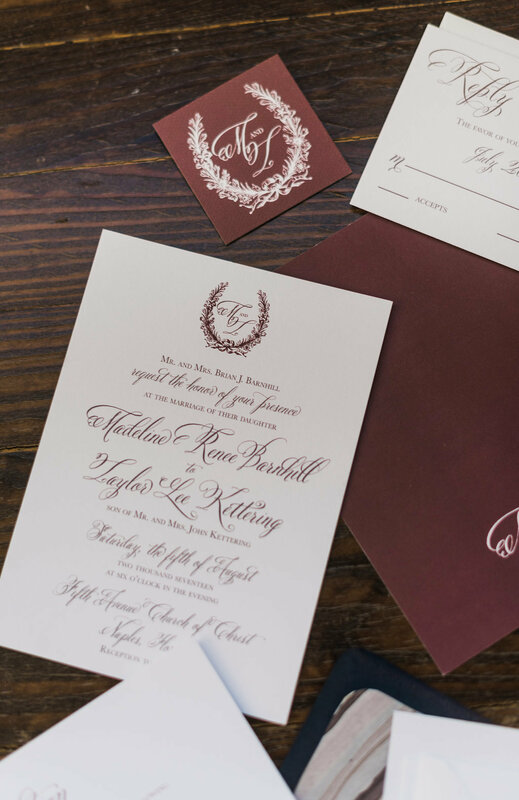 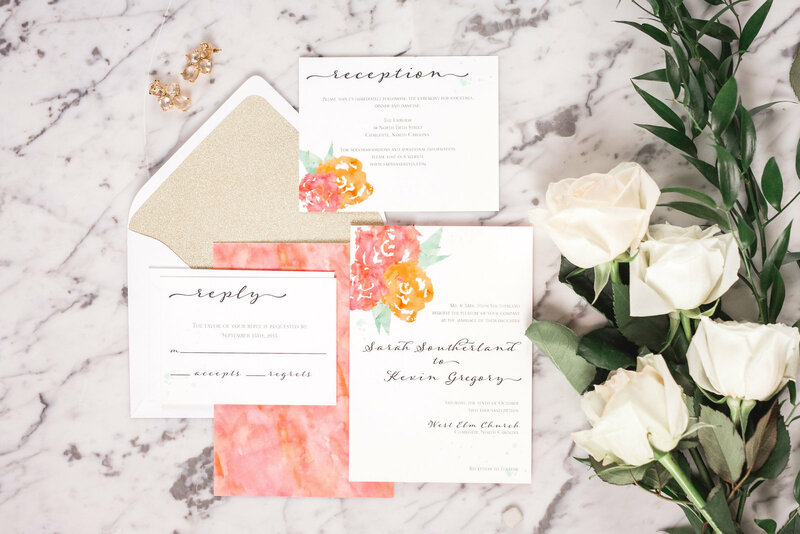 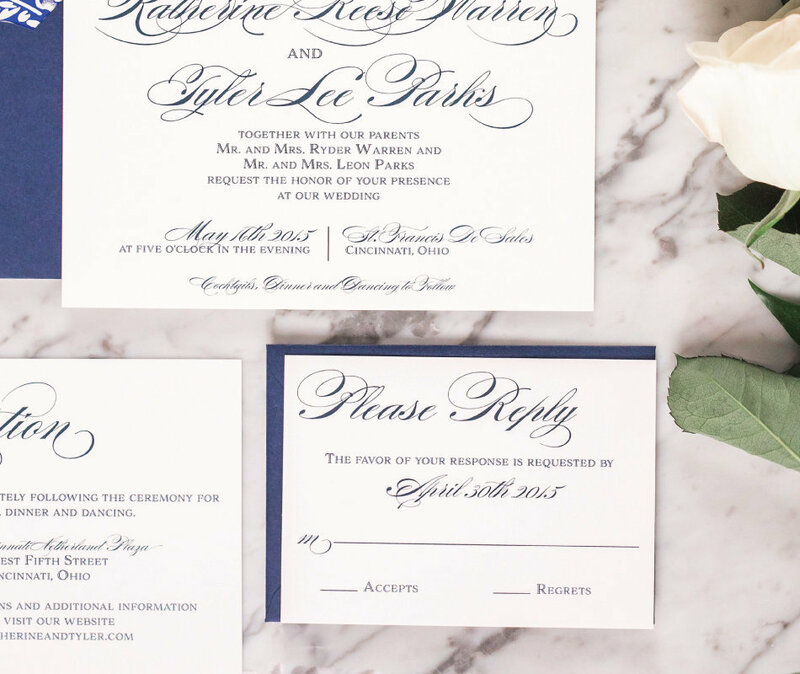 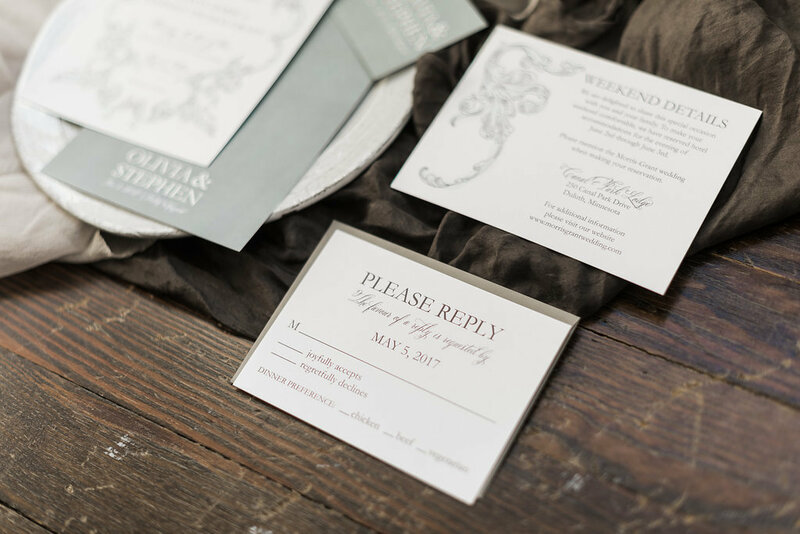 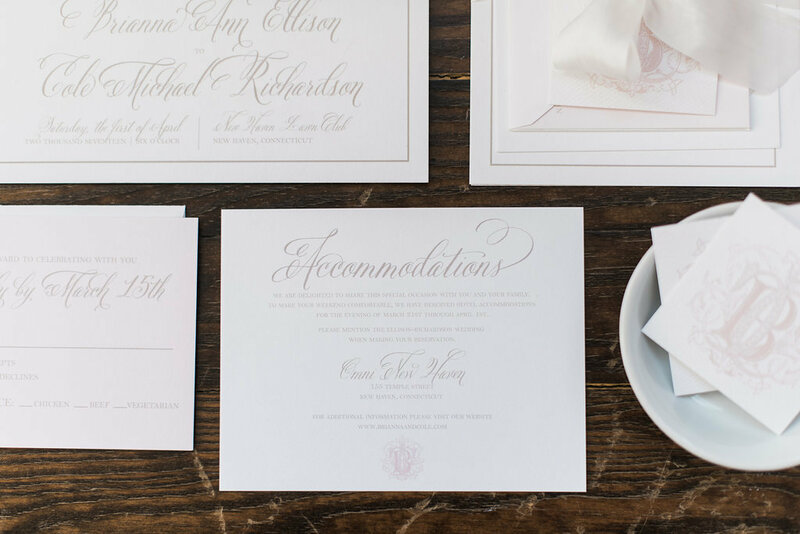 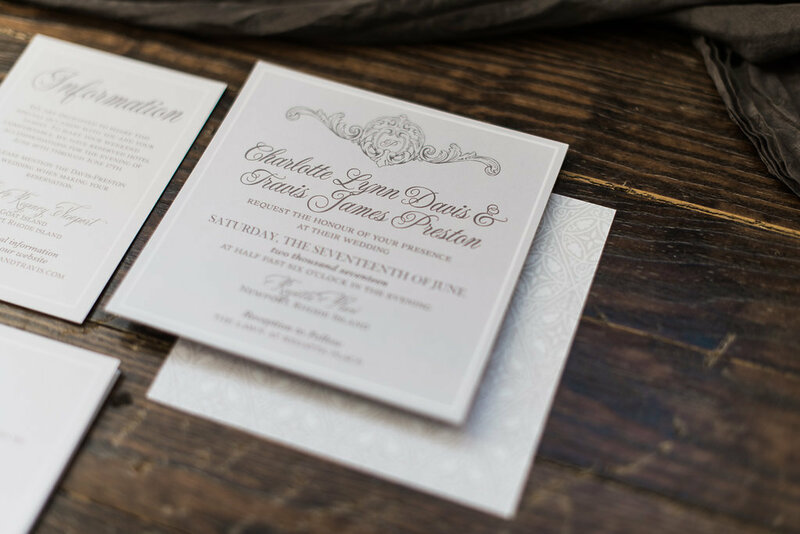 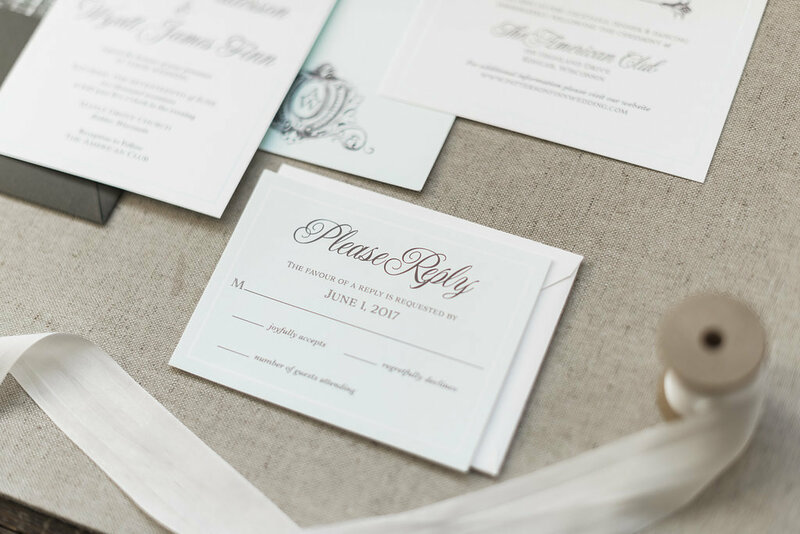 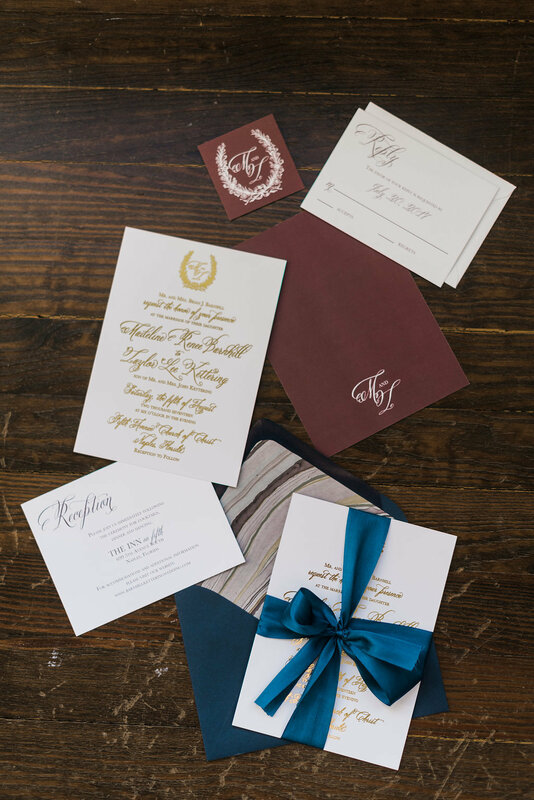 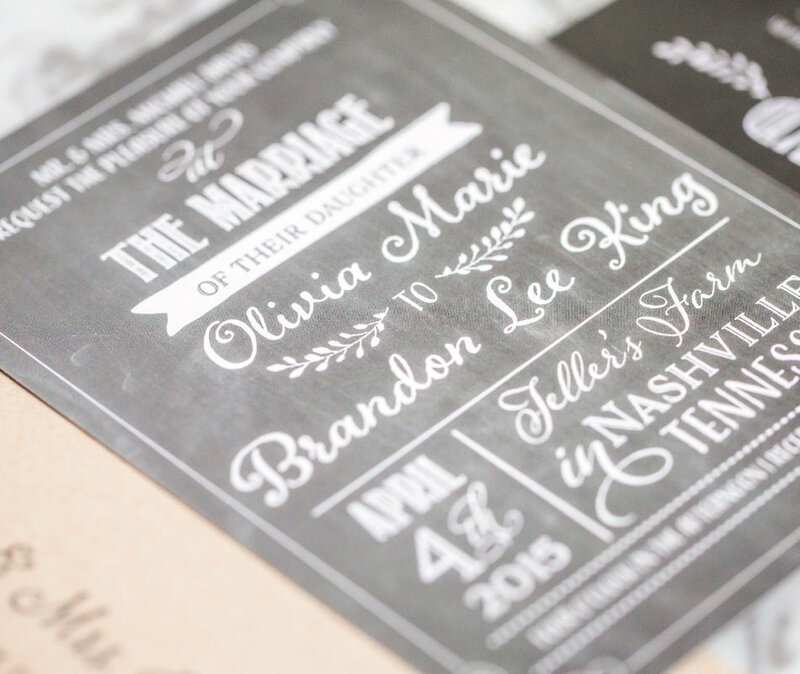 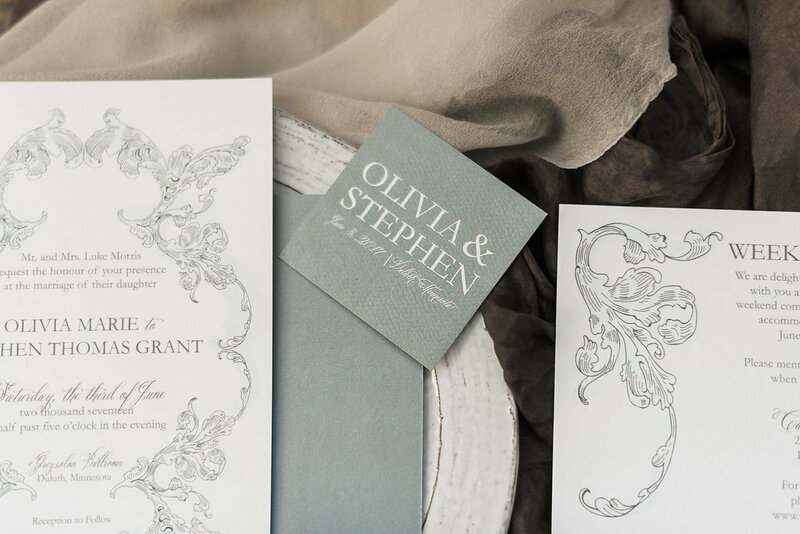 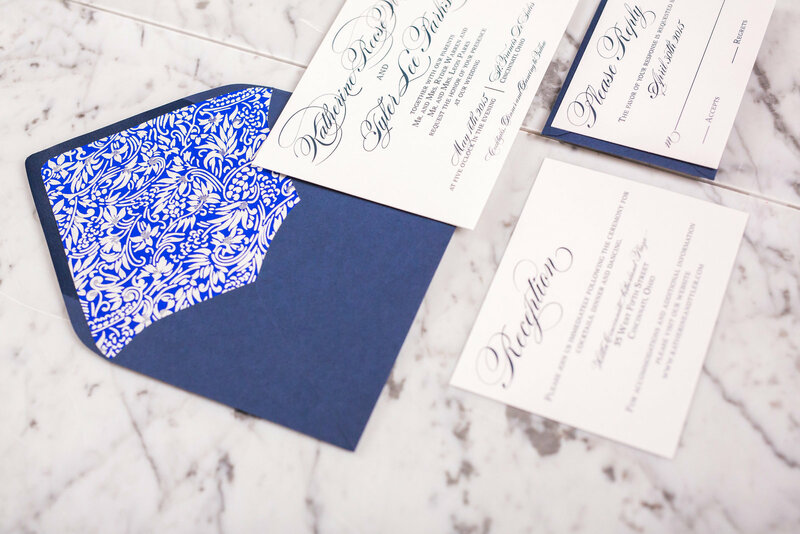 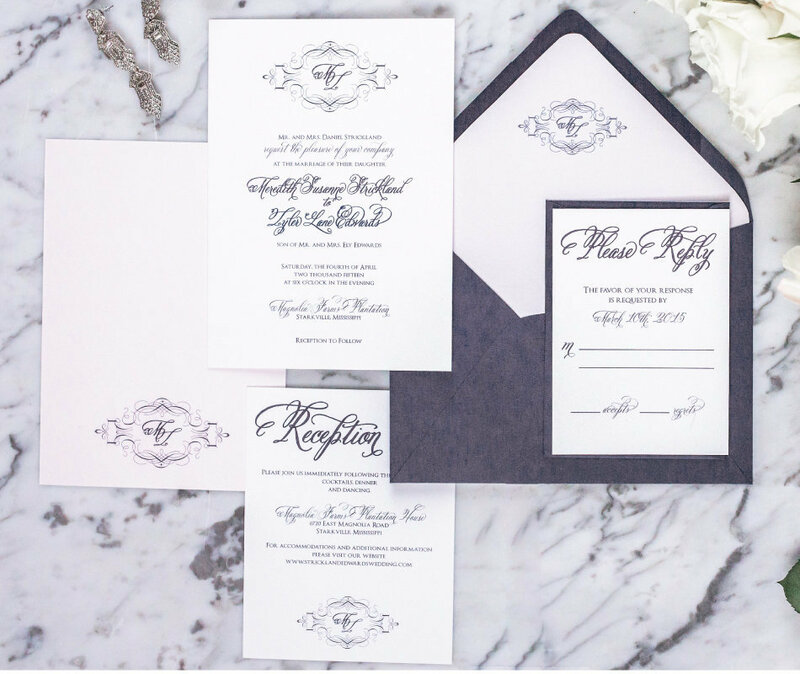 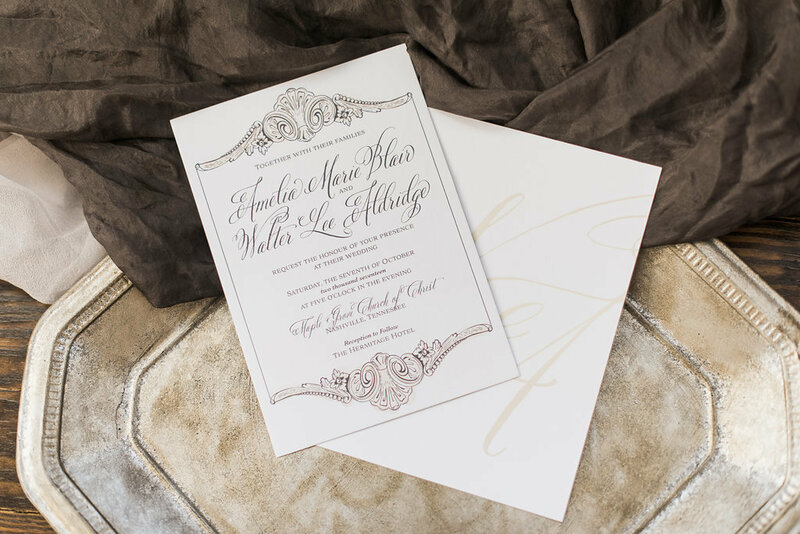 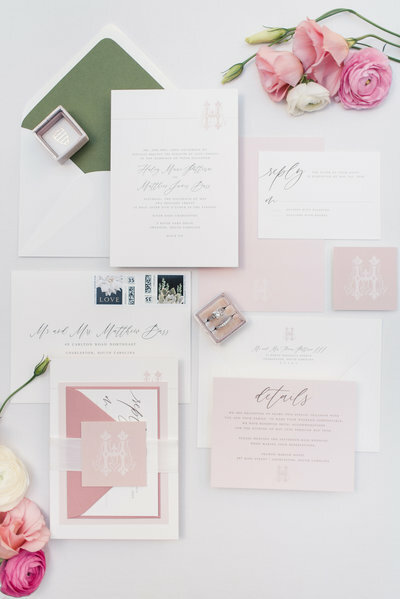 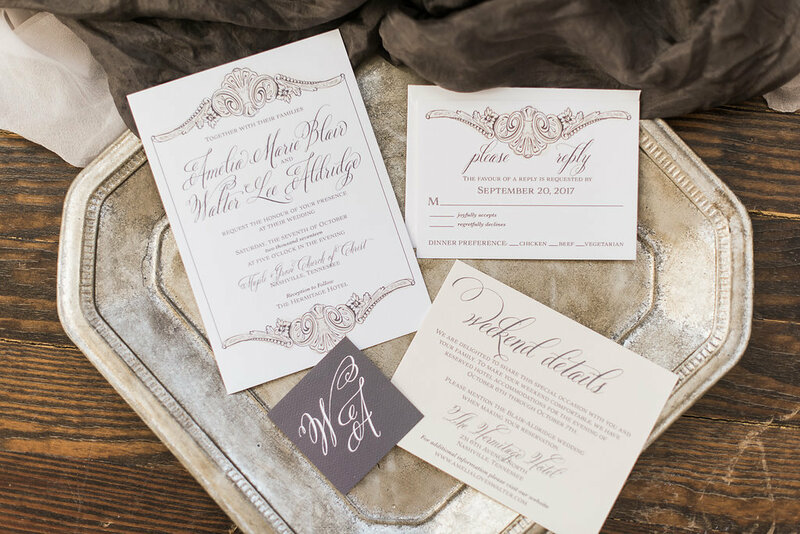 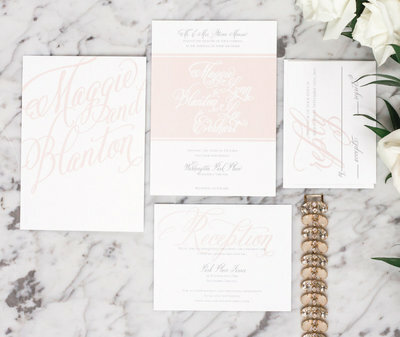 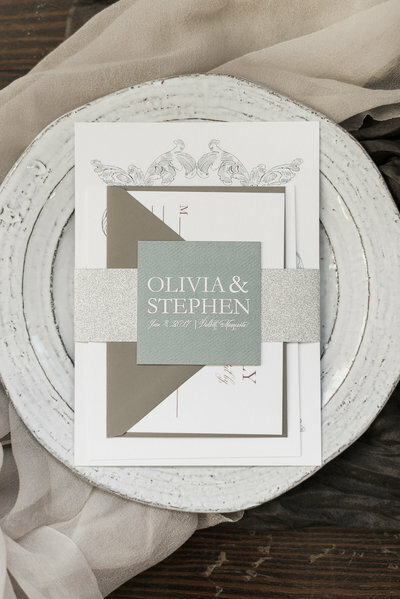 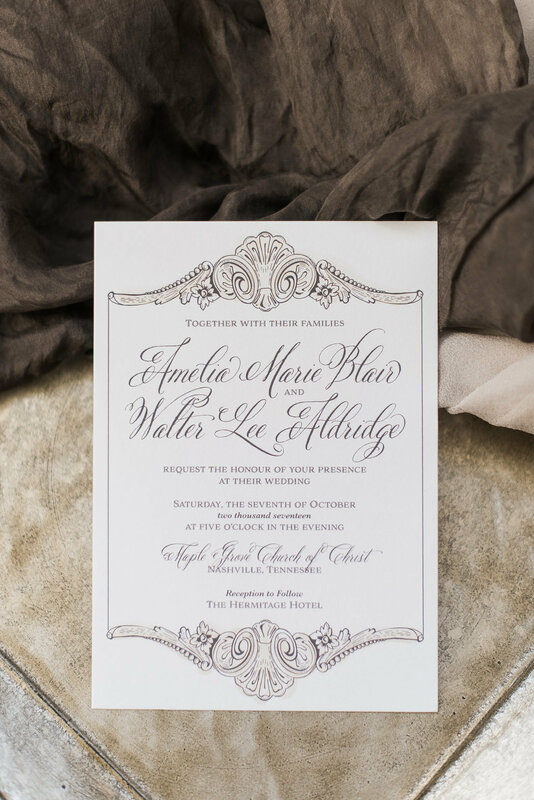 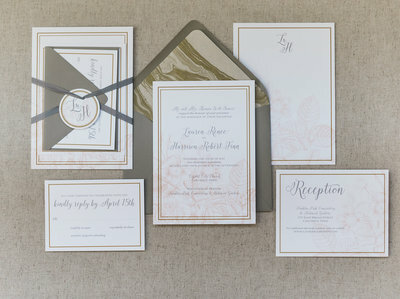 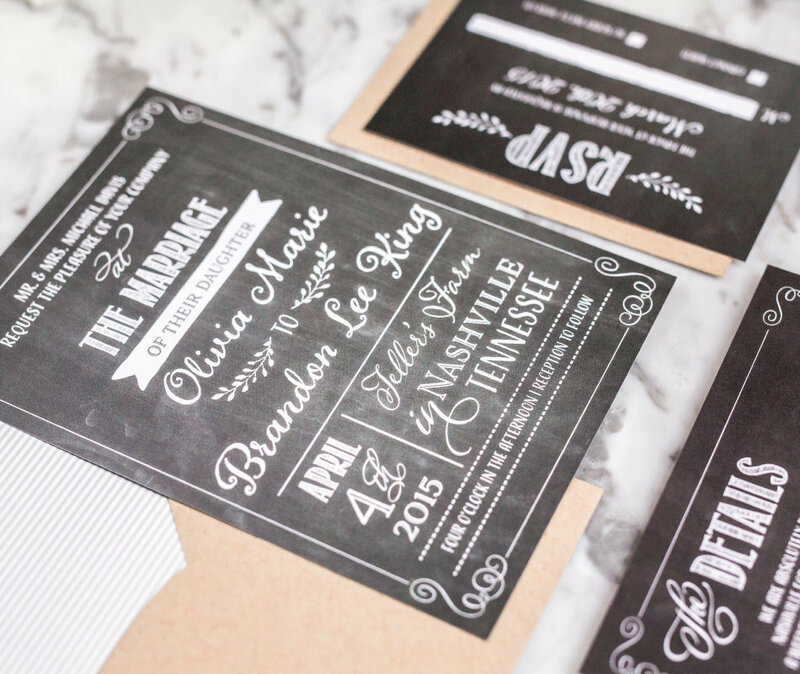 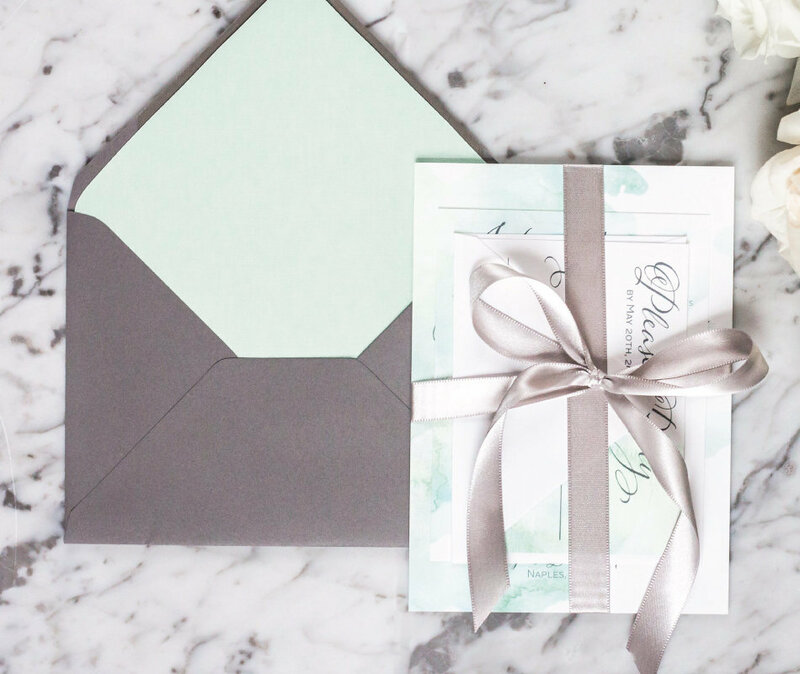 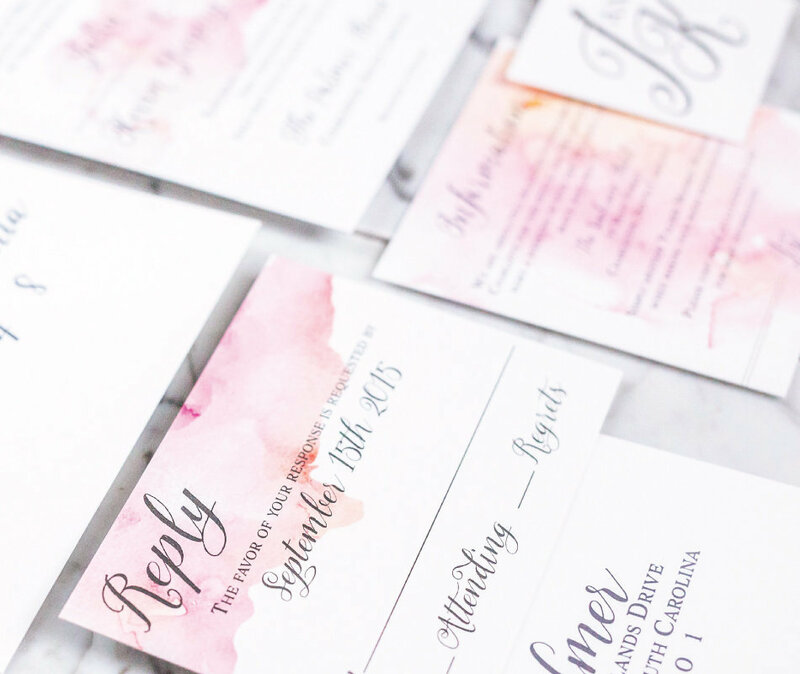 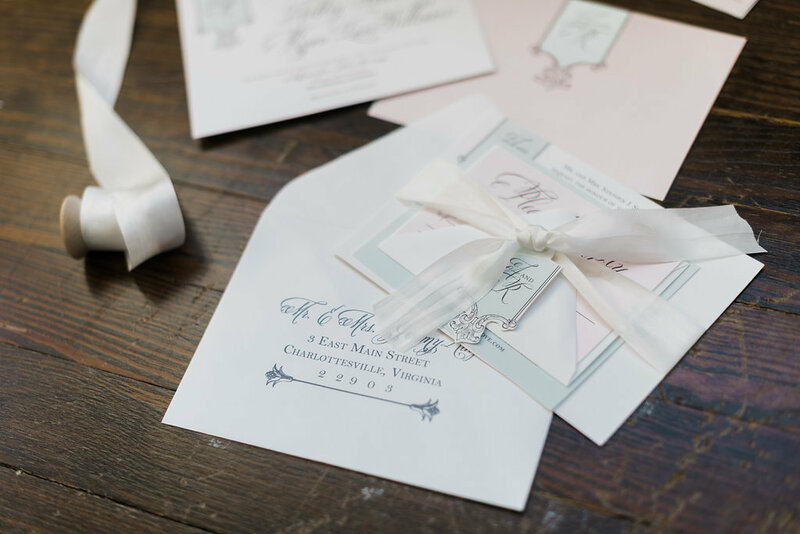 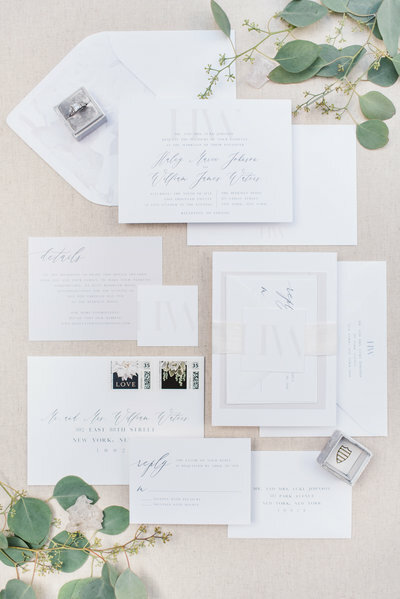 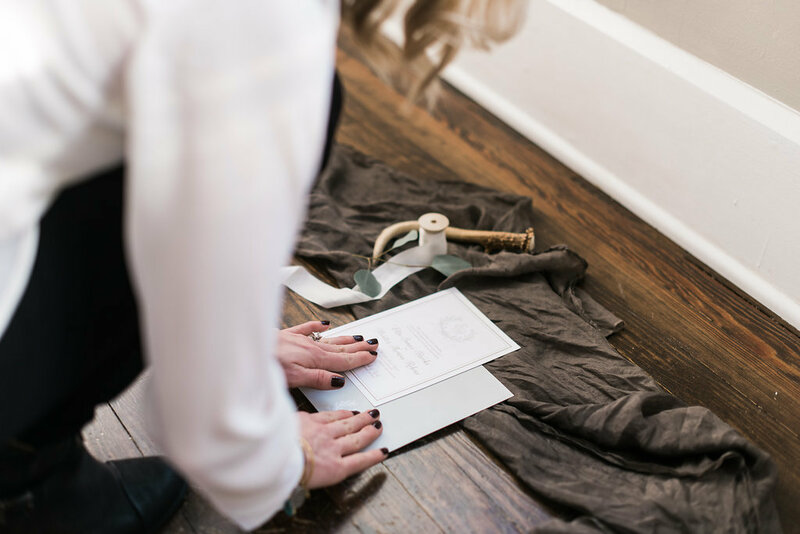 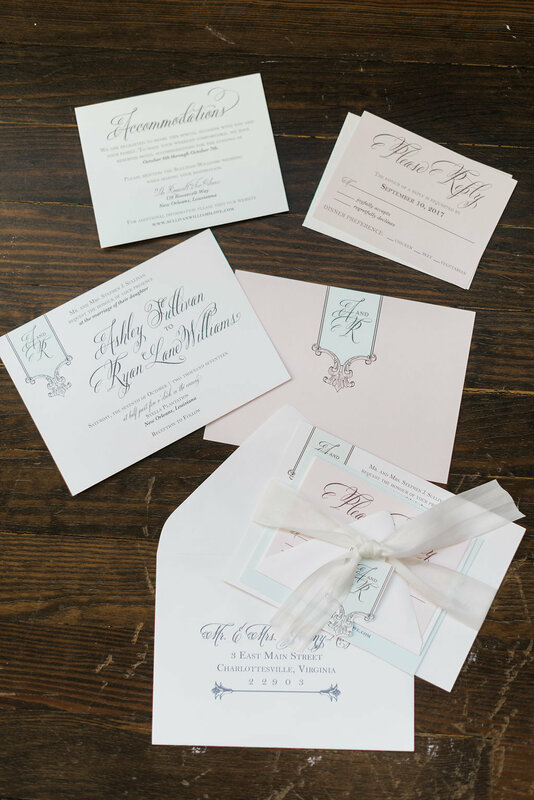 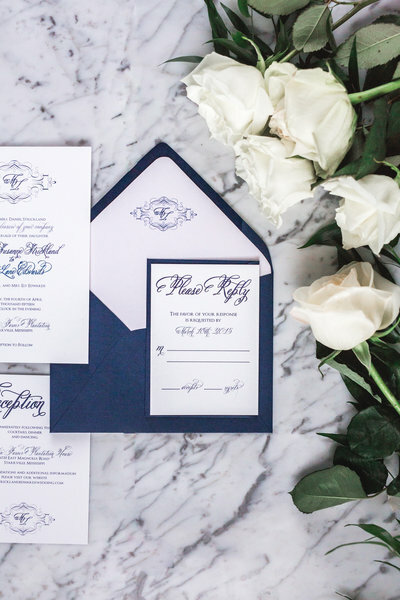 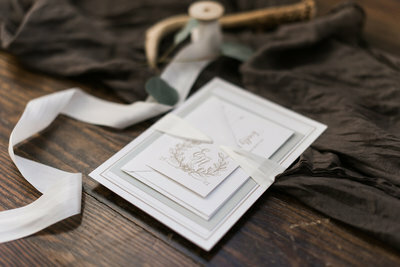 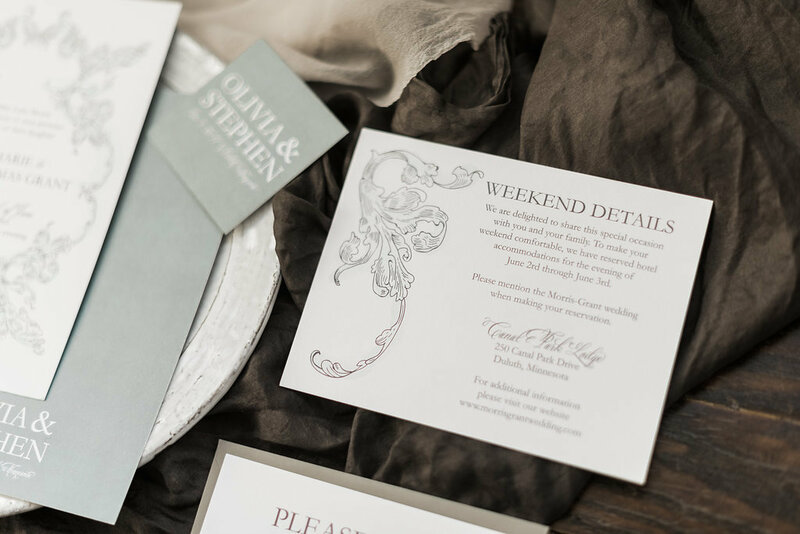 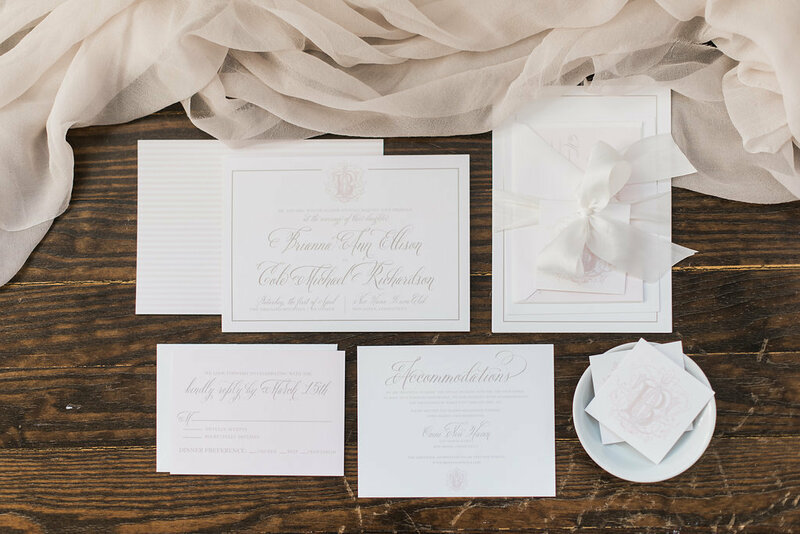 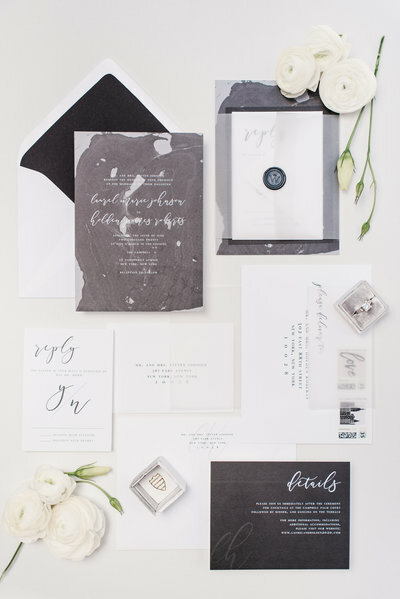 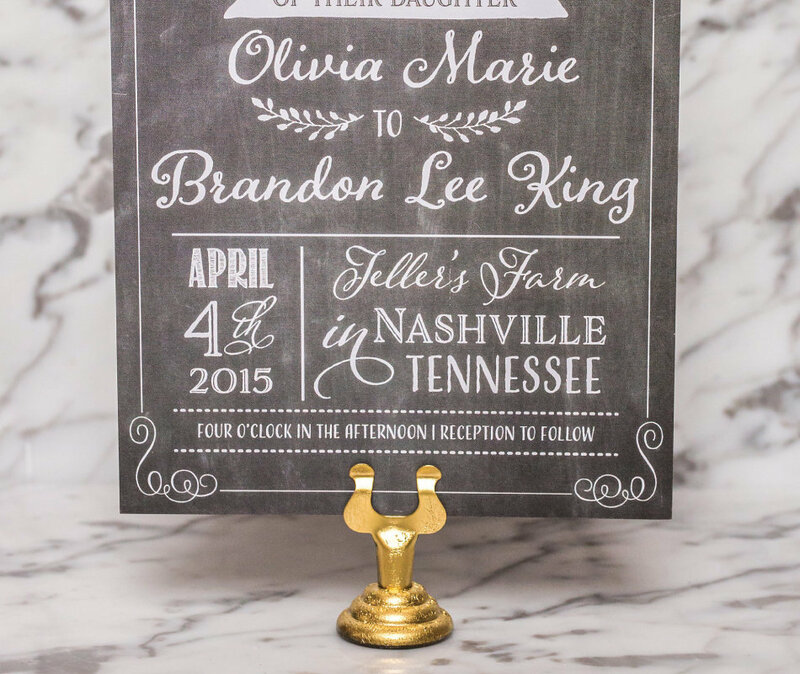 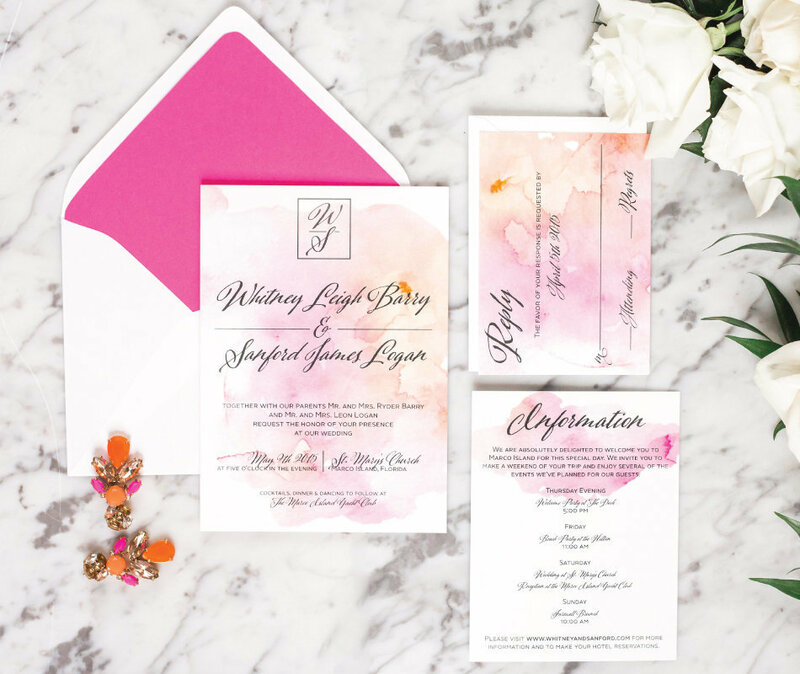 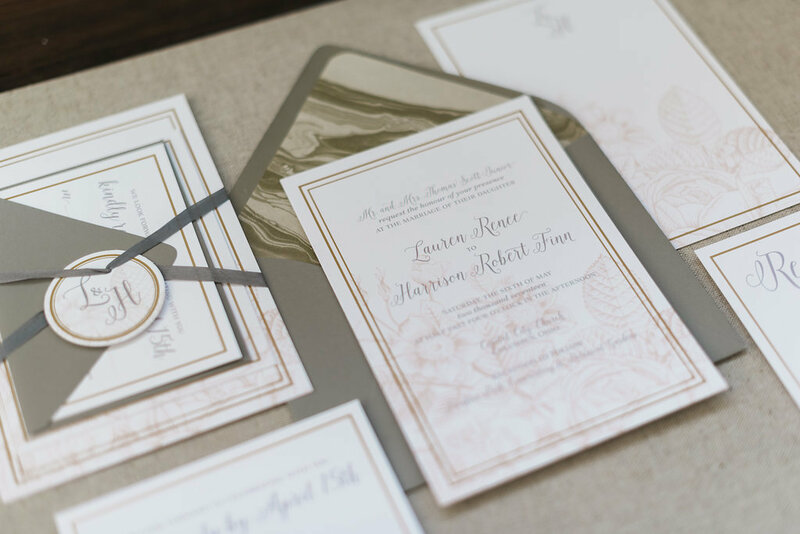 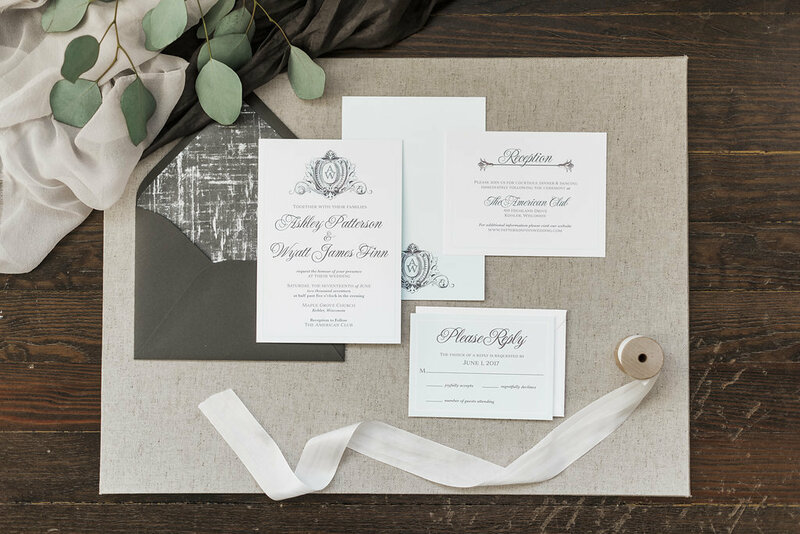 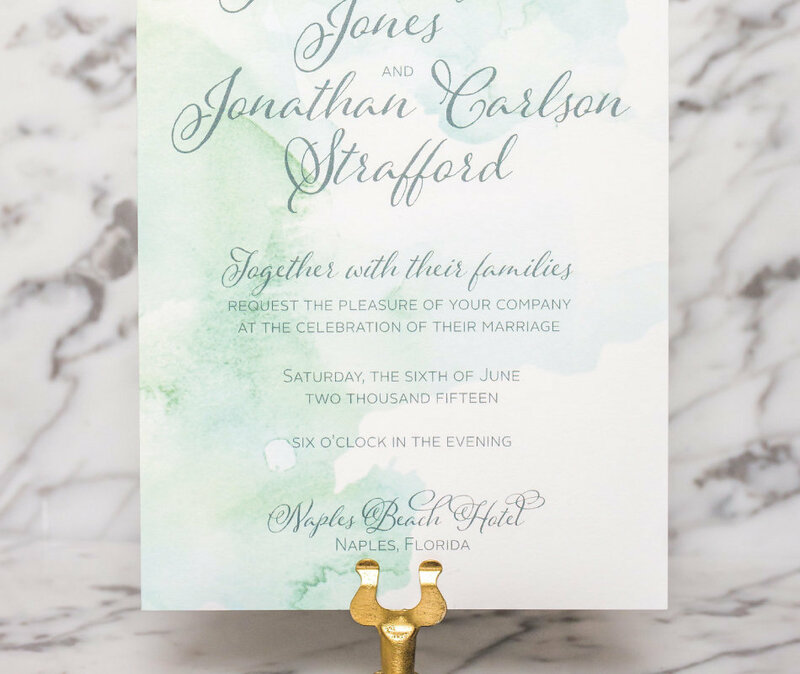 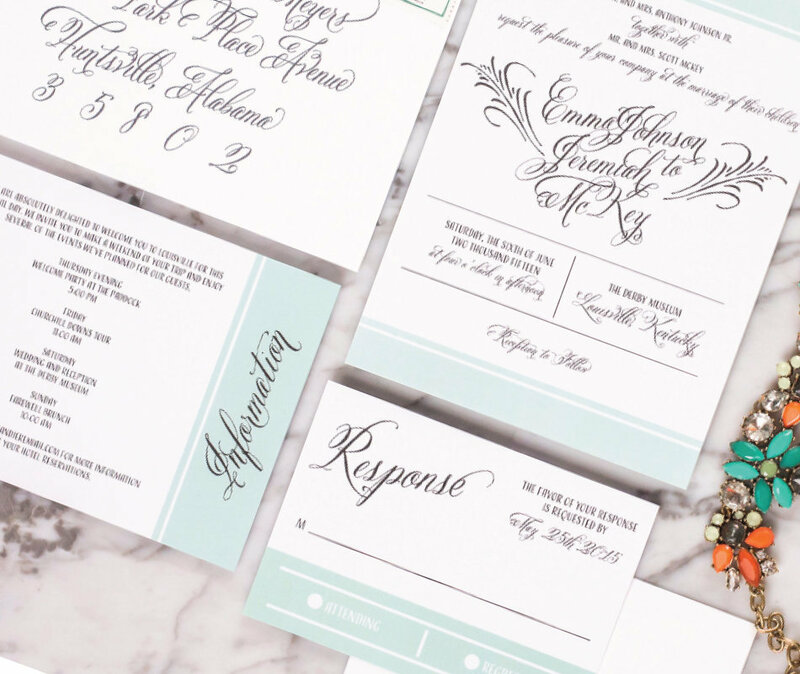 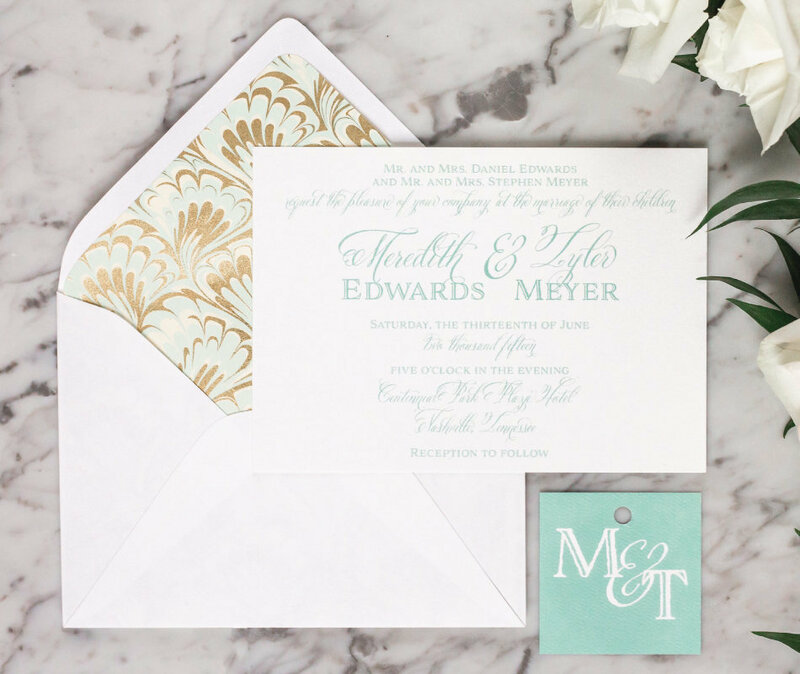 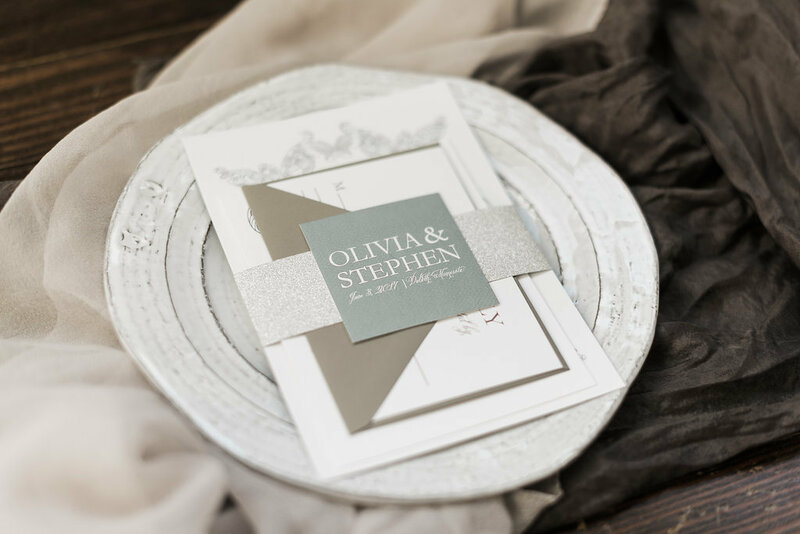 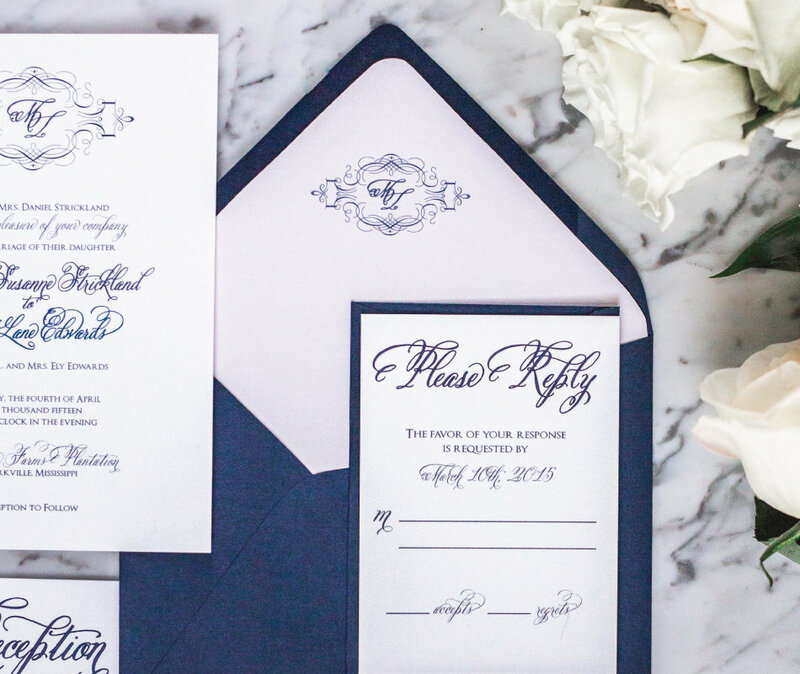 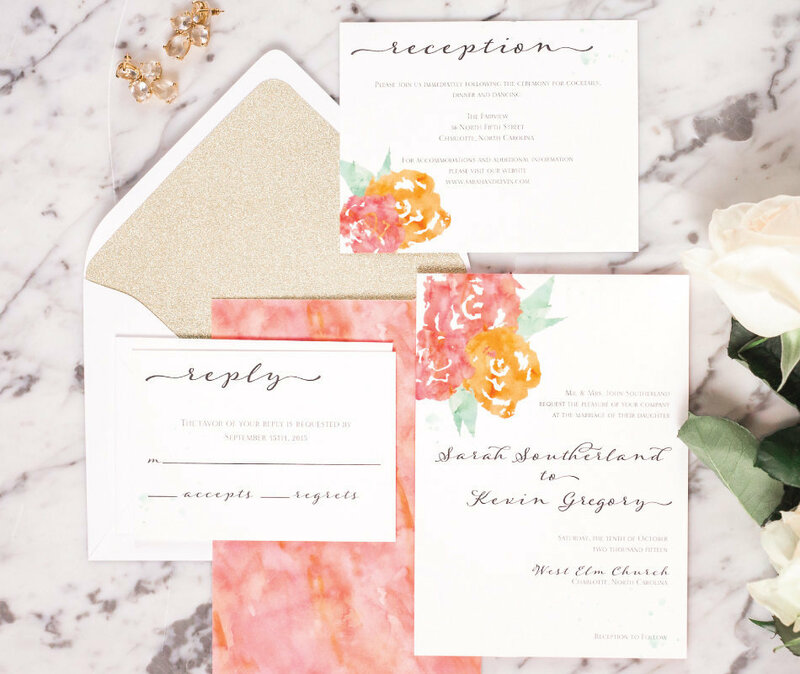 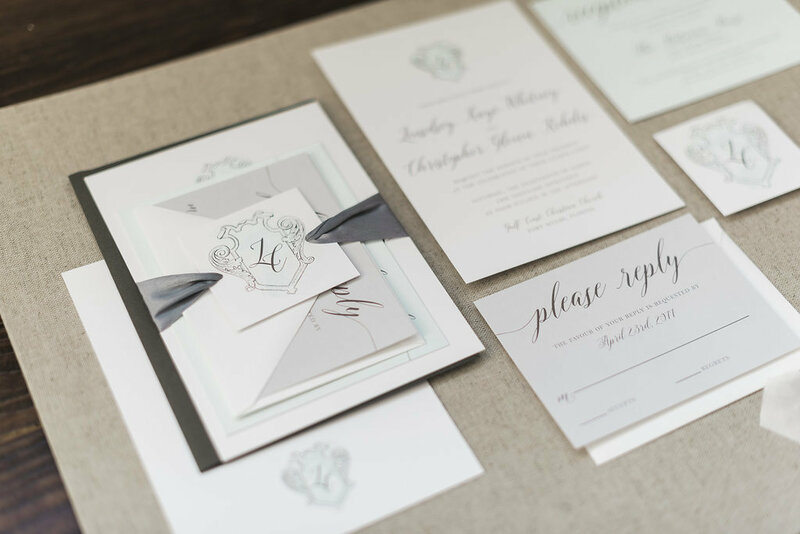 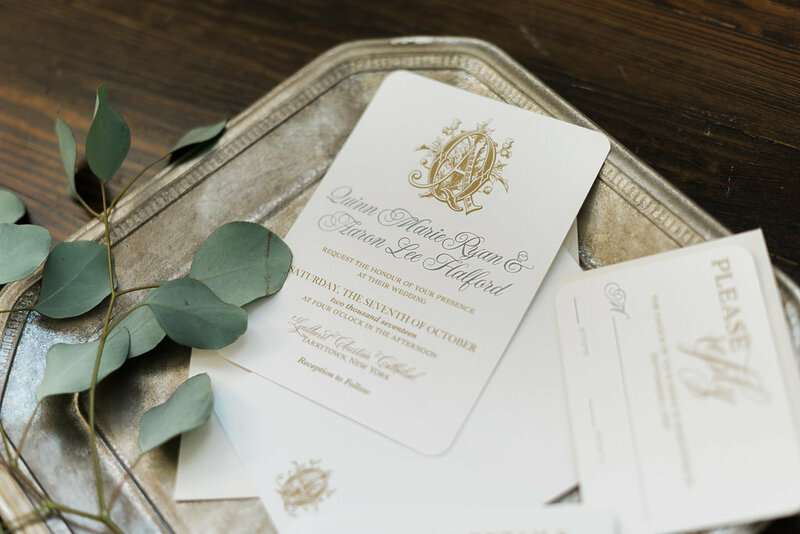 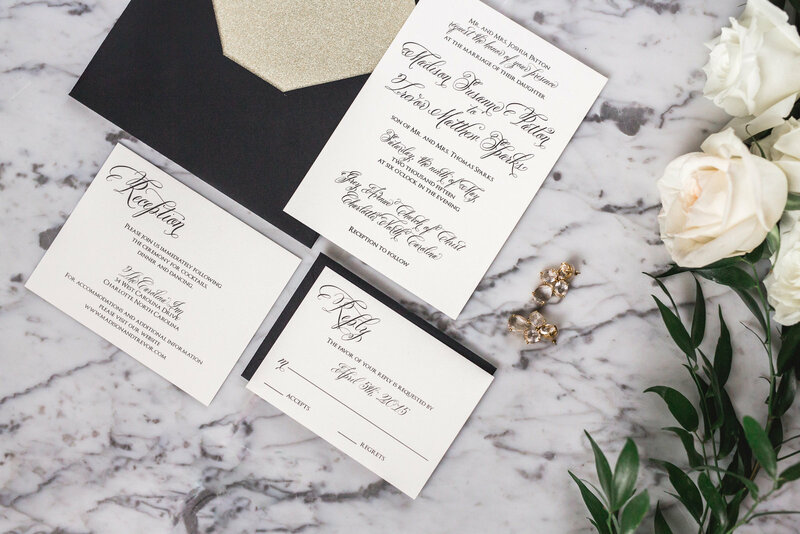 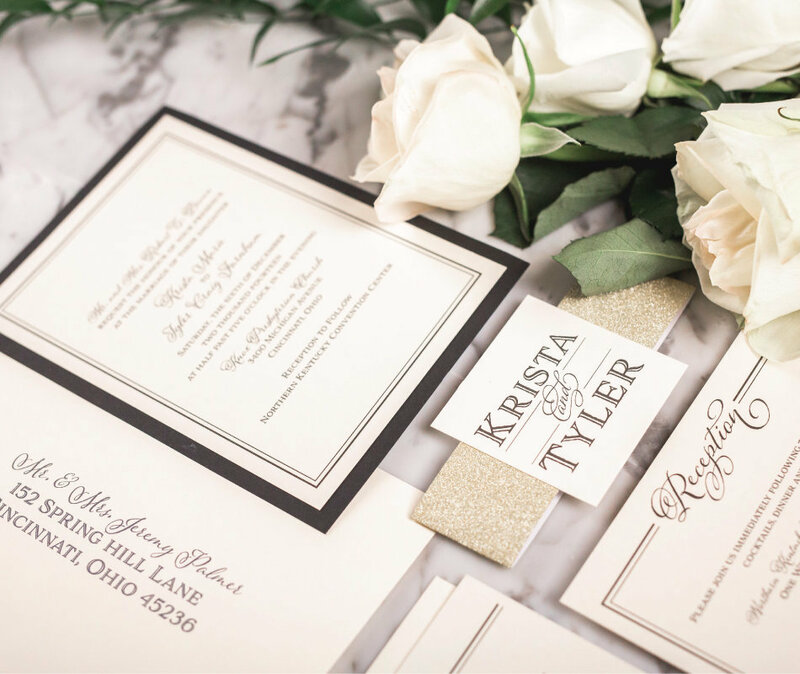 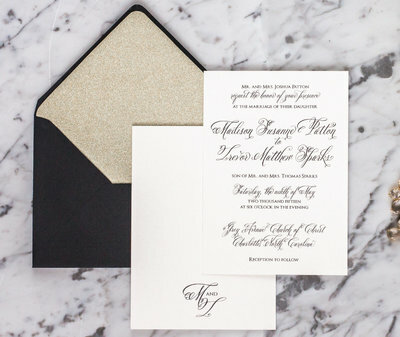 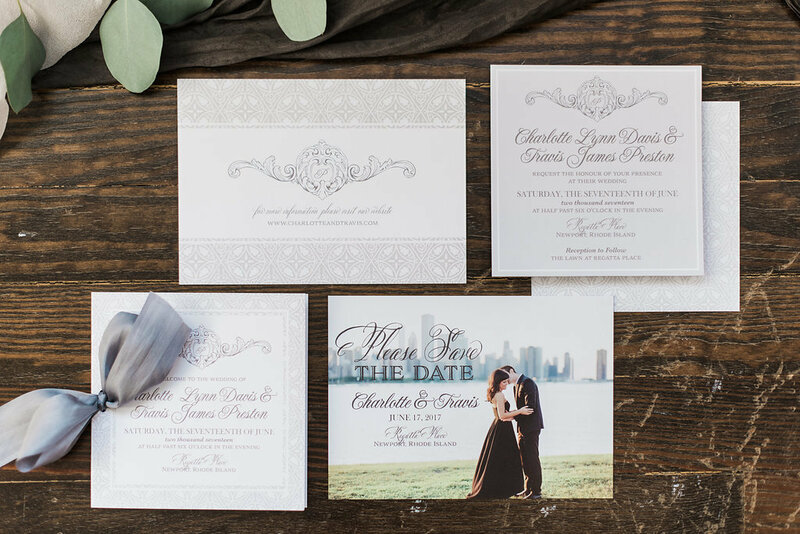 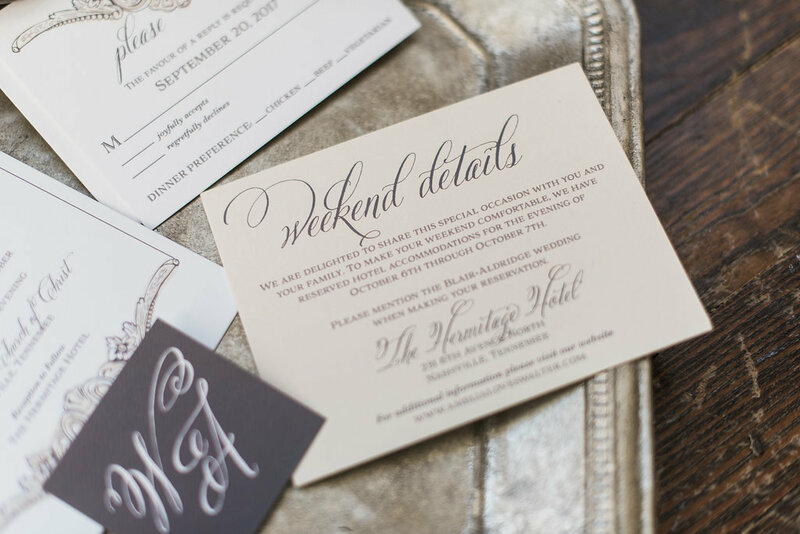 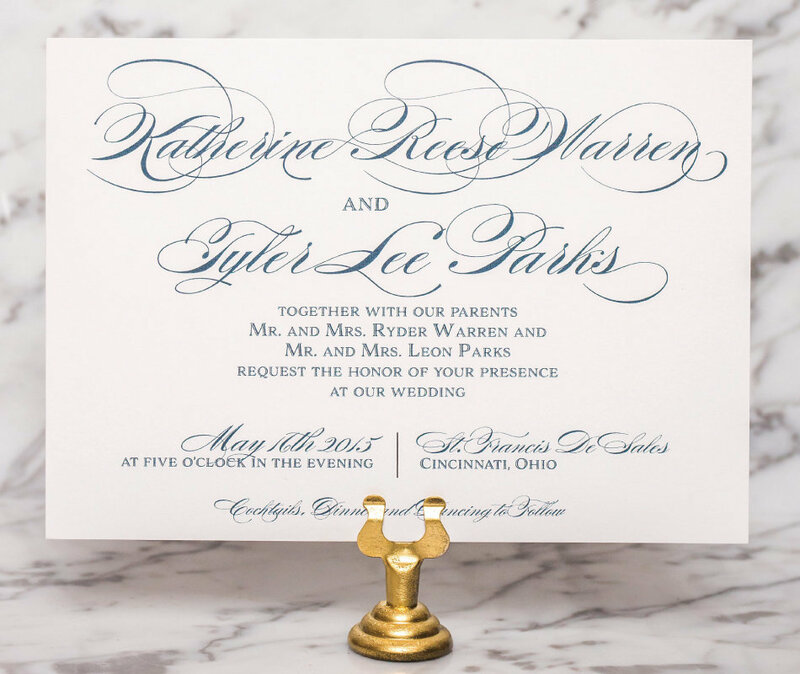 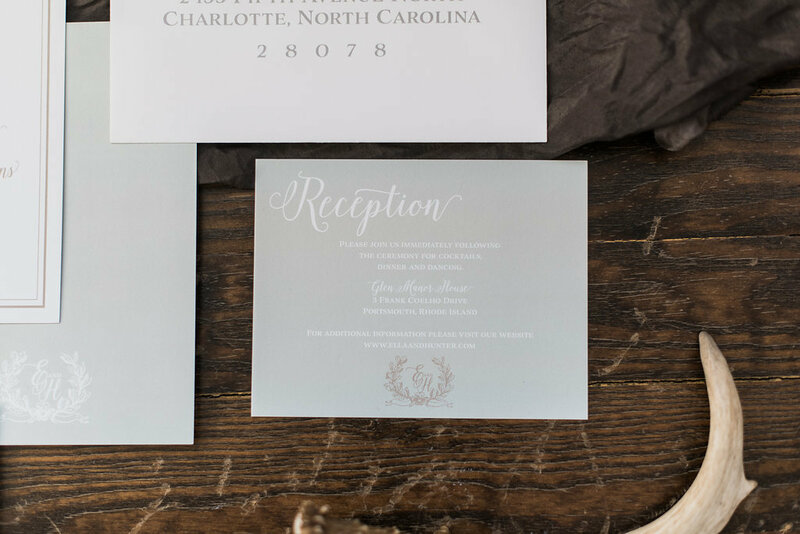 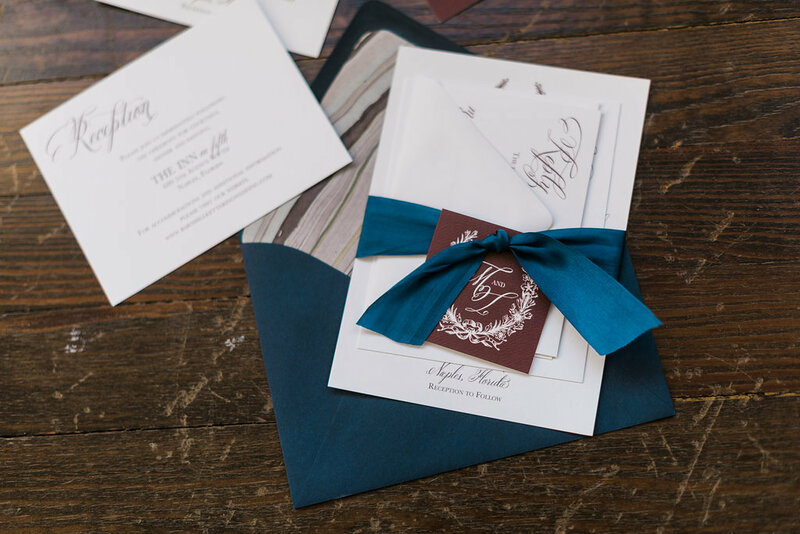 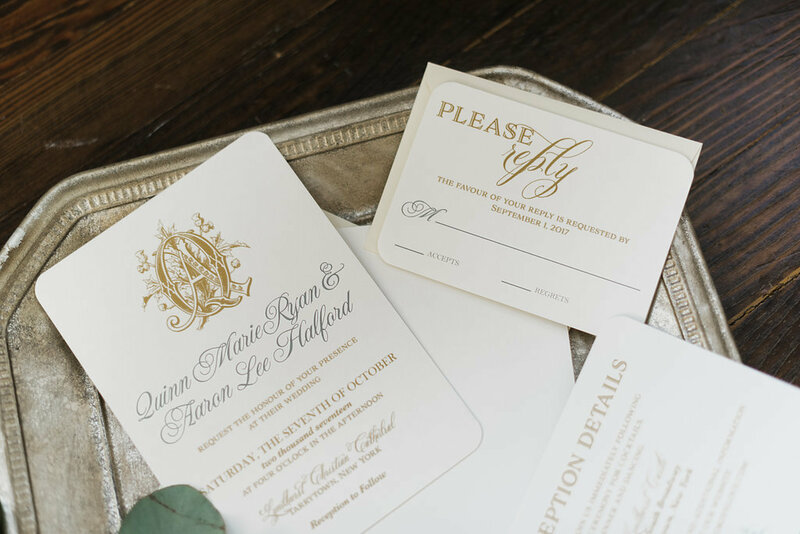 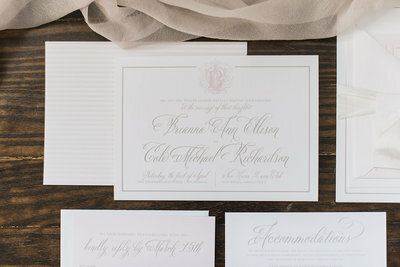 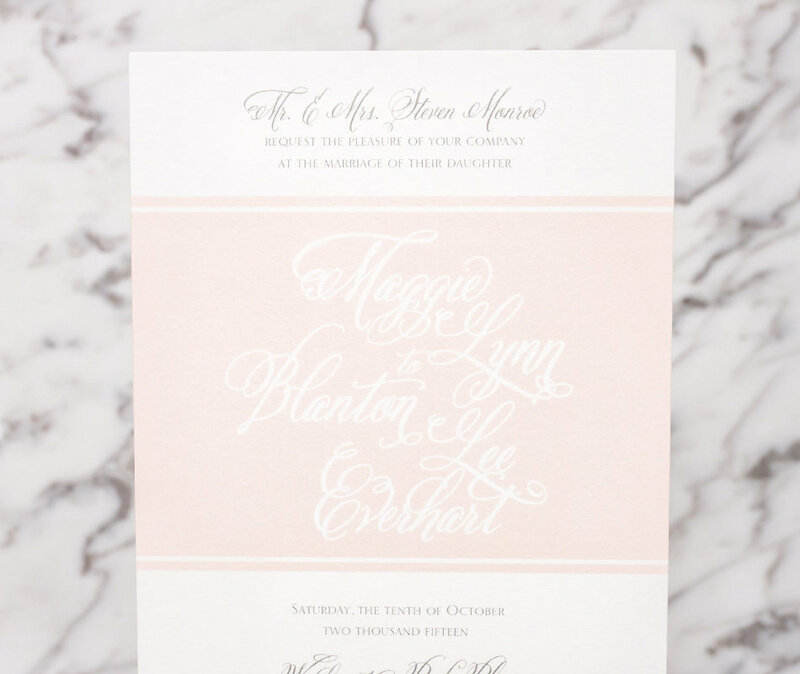 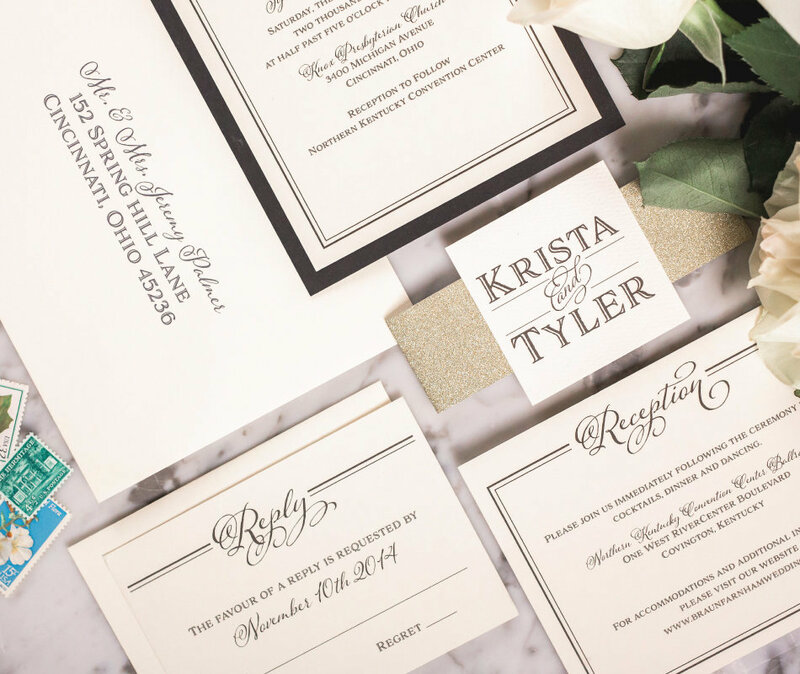 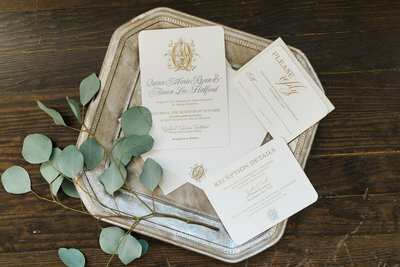 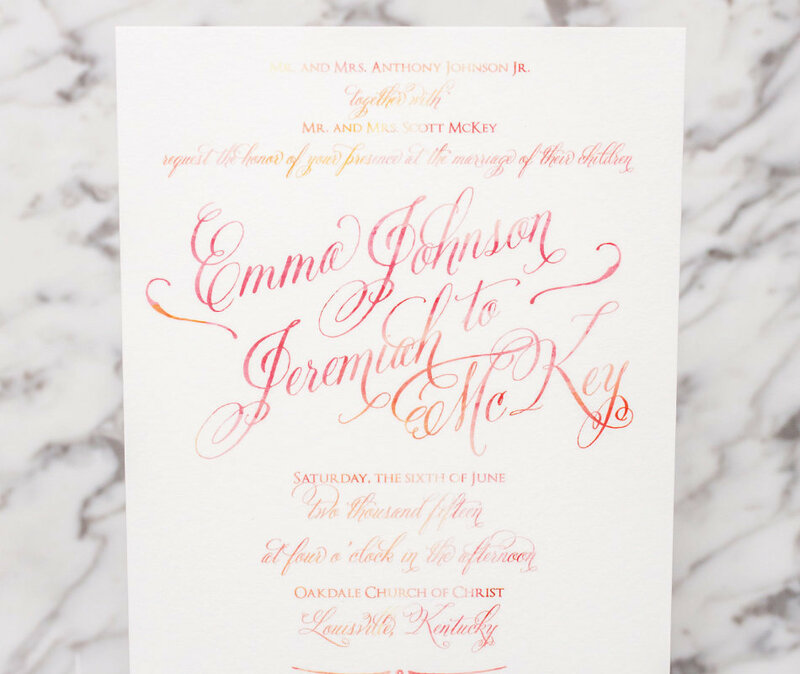 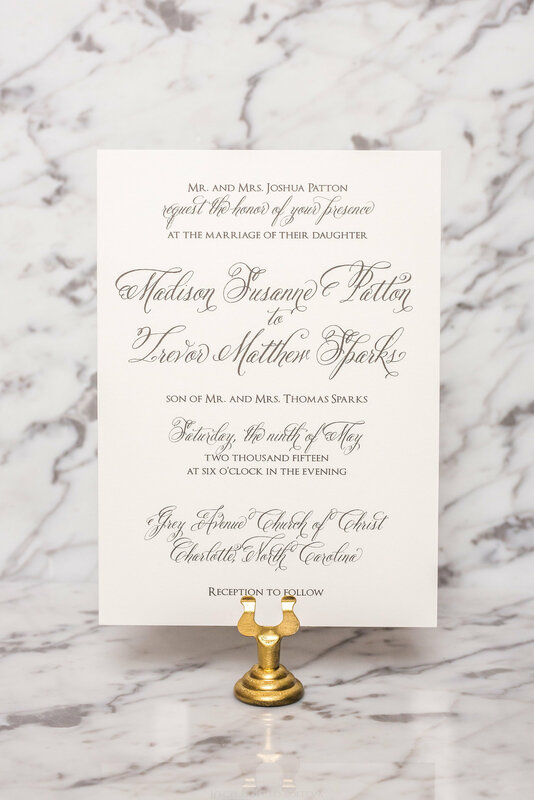 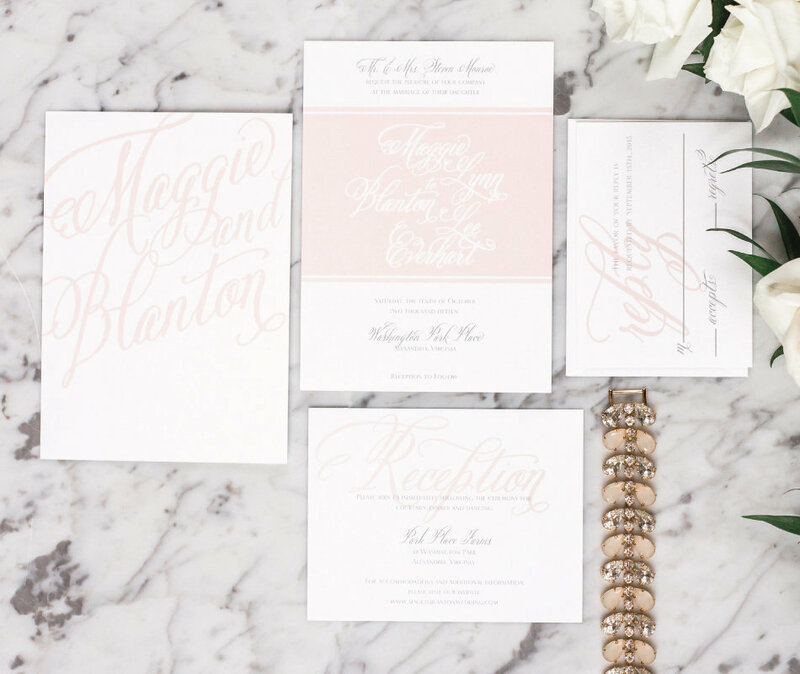 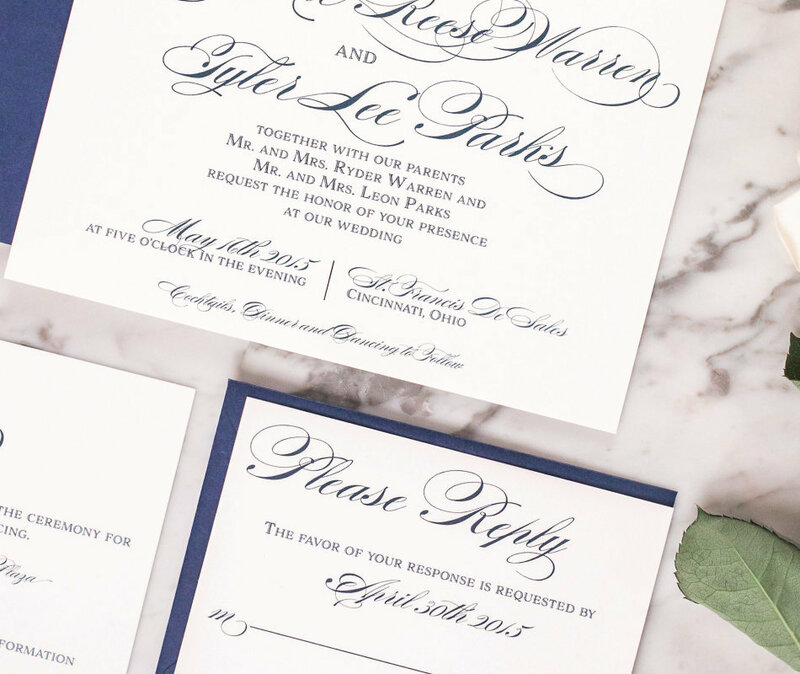 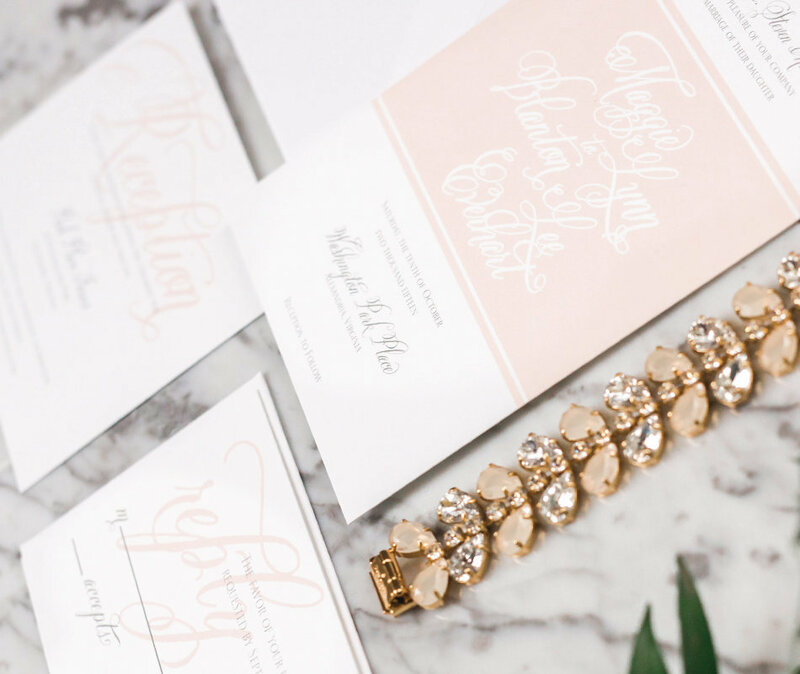 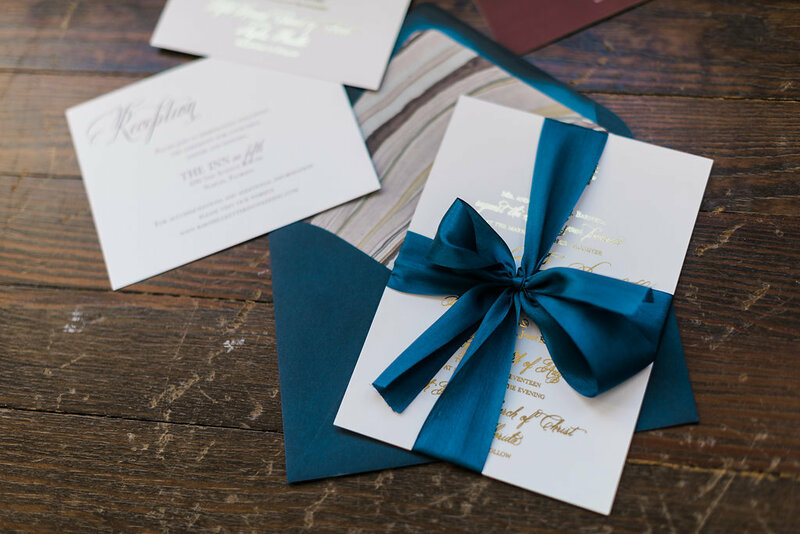 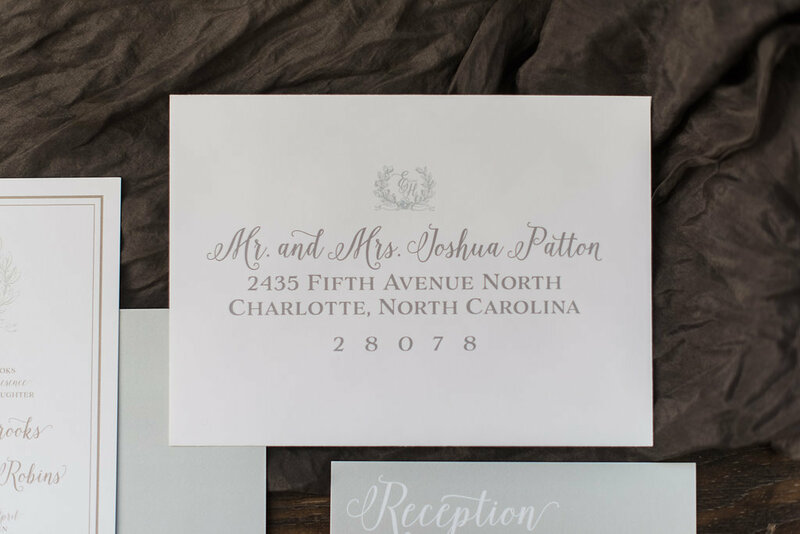 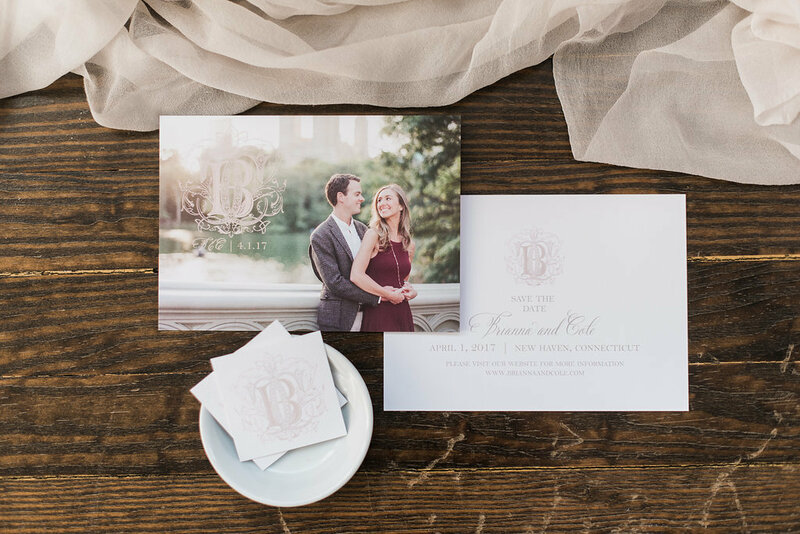 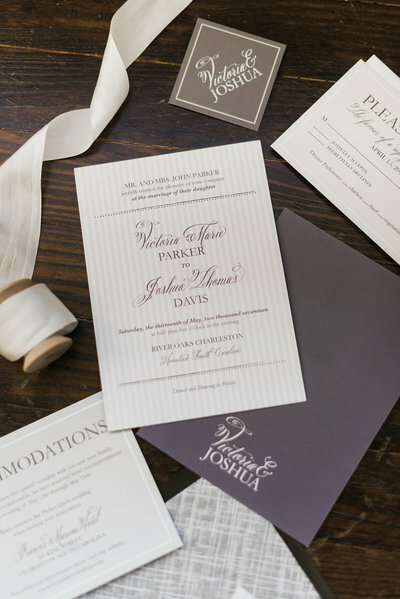 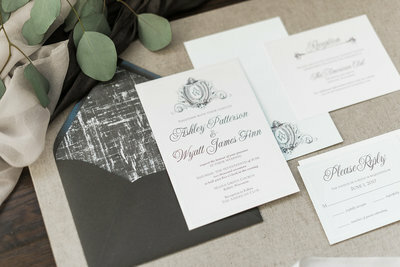 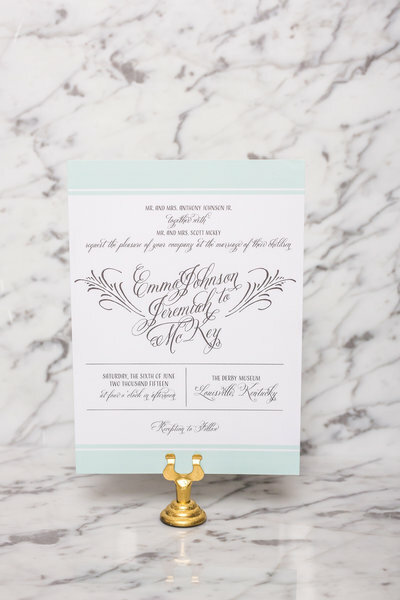 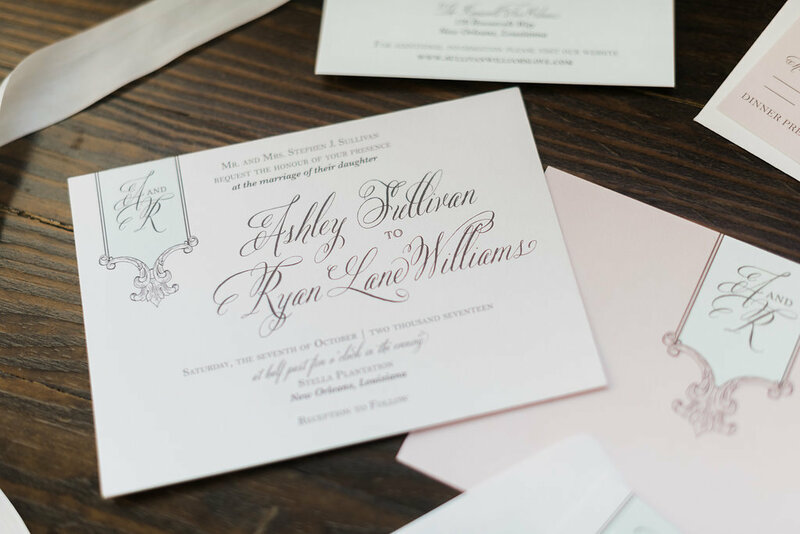 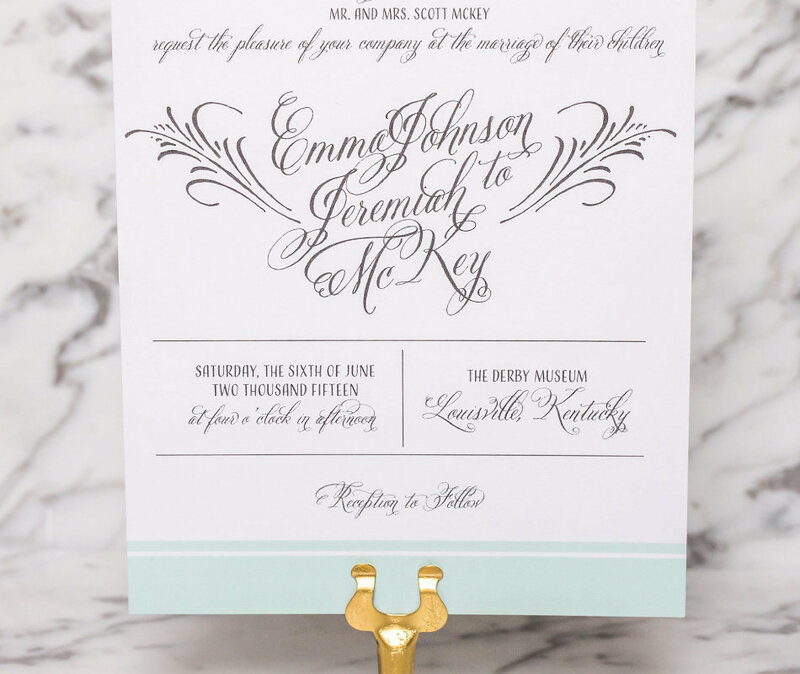 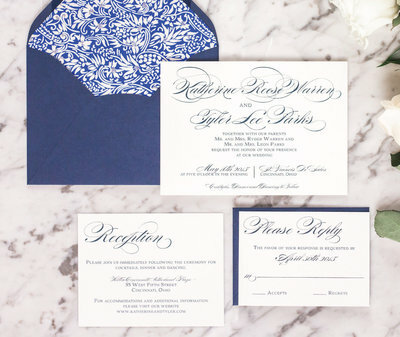 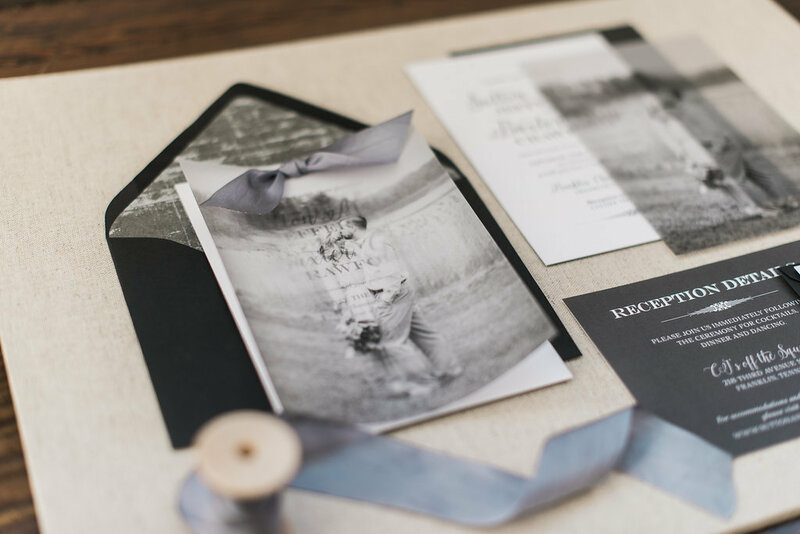 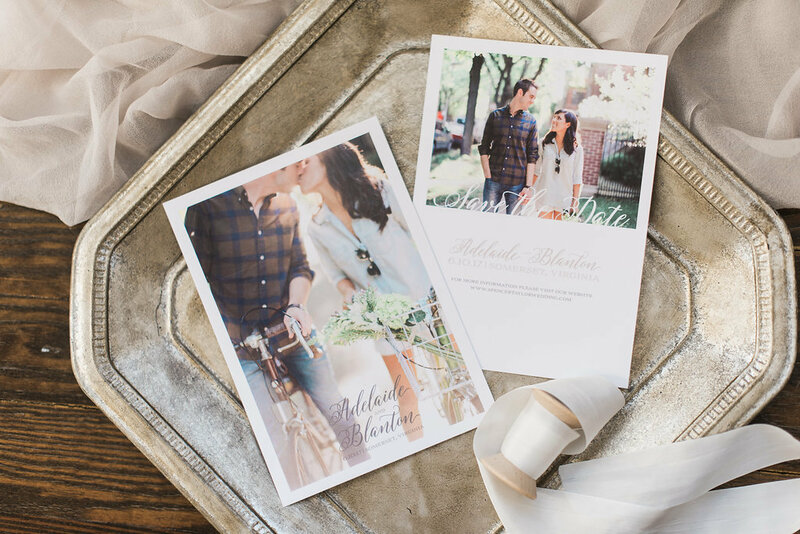 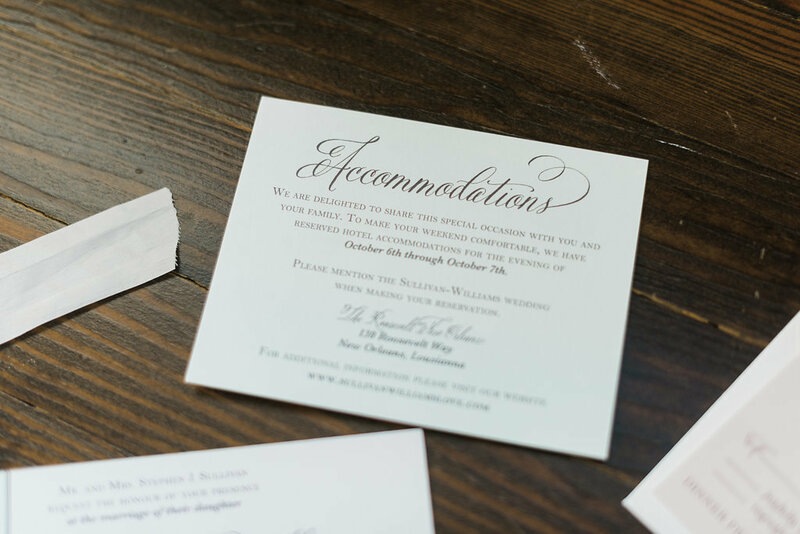 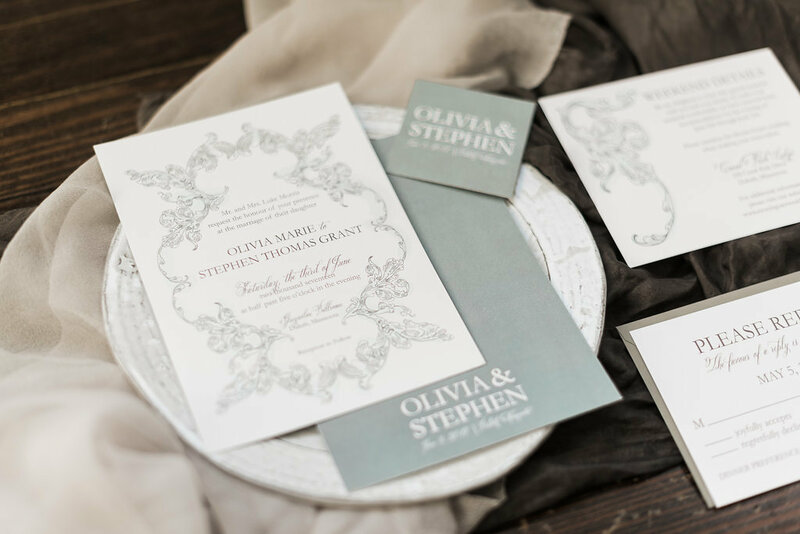 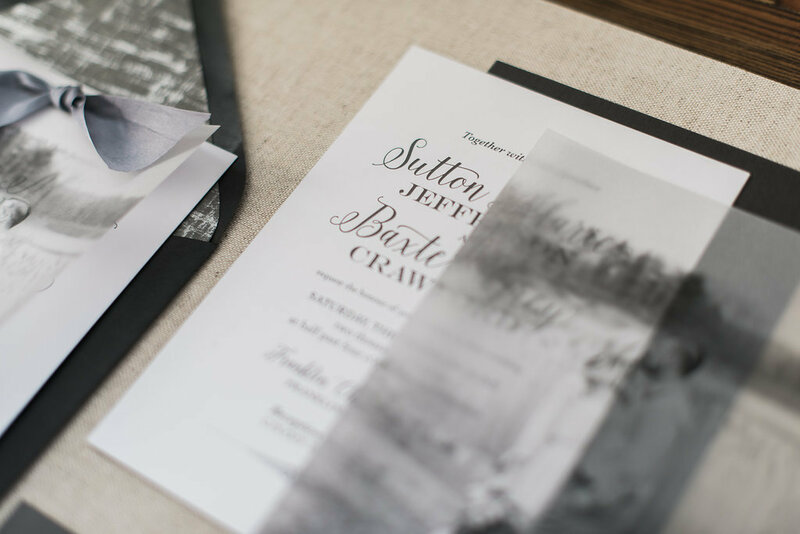 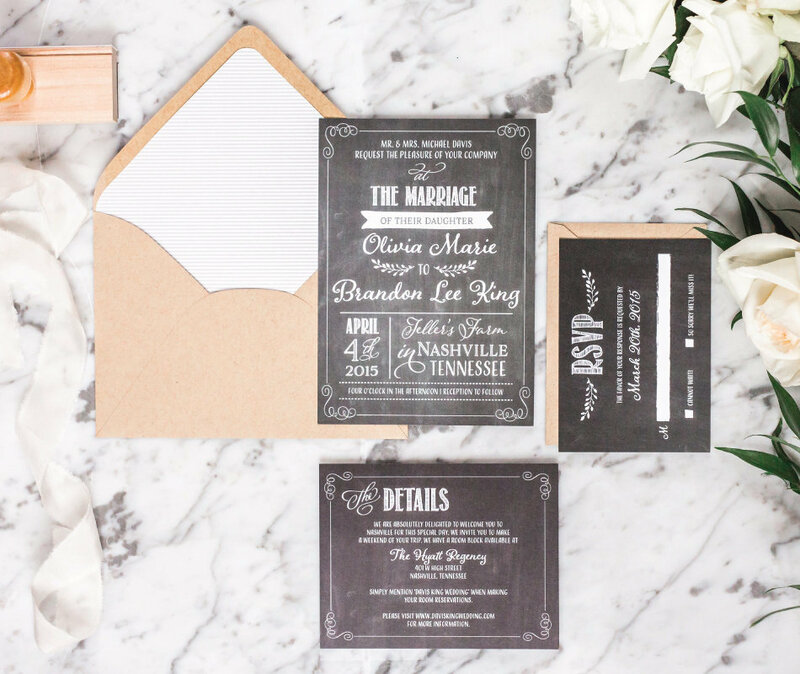 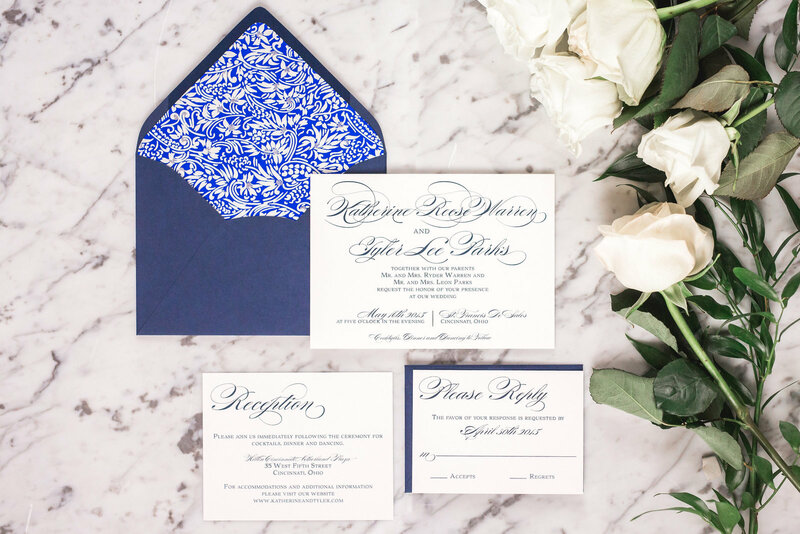 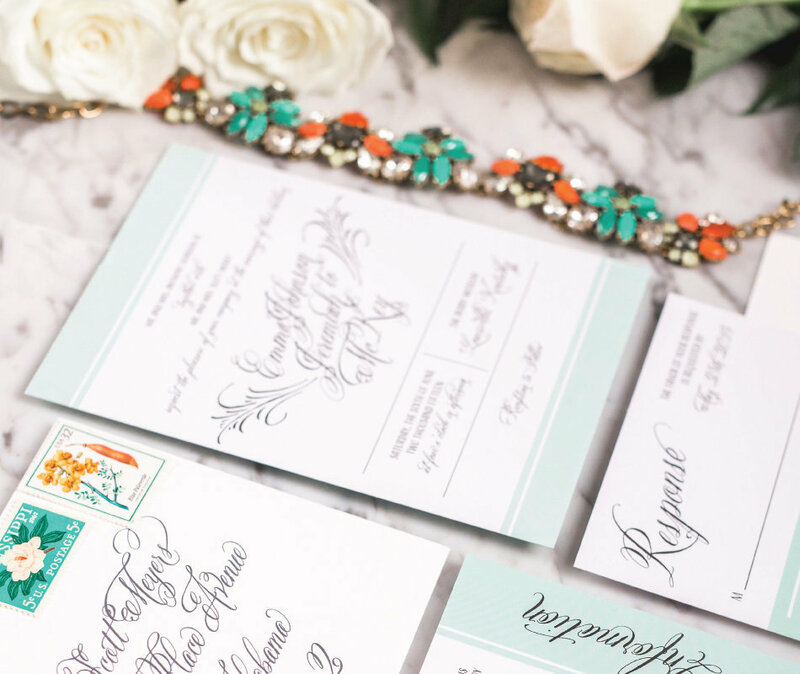 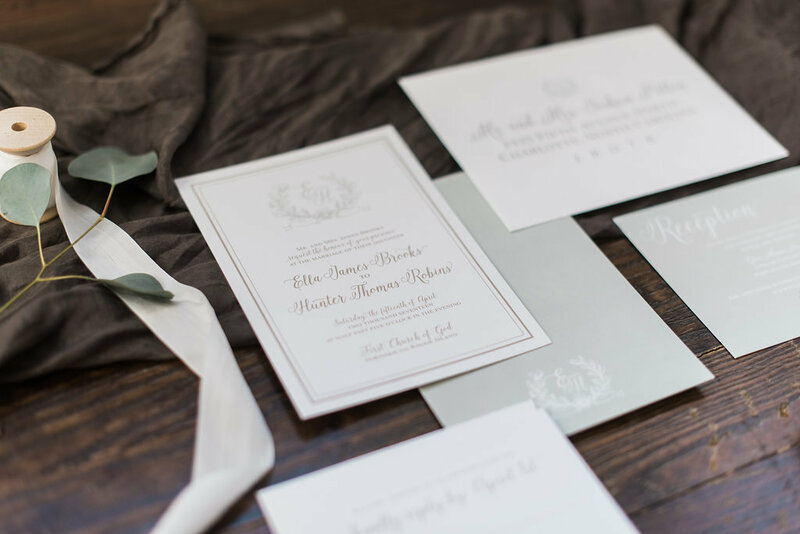 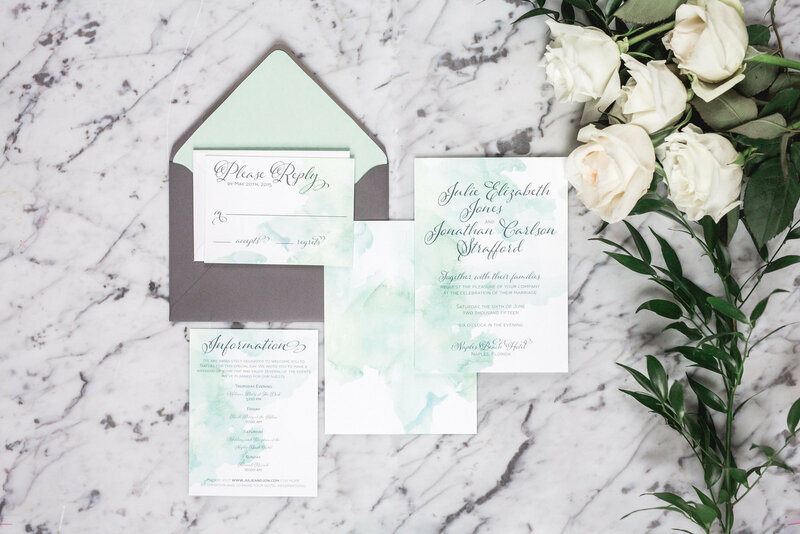 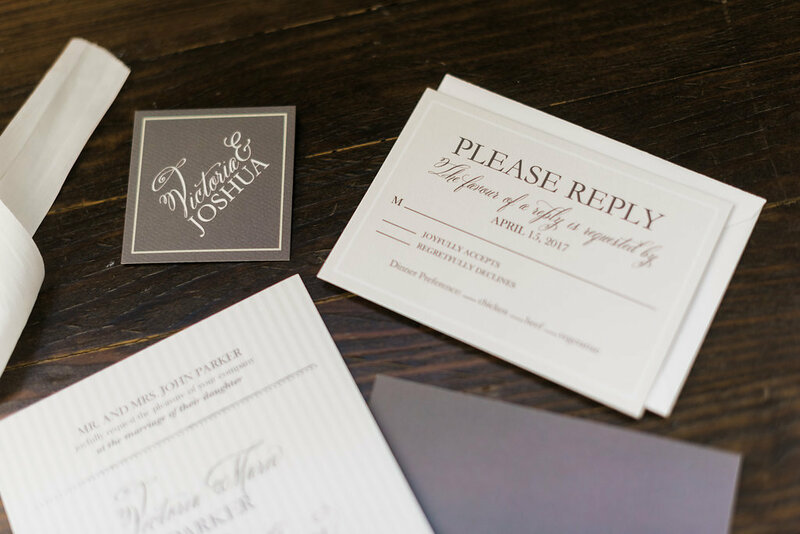 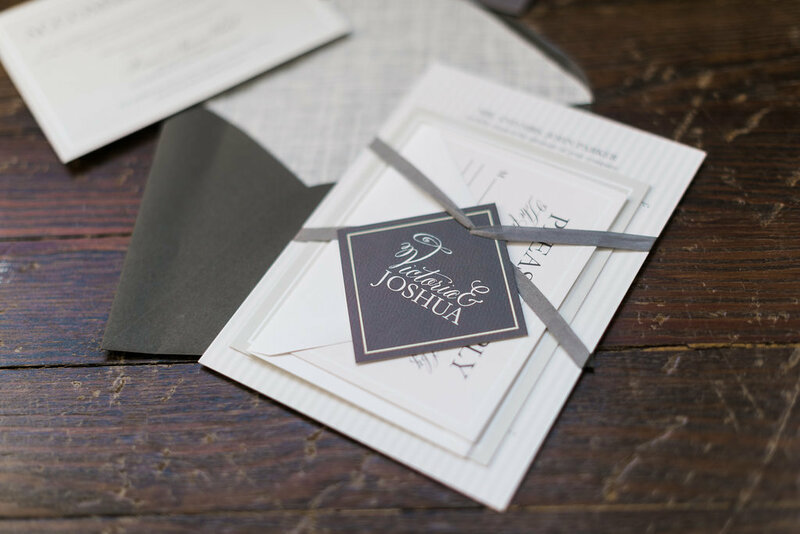 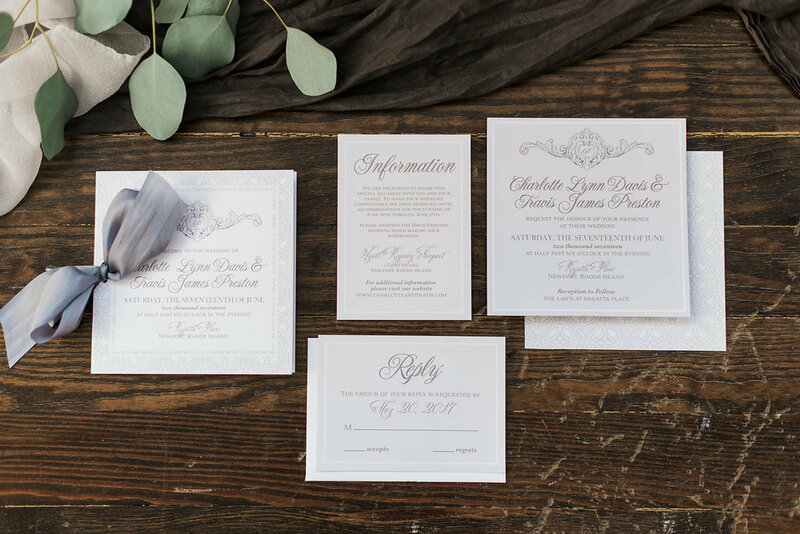 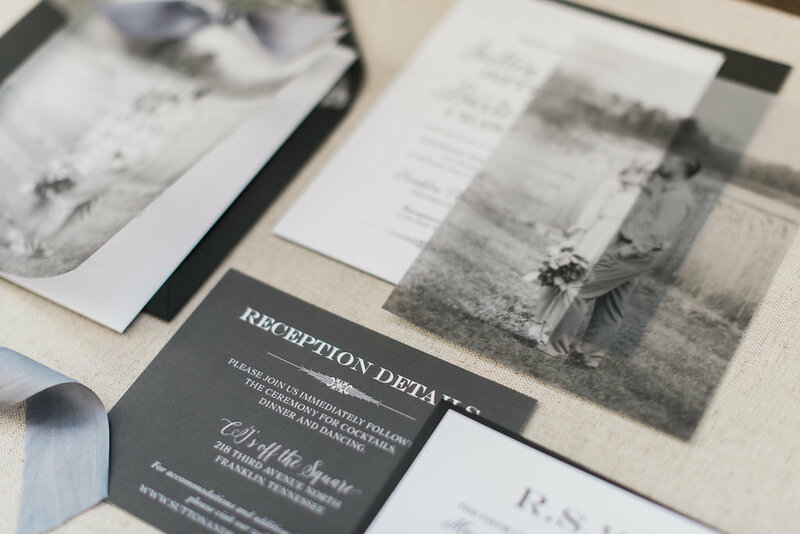 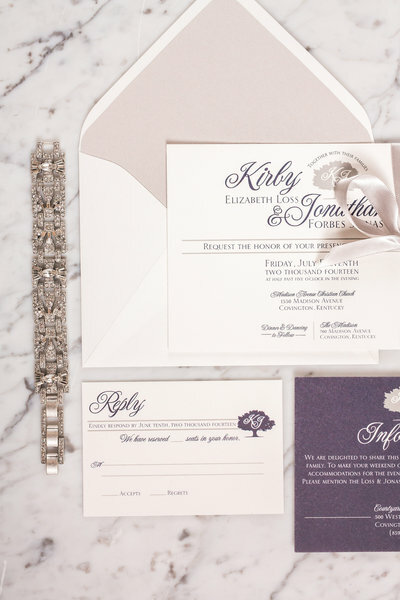 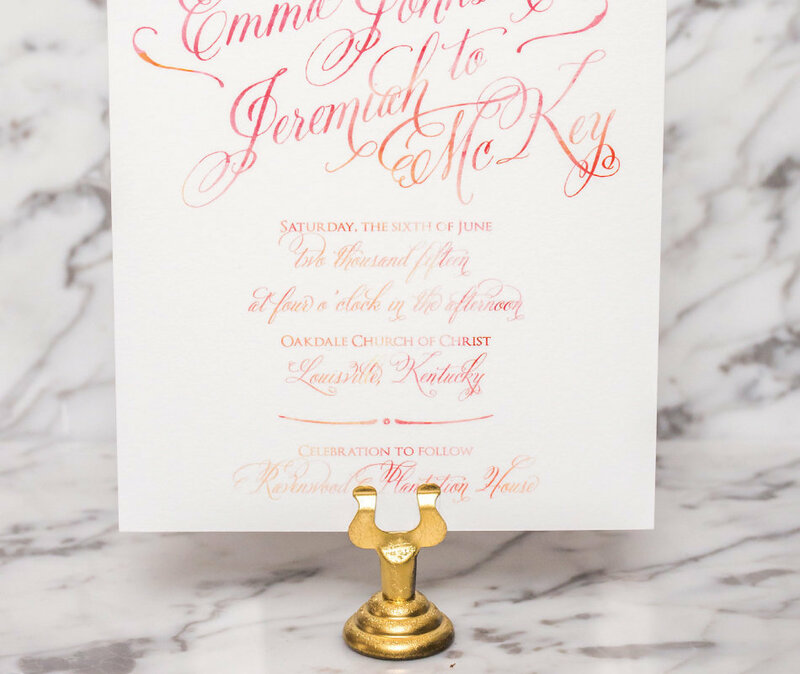 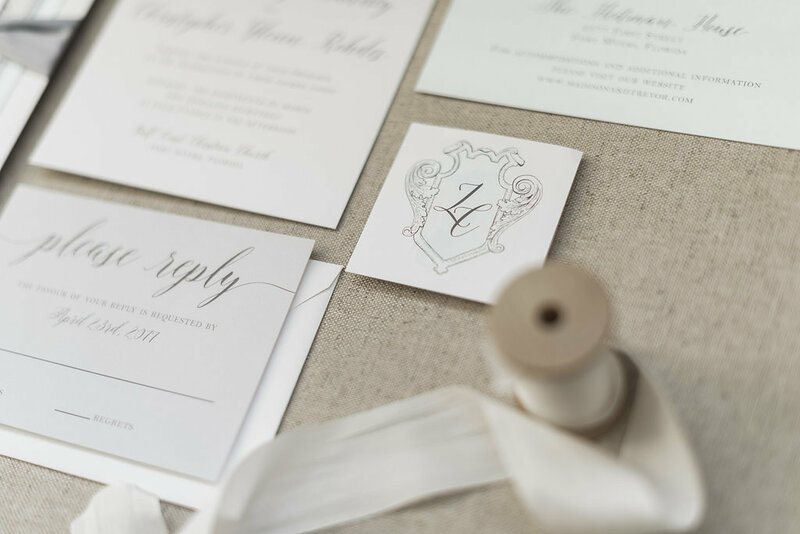 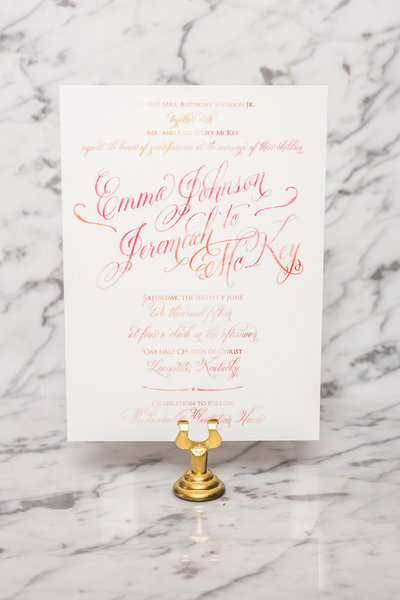 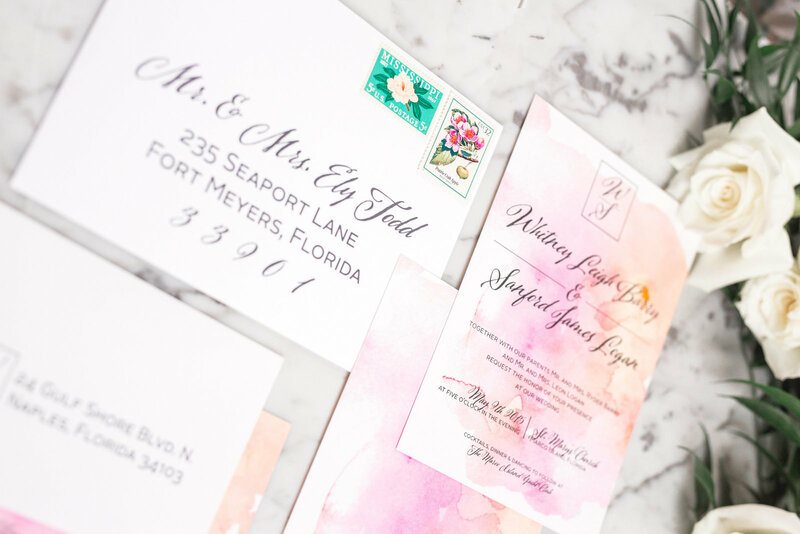 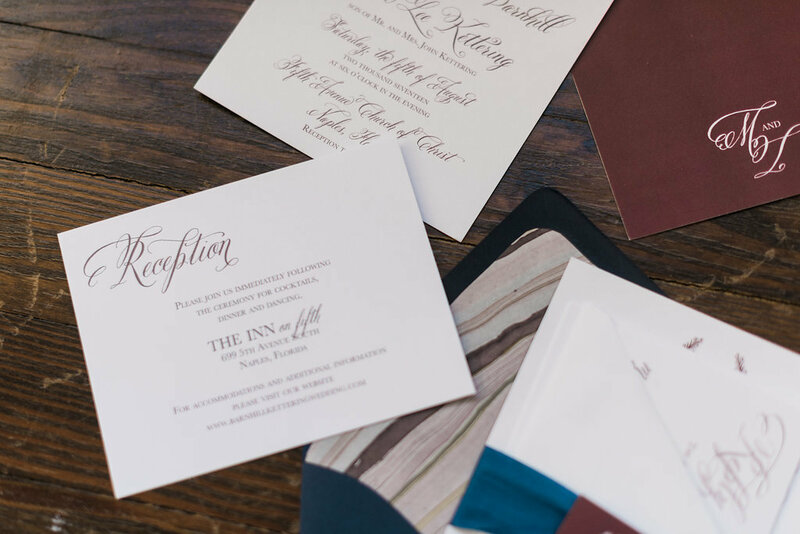 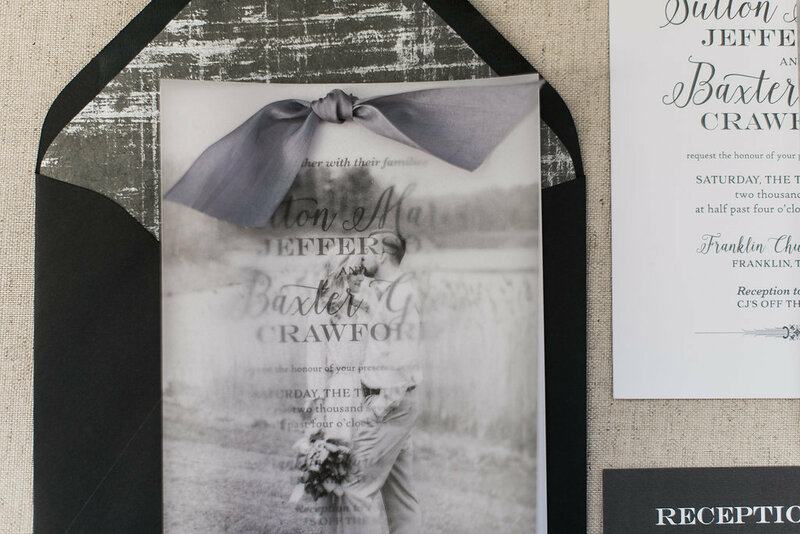 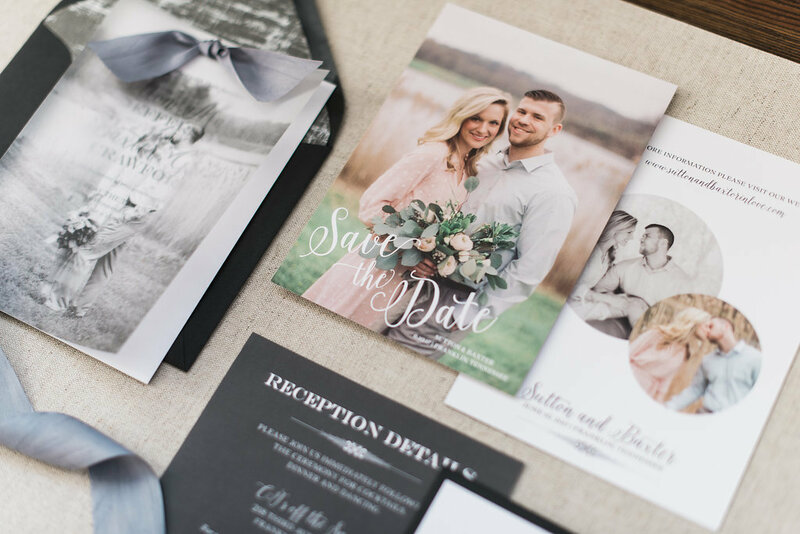 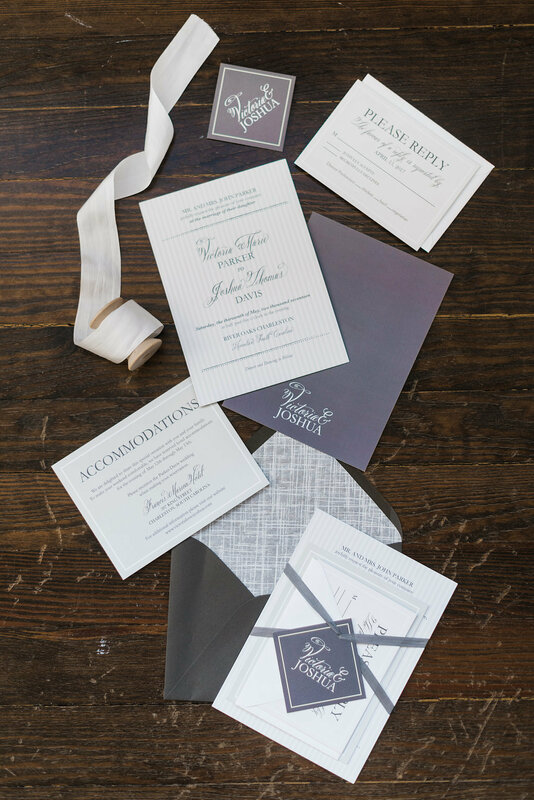 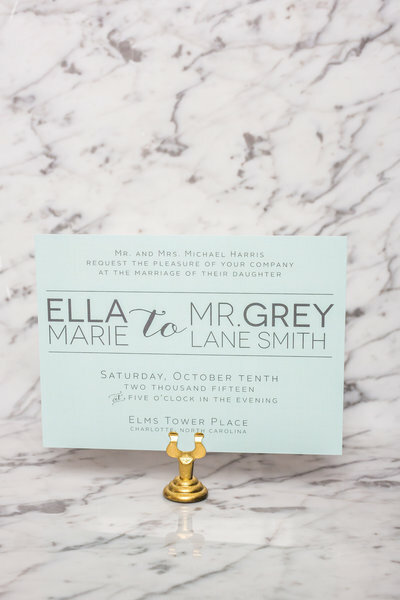 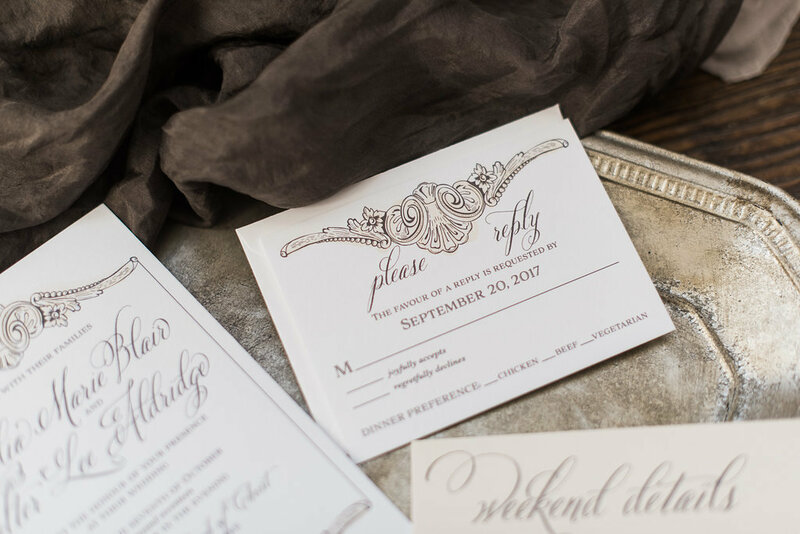 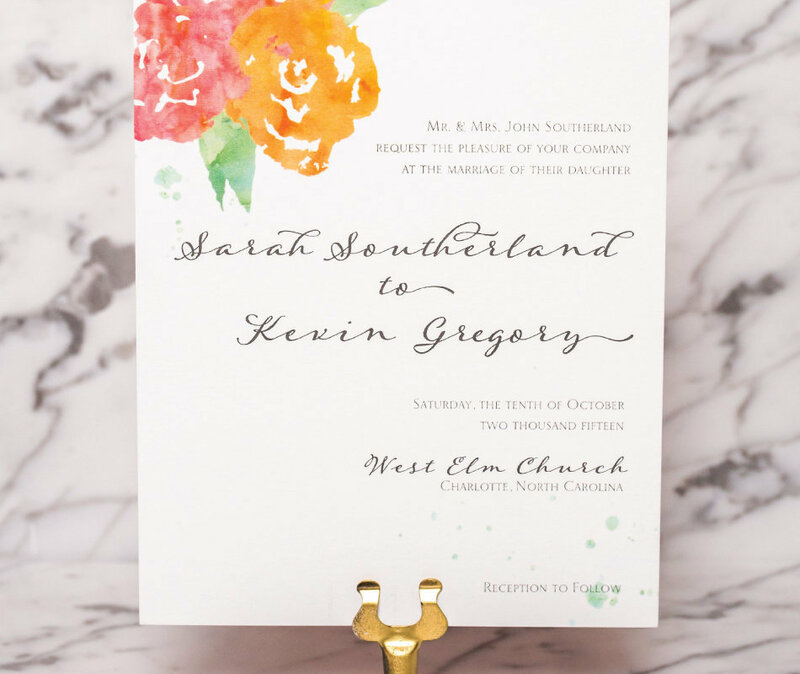 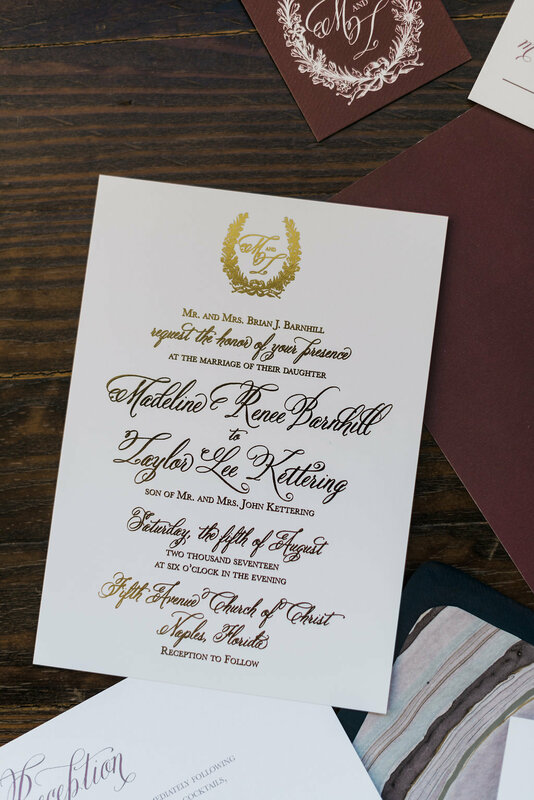 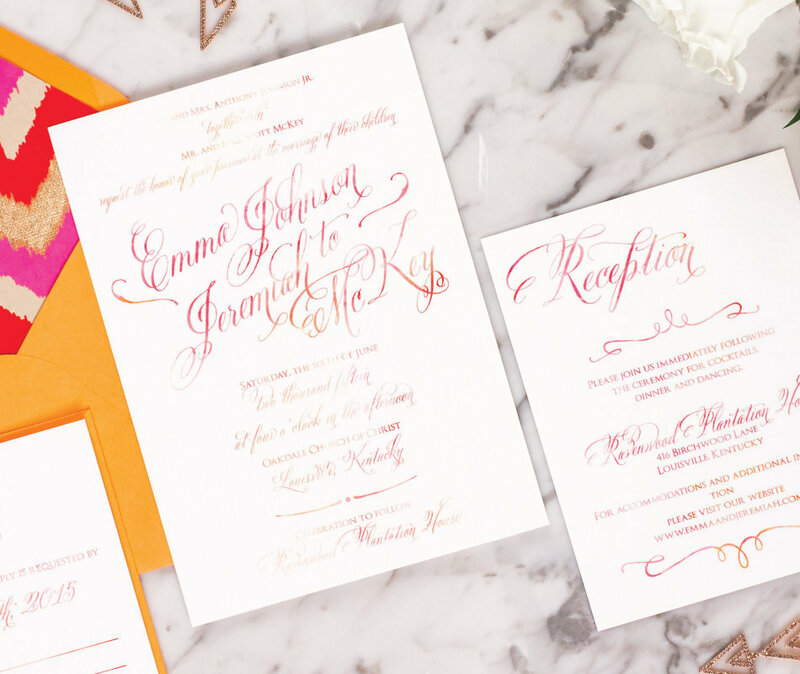 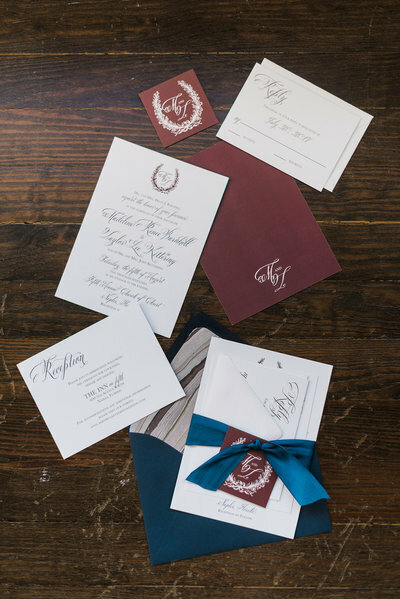 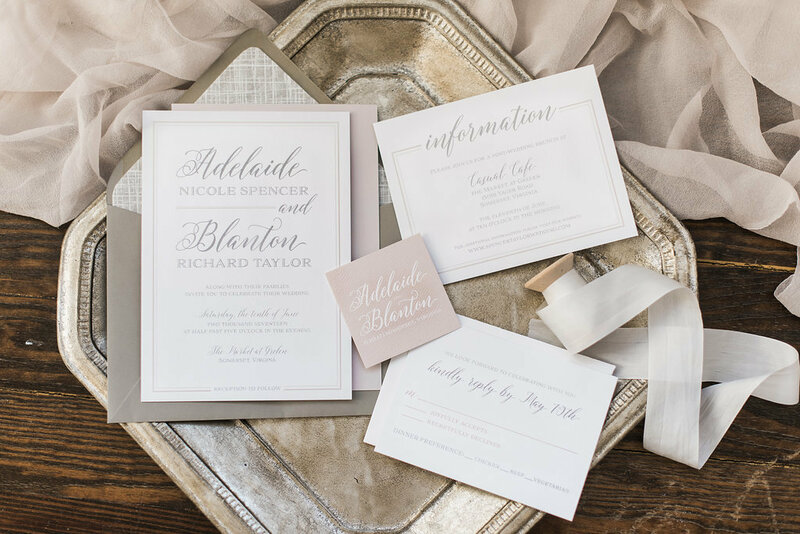 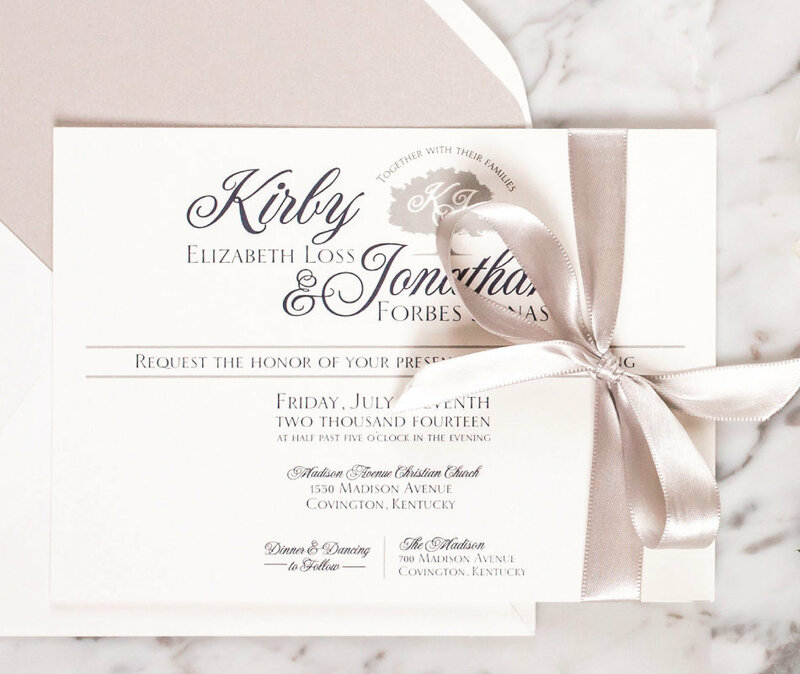 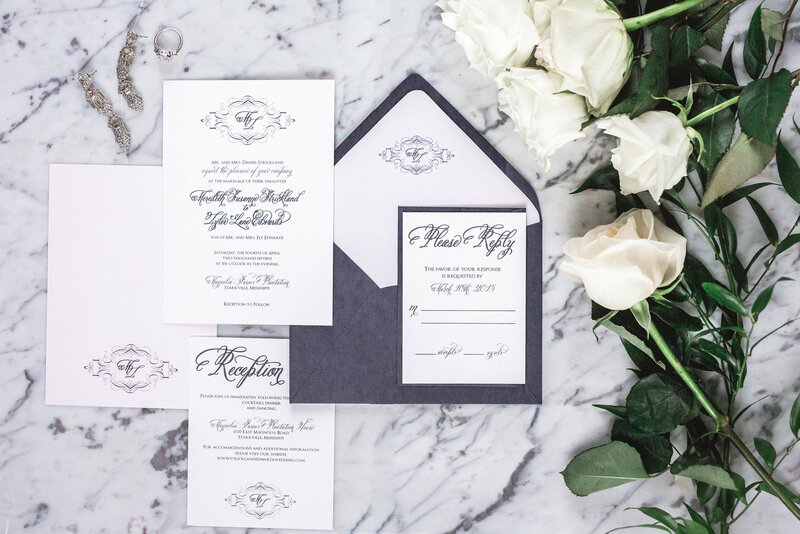 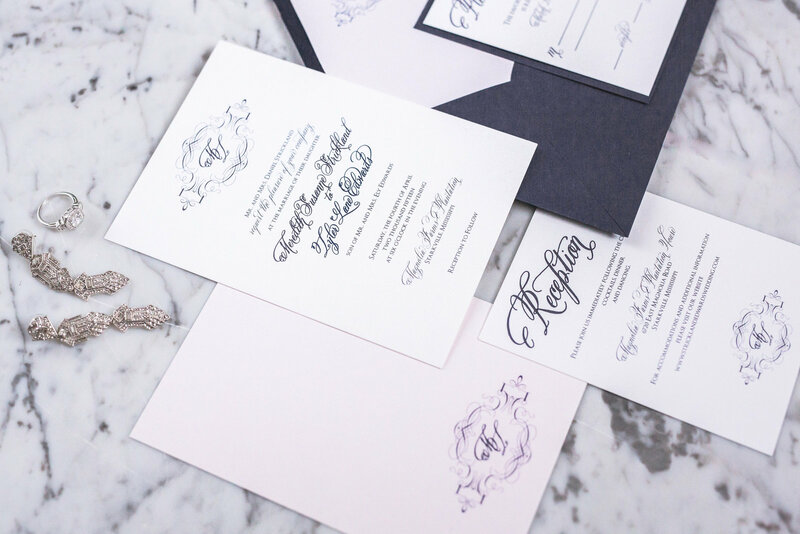 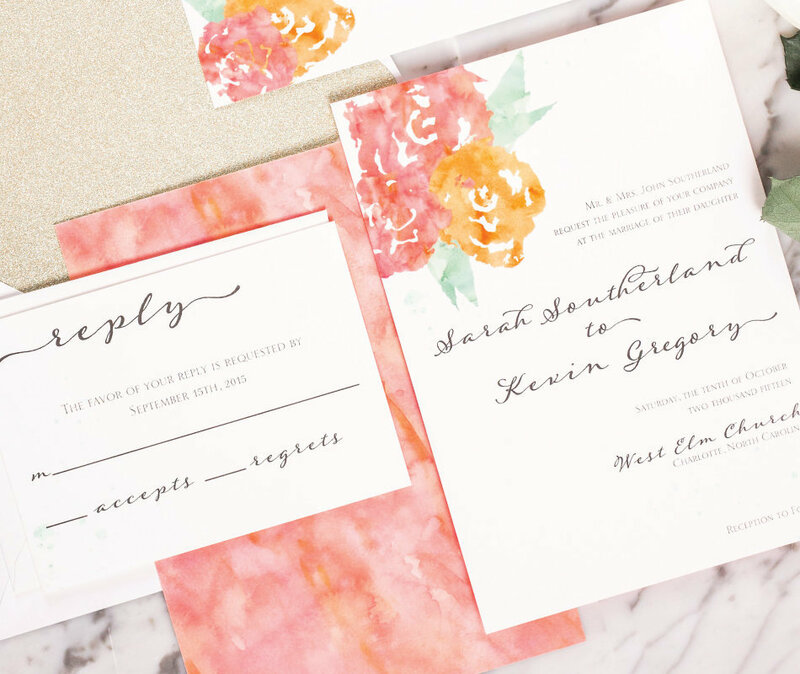 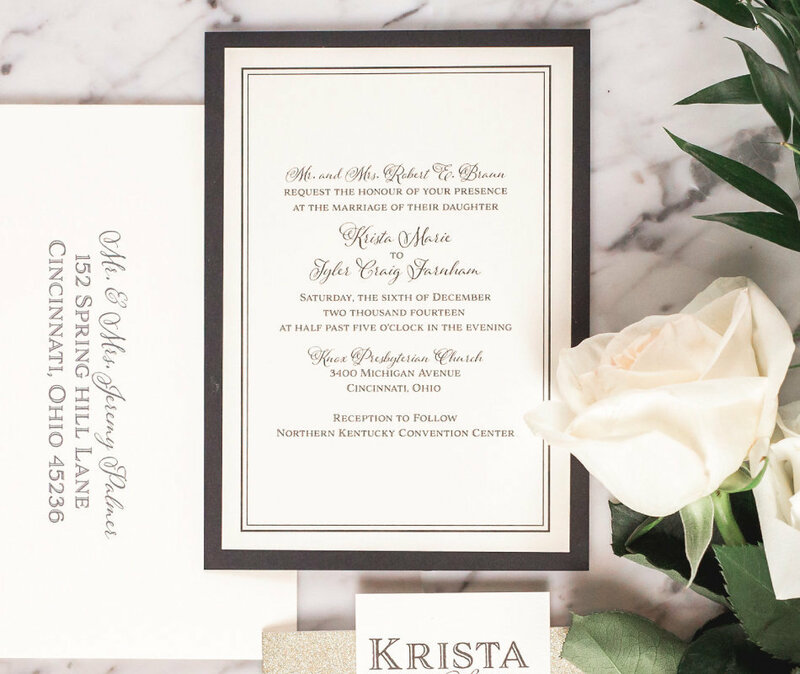 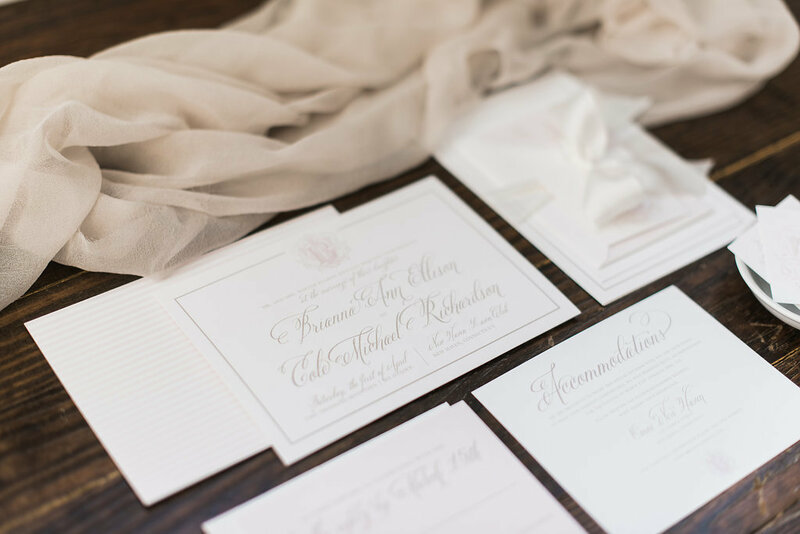 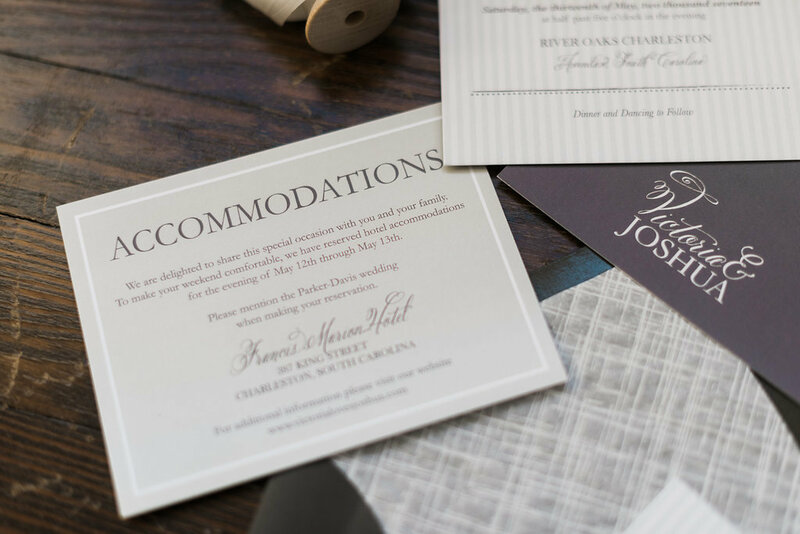 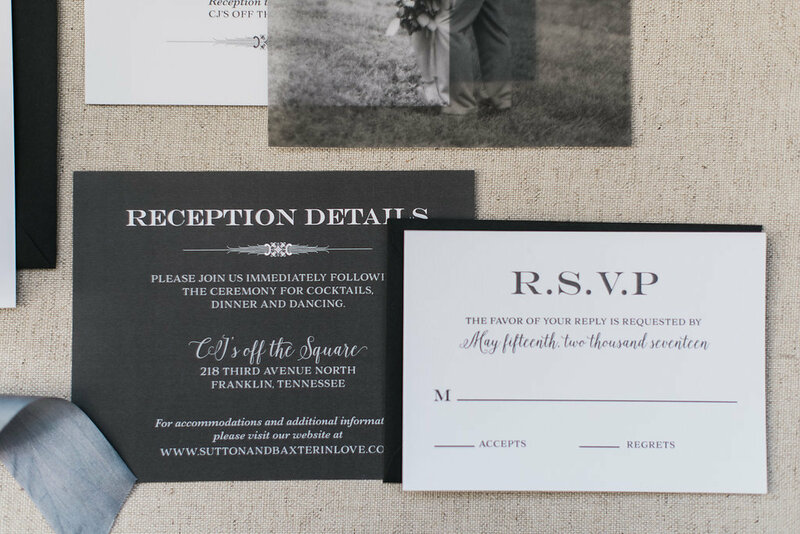 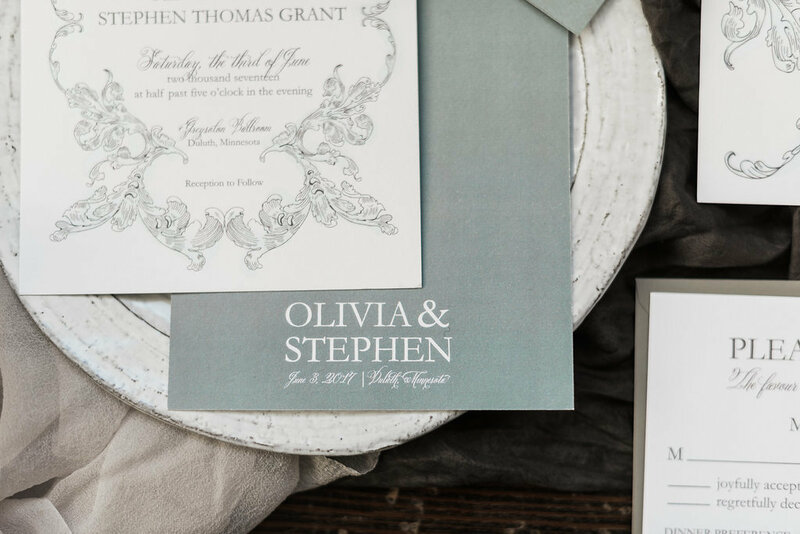 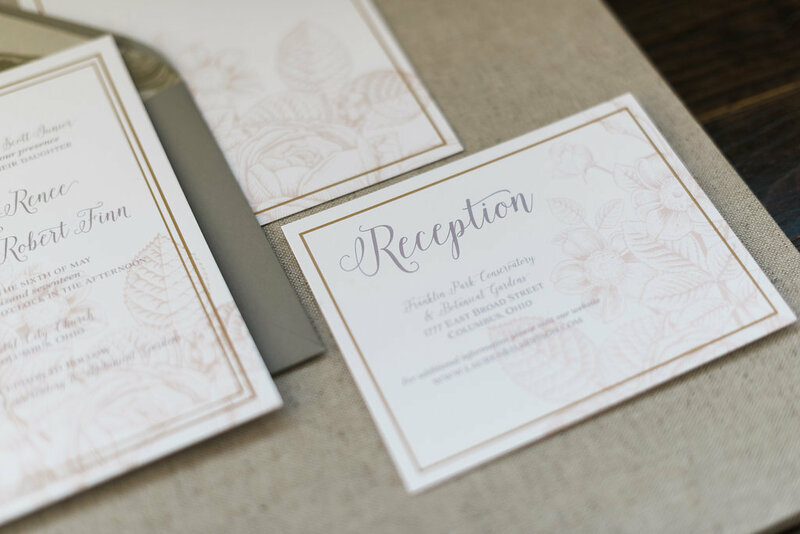 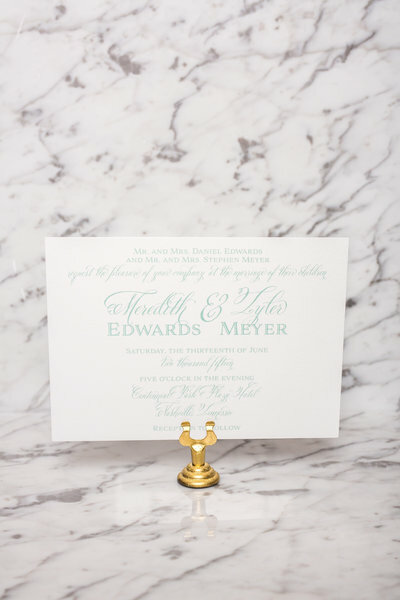 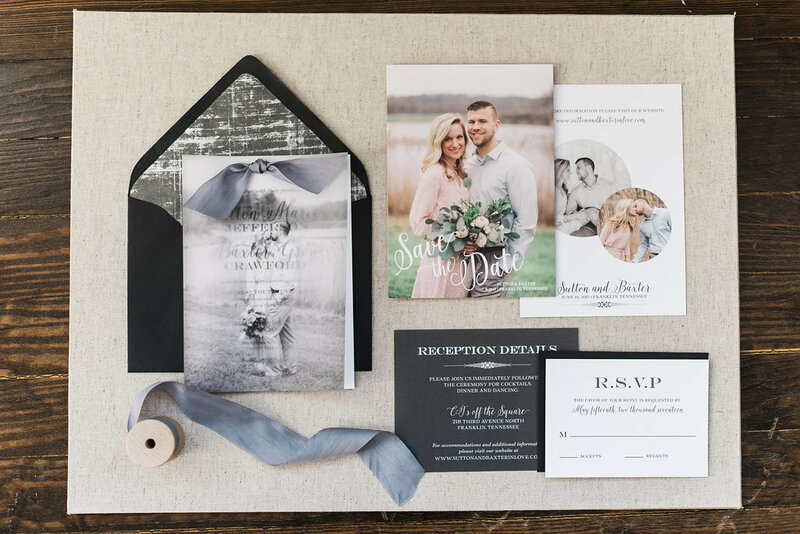 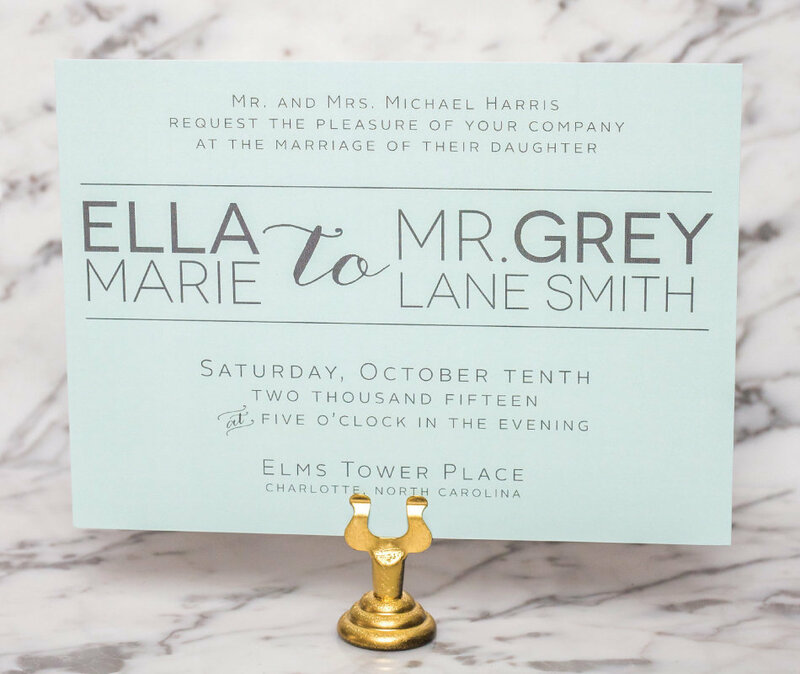 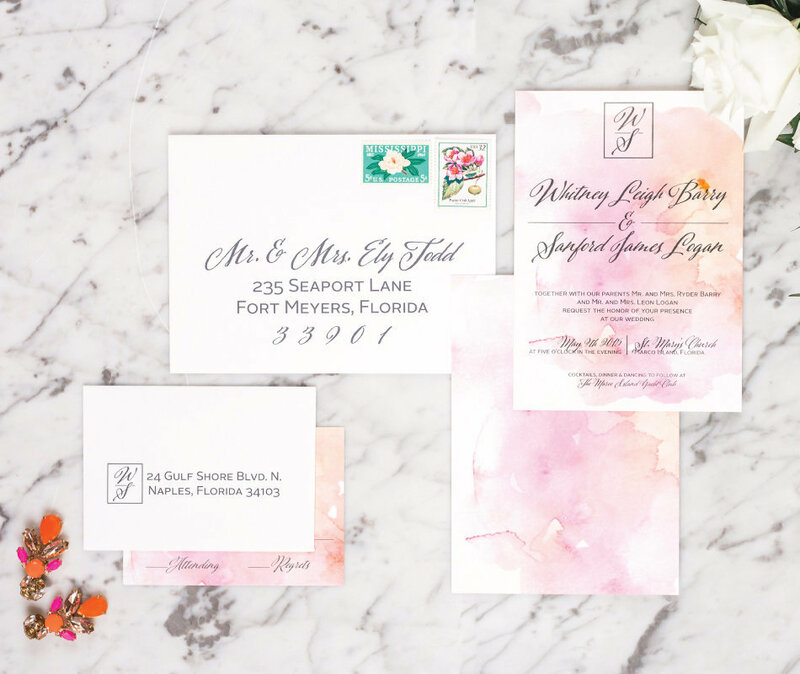 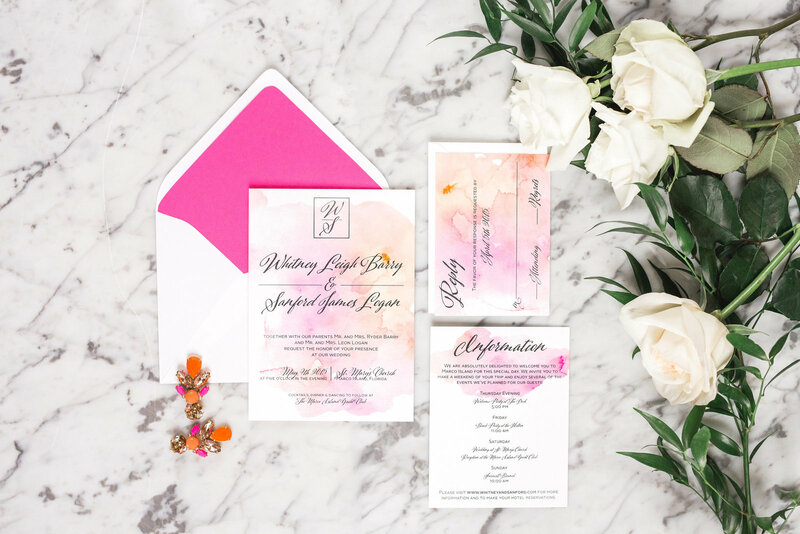 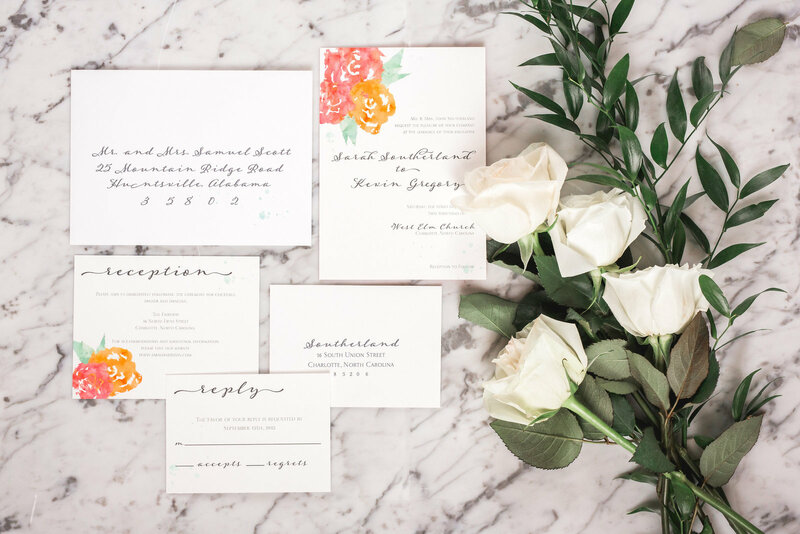 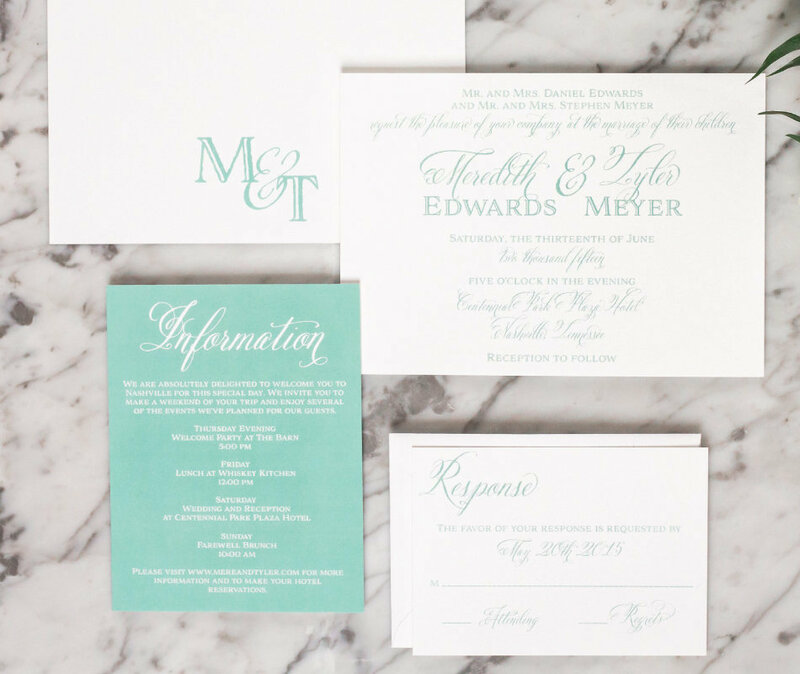 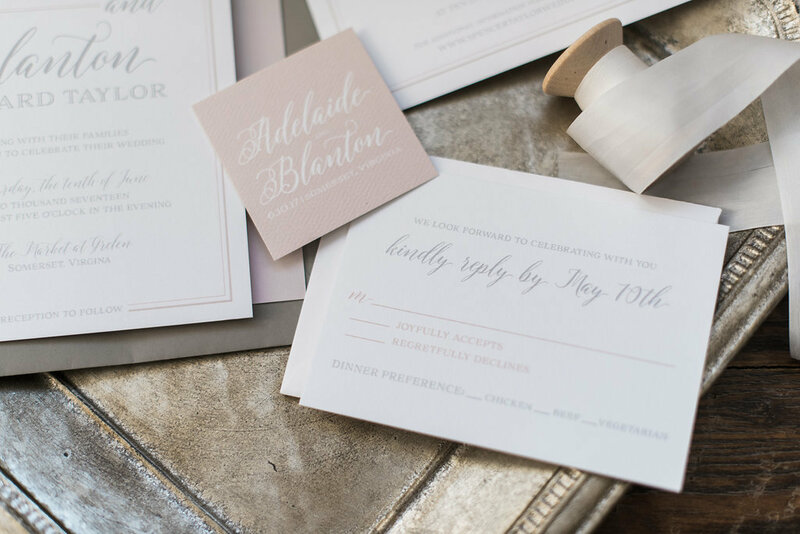 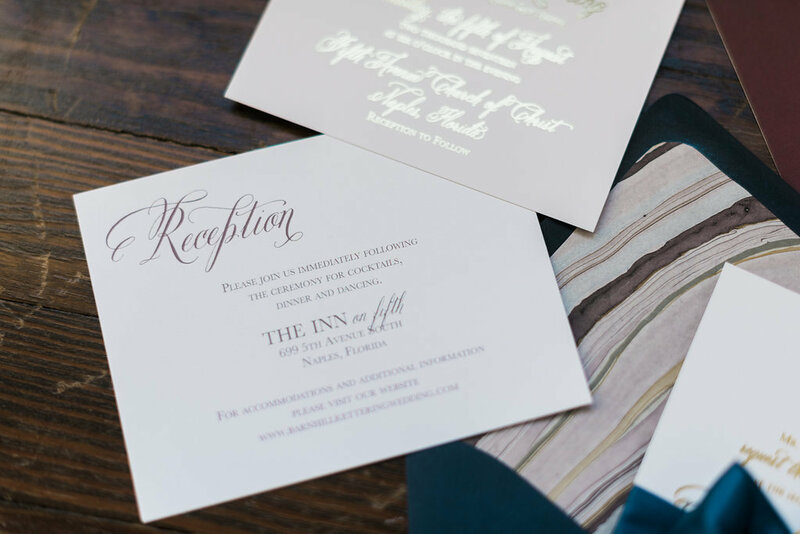 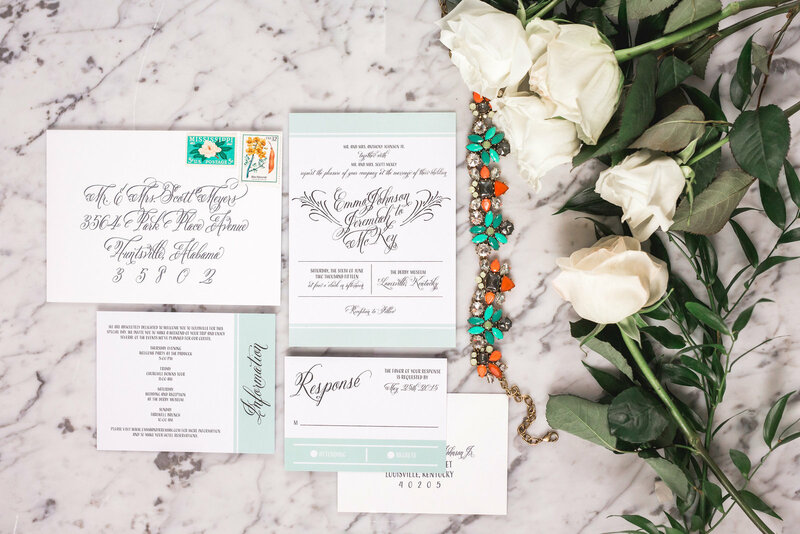 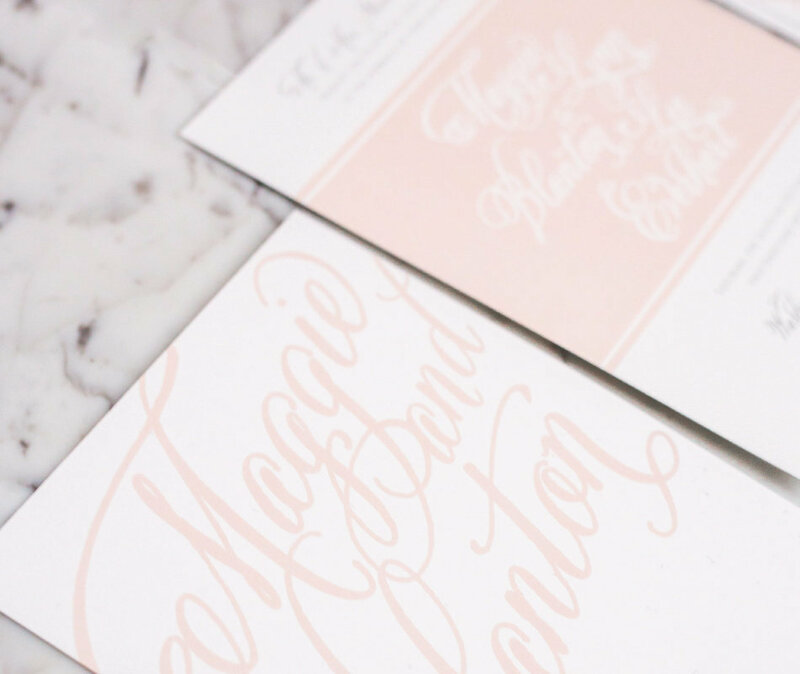 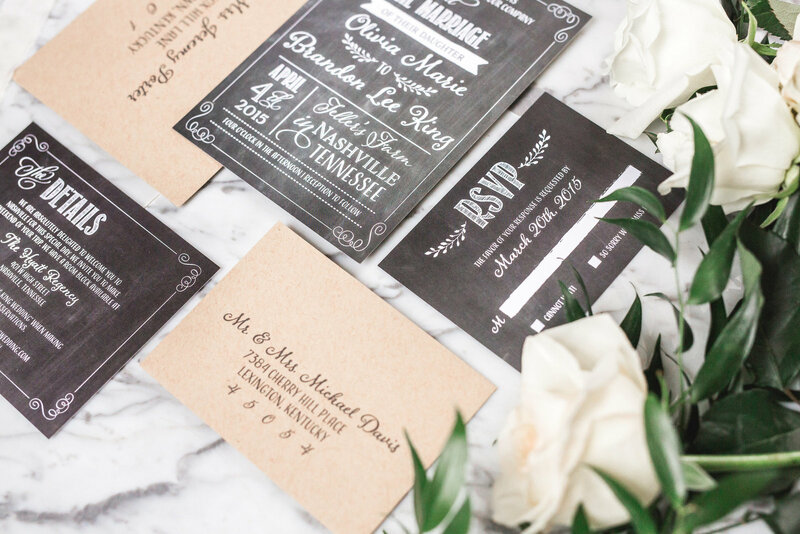 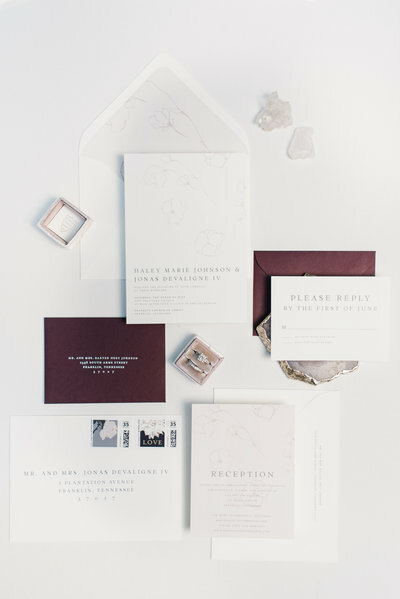 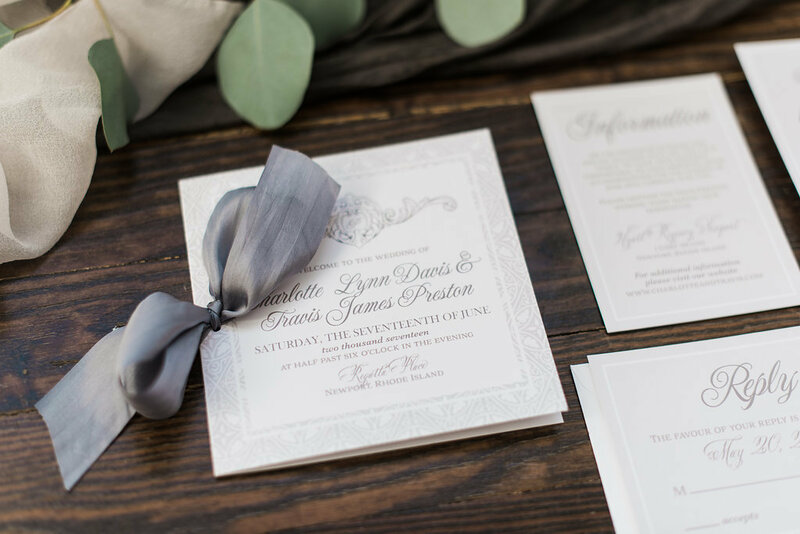 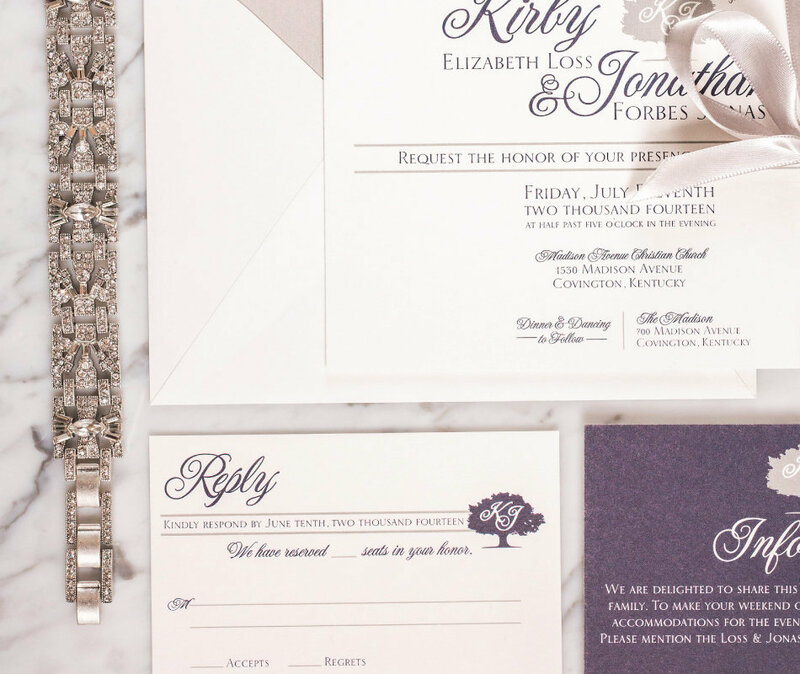 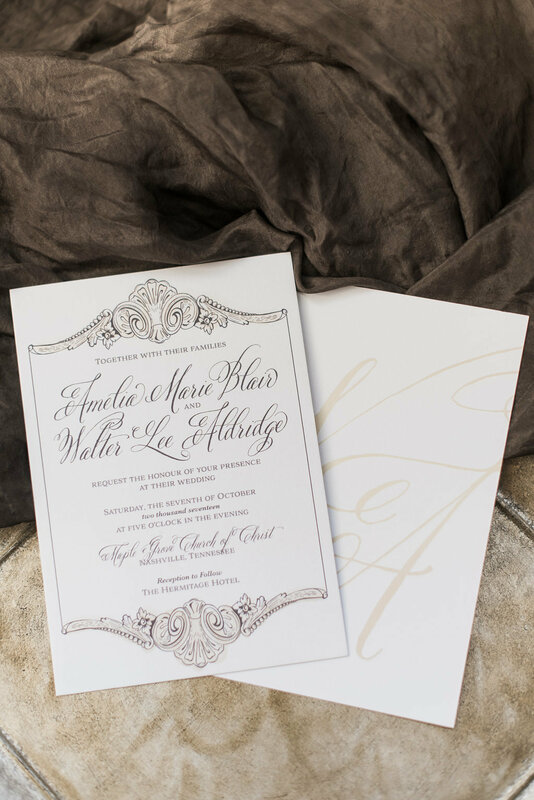 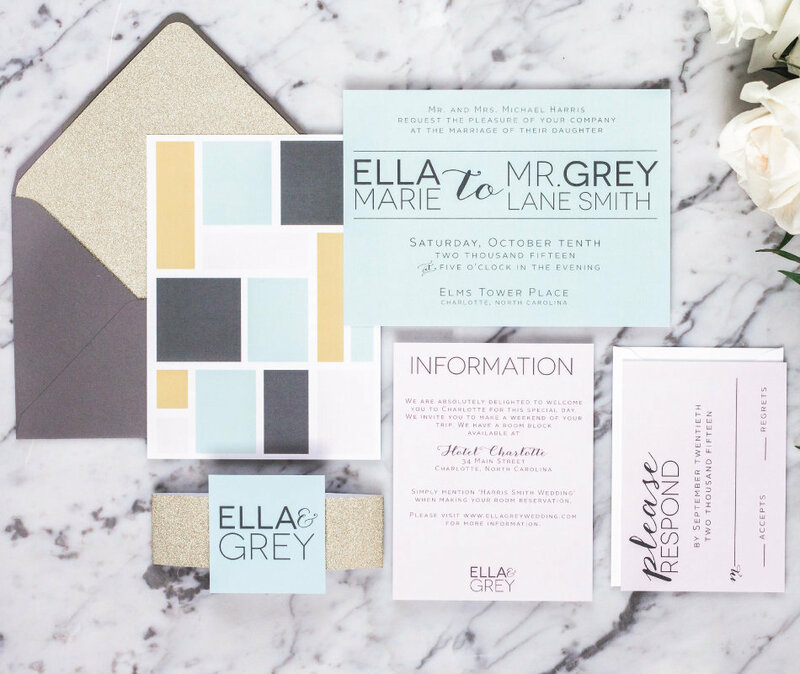 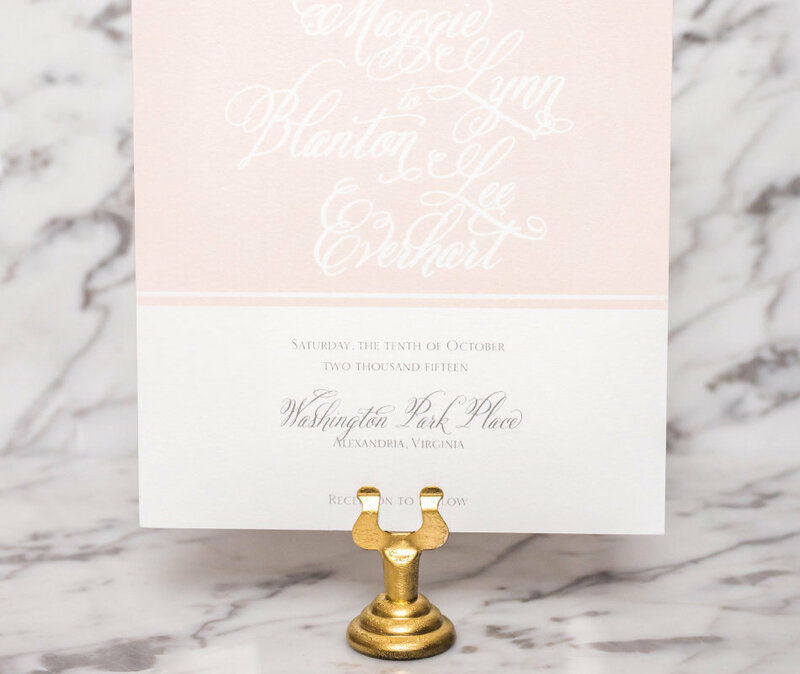 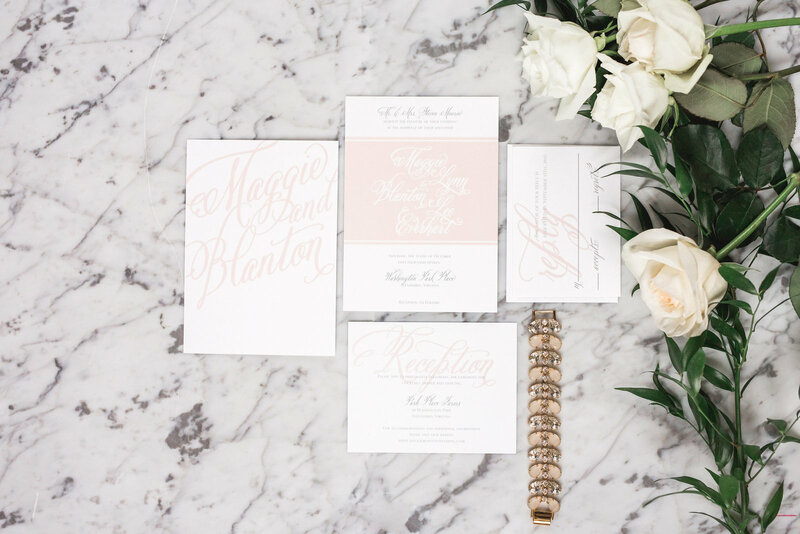 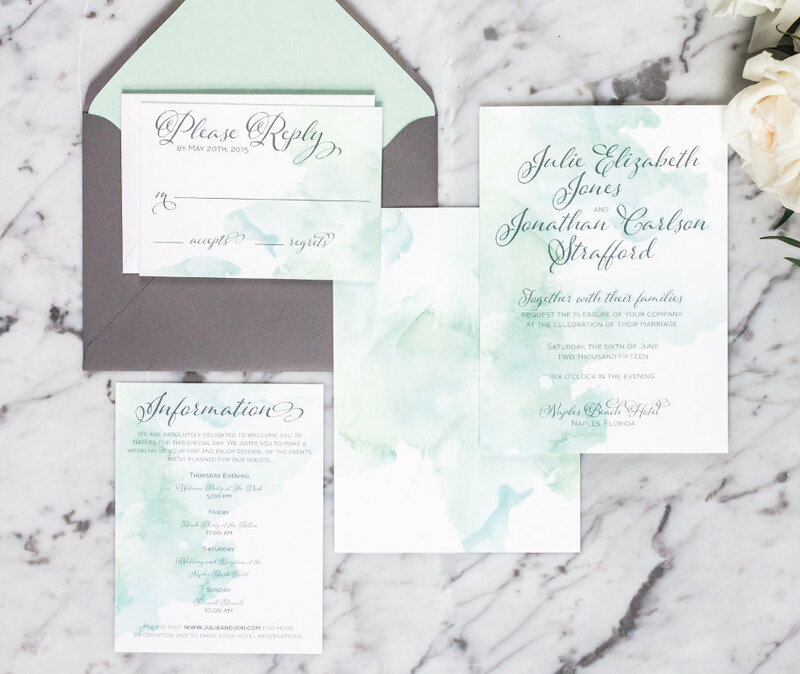 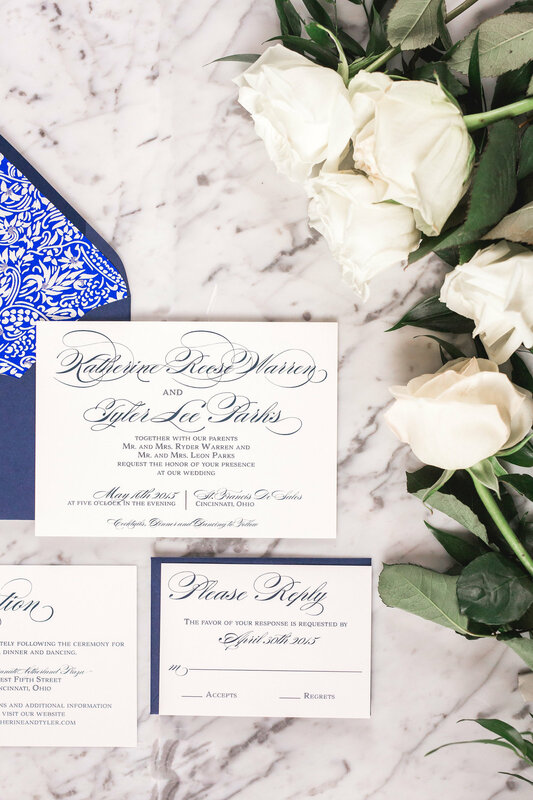 Meg Morrow House Collection invitation suites are pre-designed suites customized to fit your wedding vision. 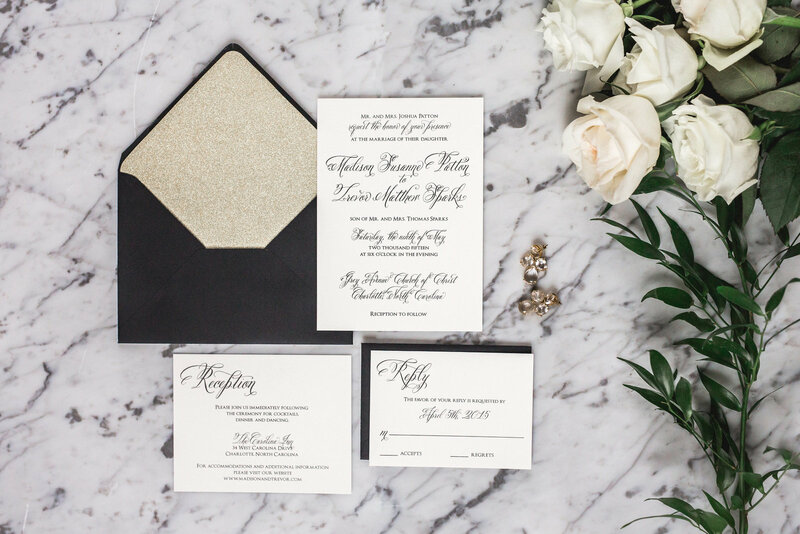 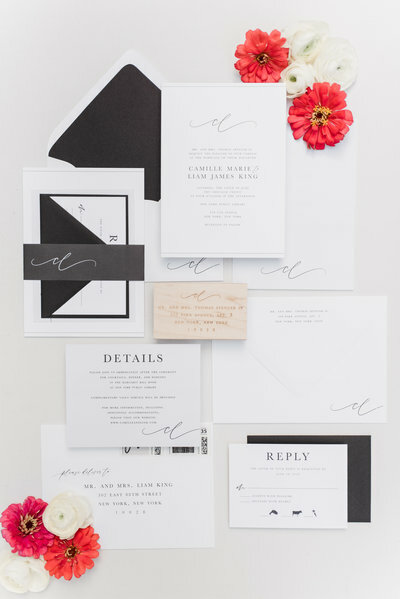 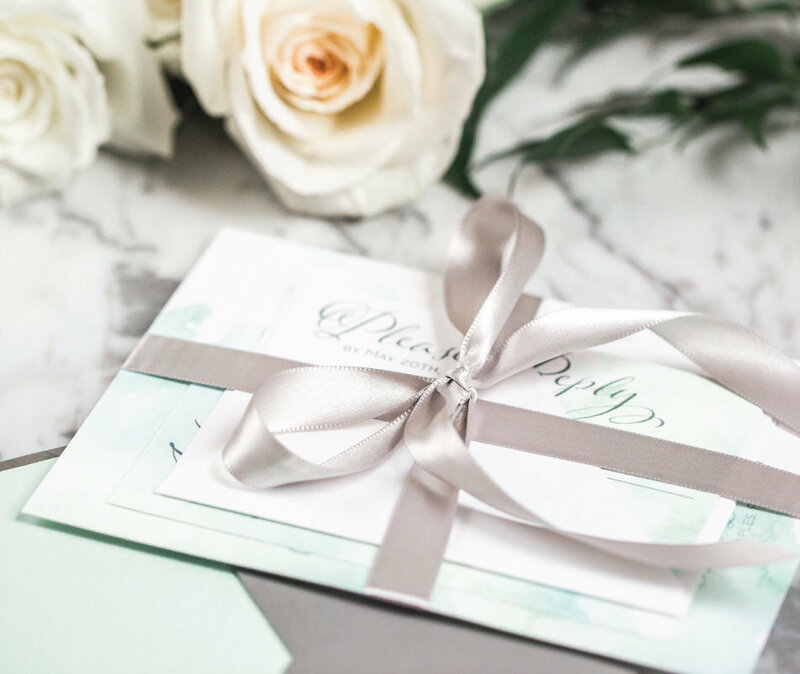 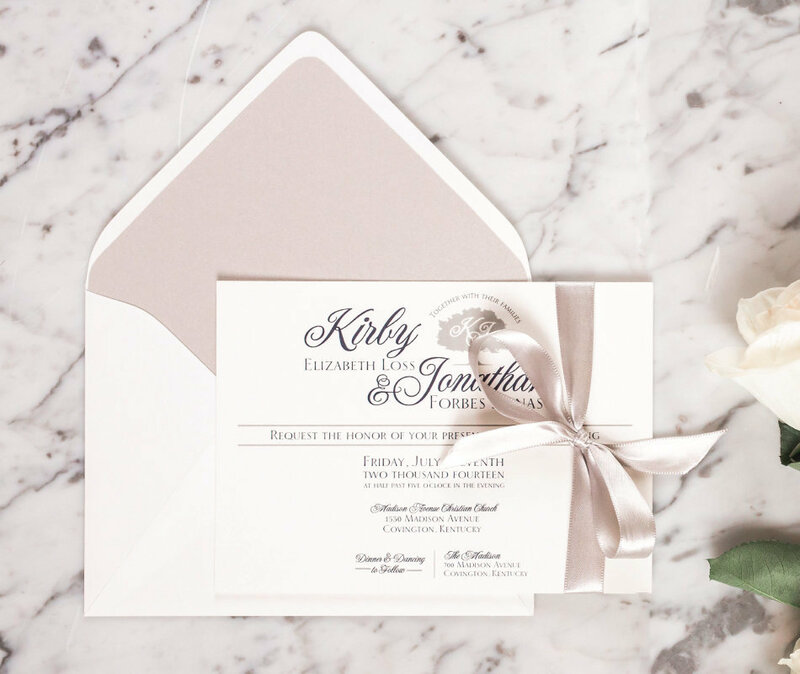 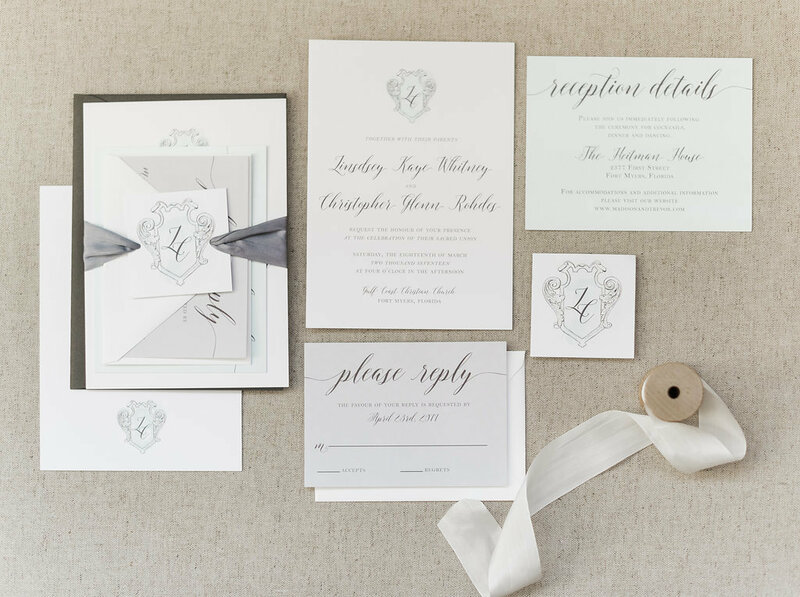 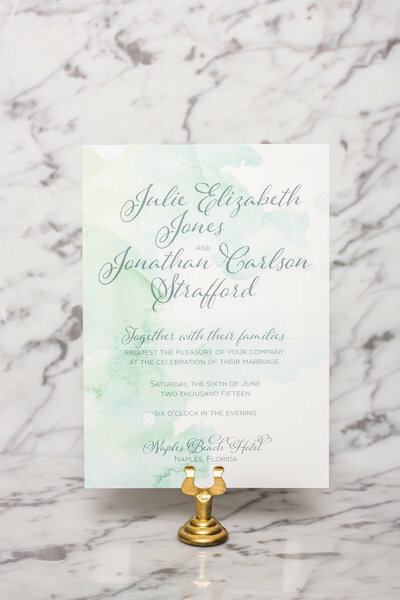 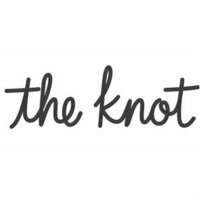 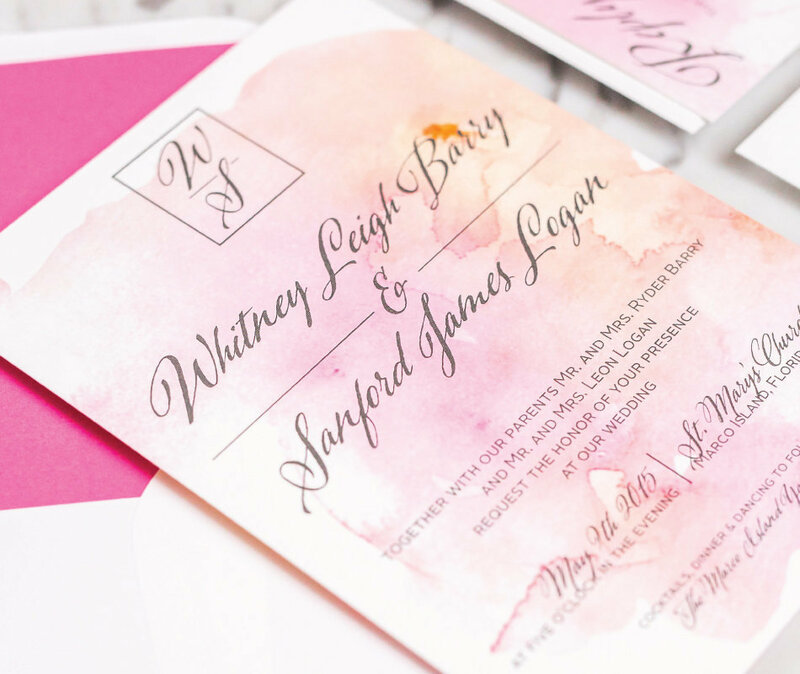 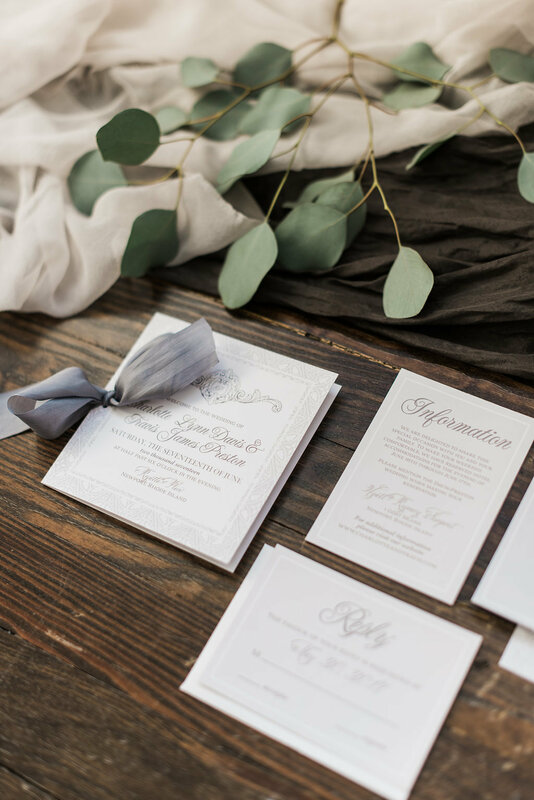 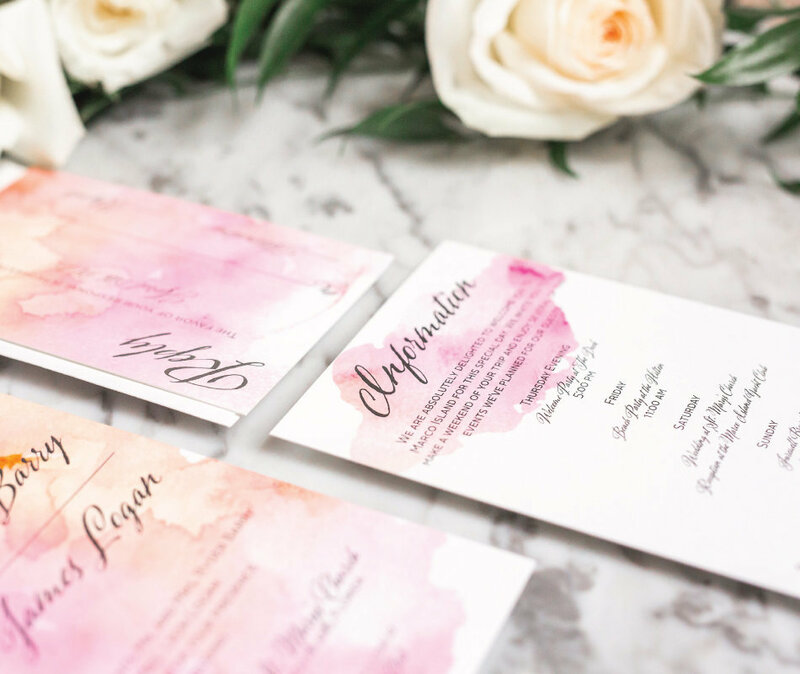 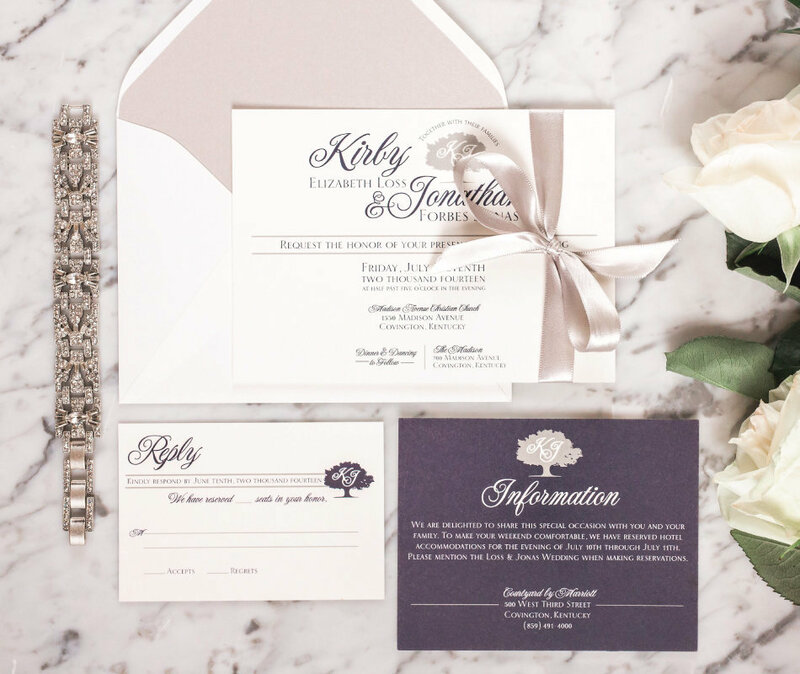 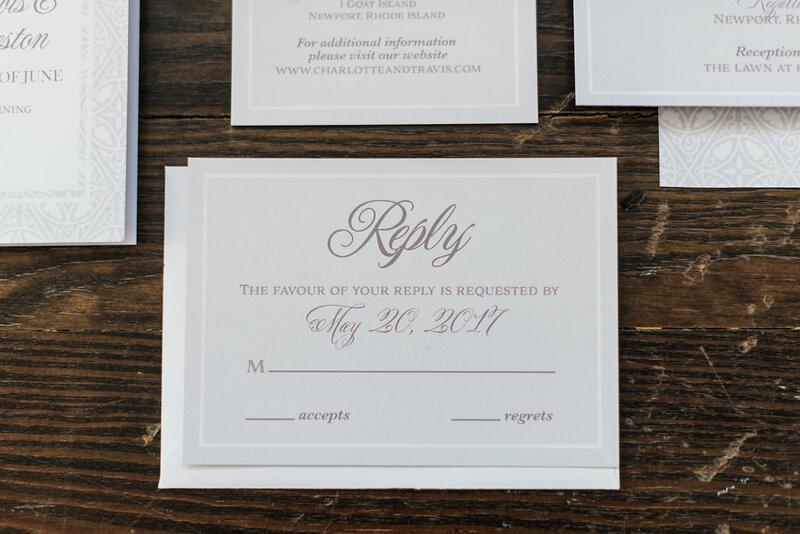 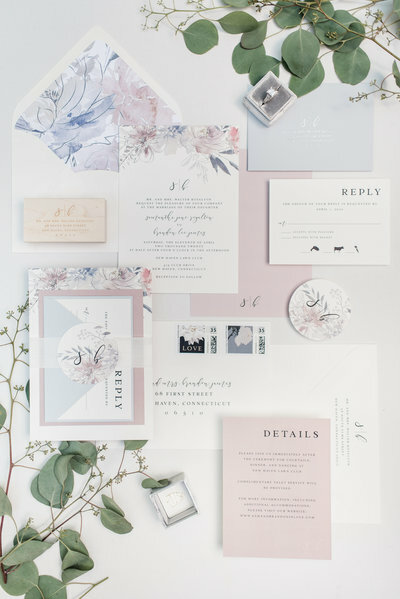 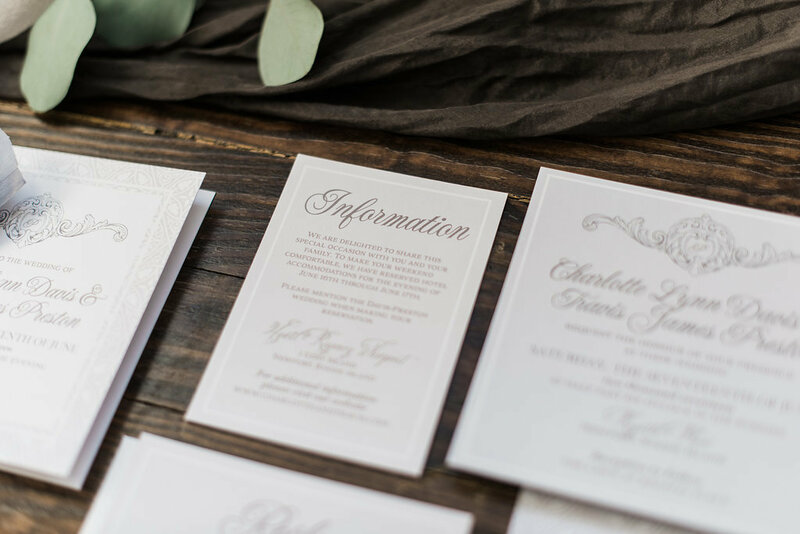 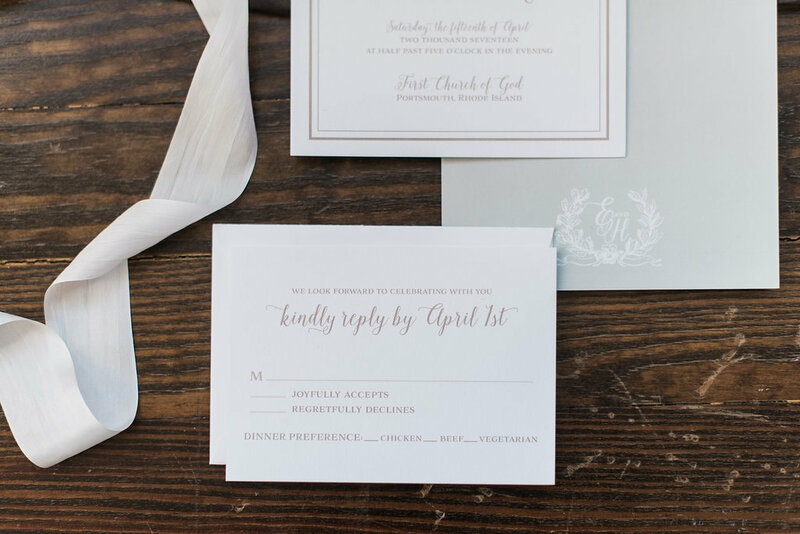 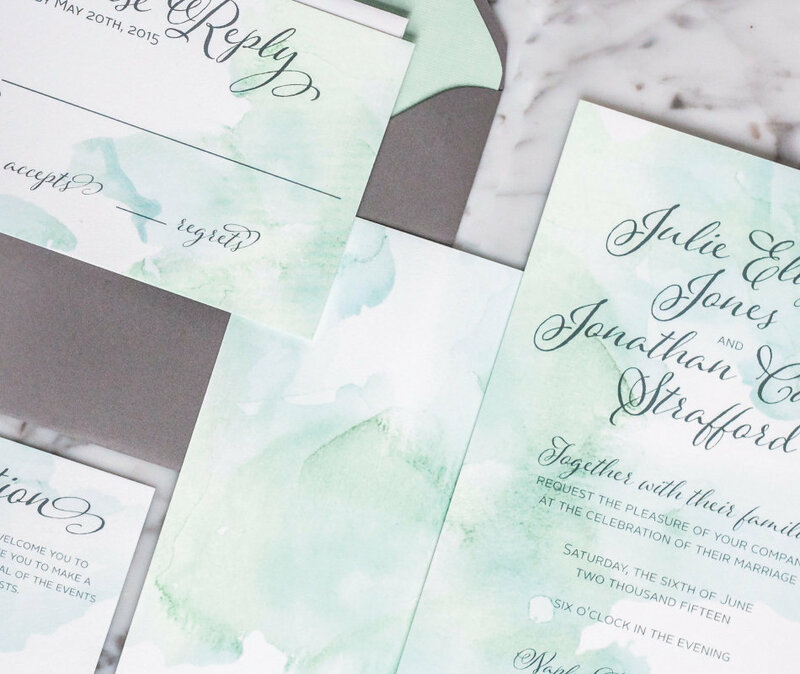 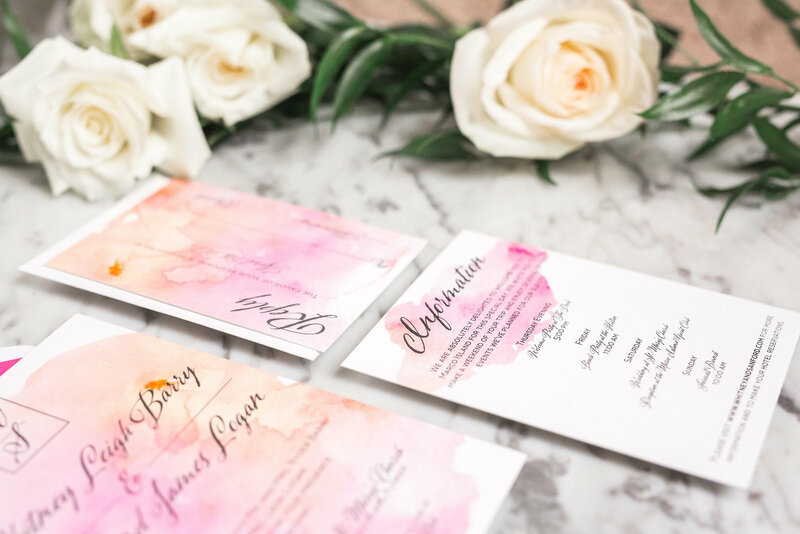 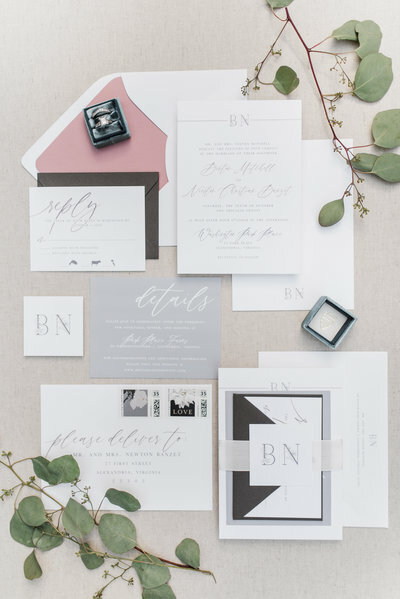 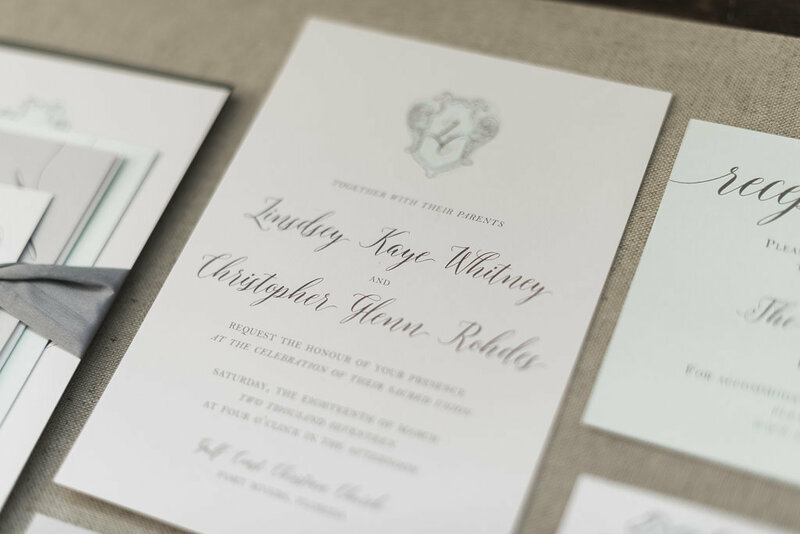 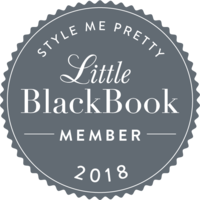 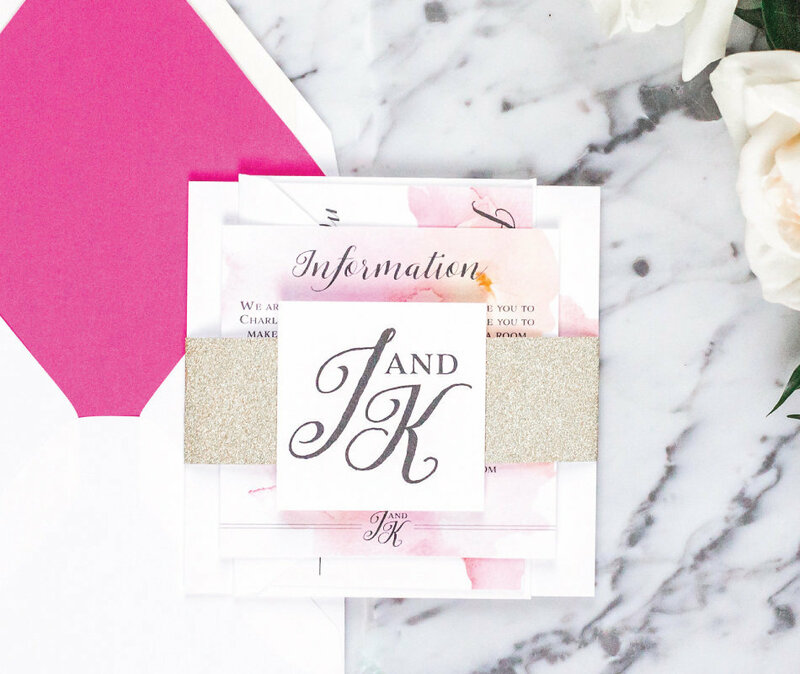 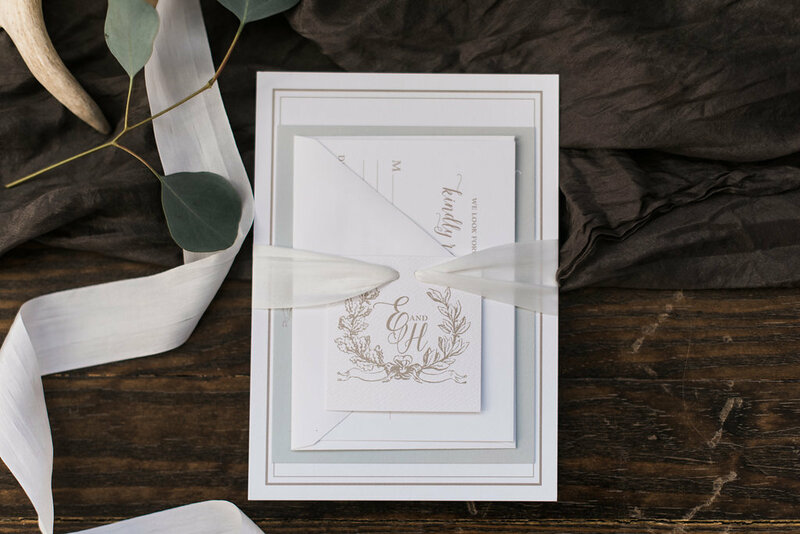 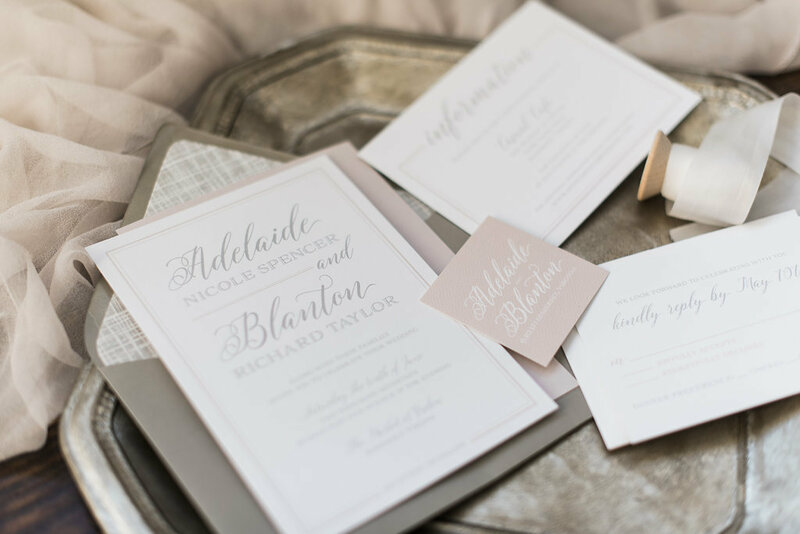 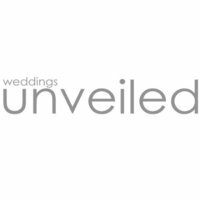 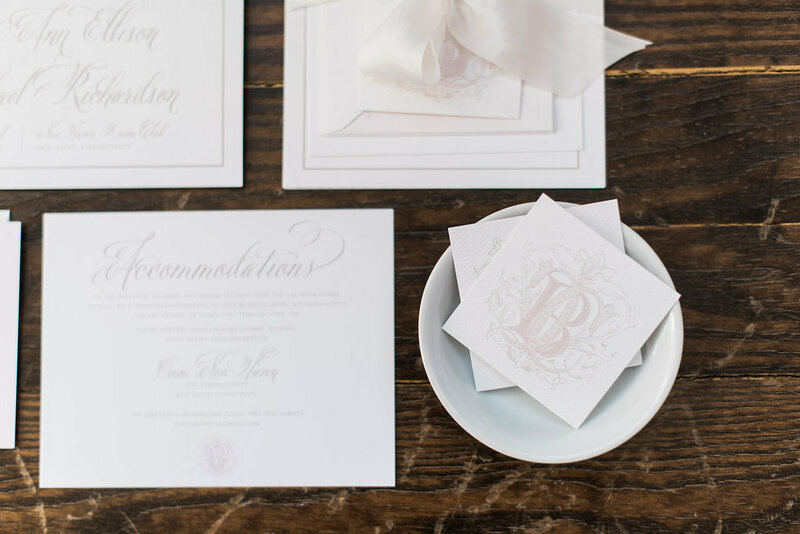 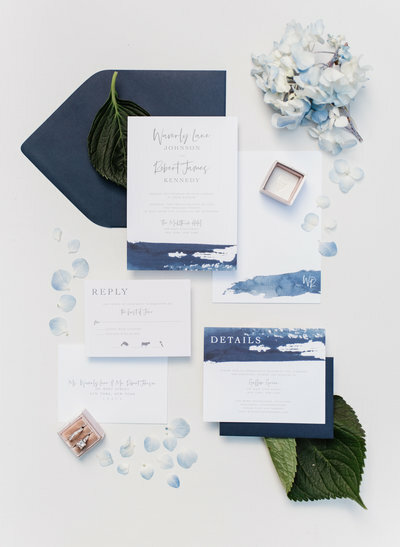 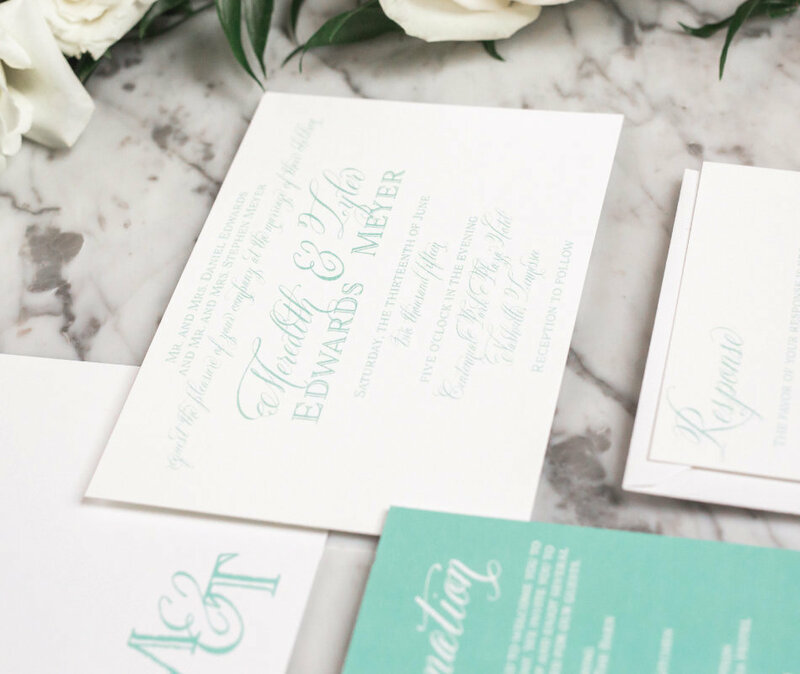 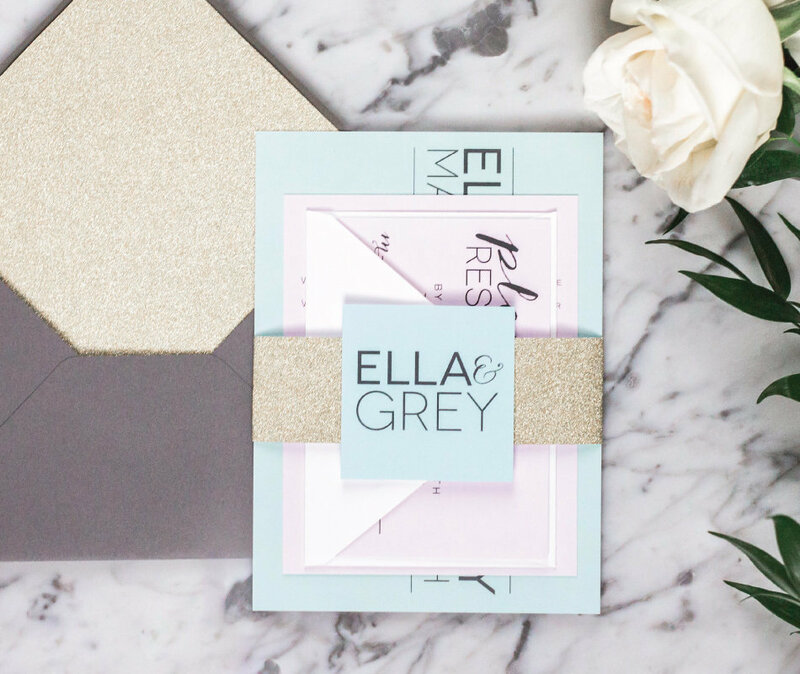 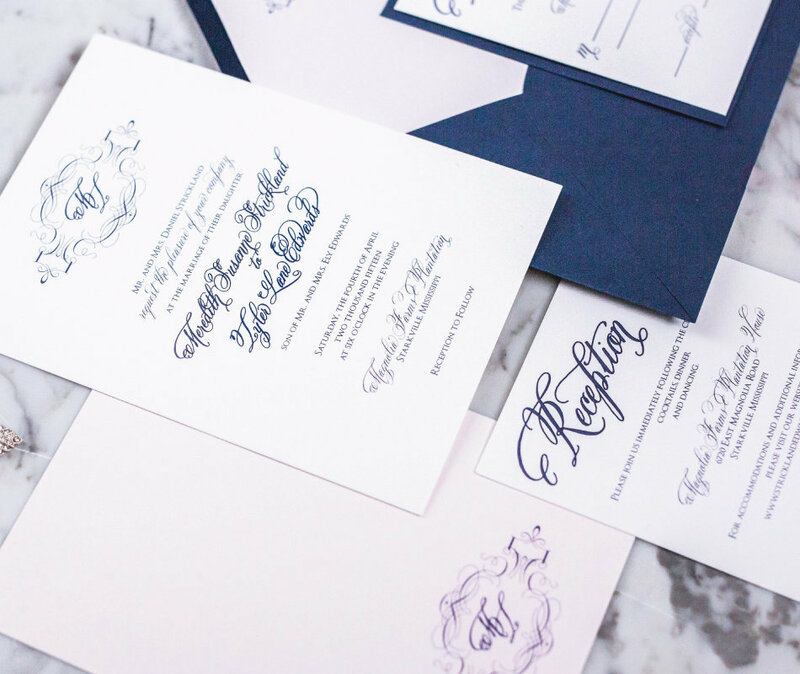 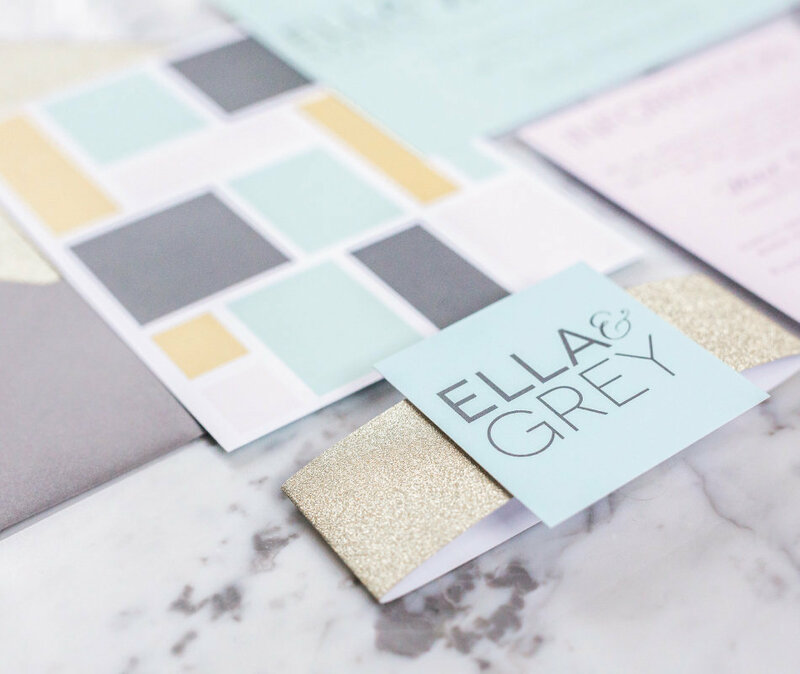 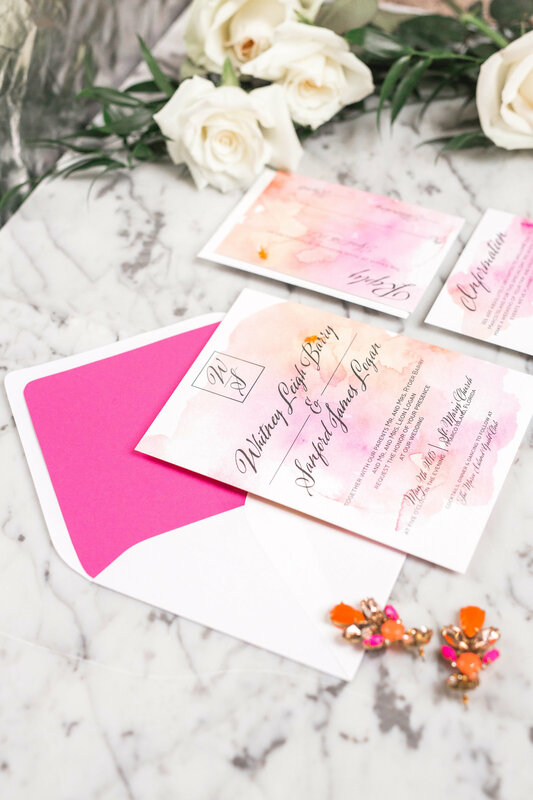 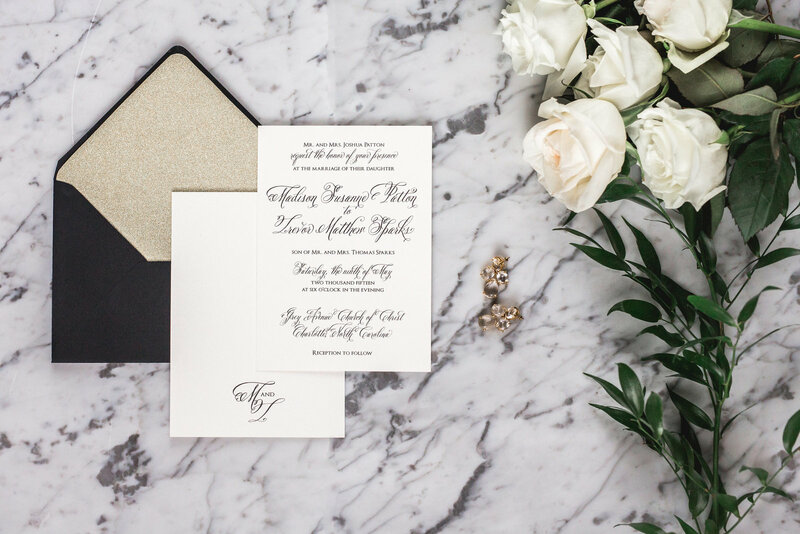 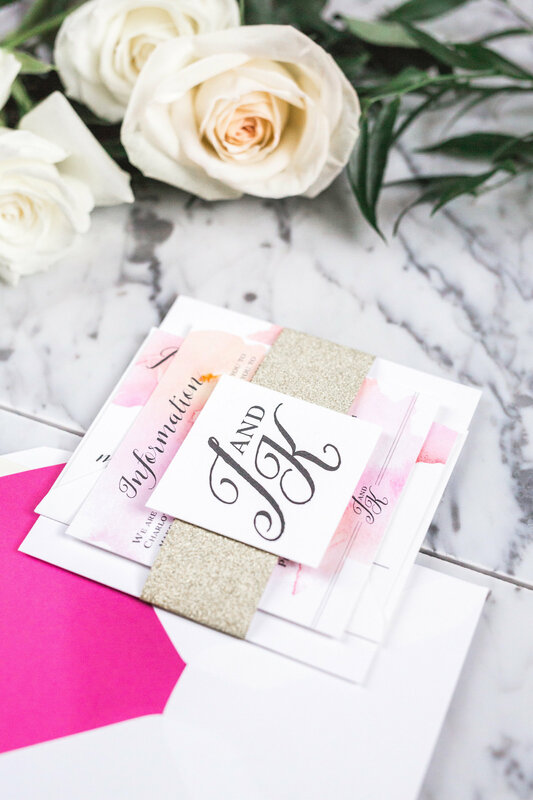 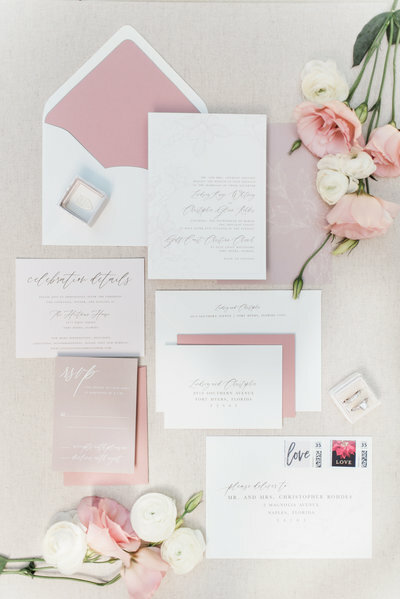 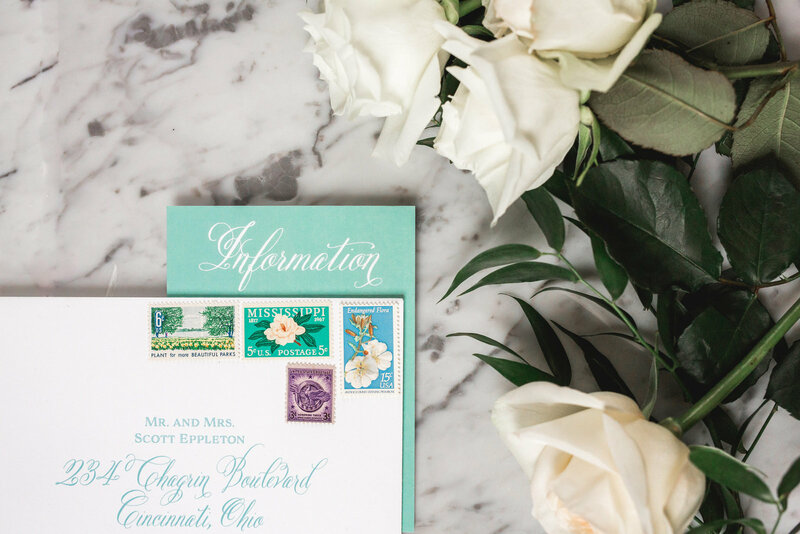 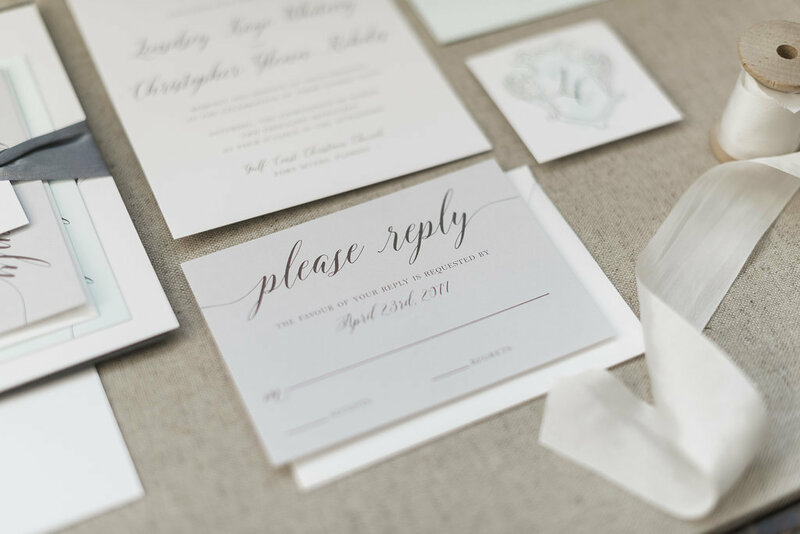 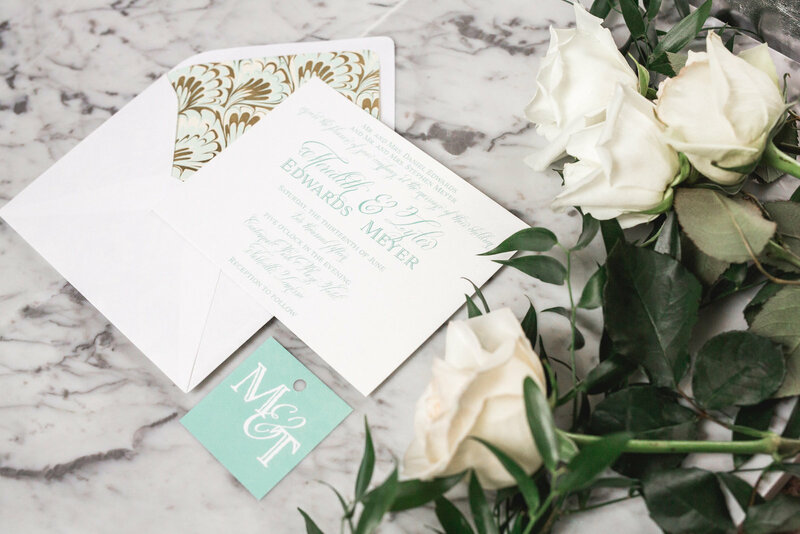 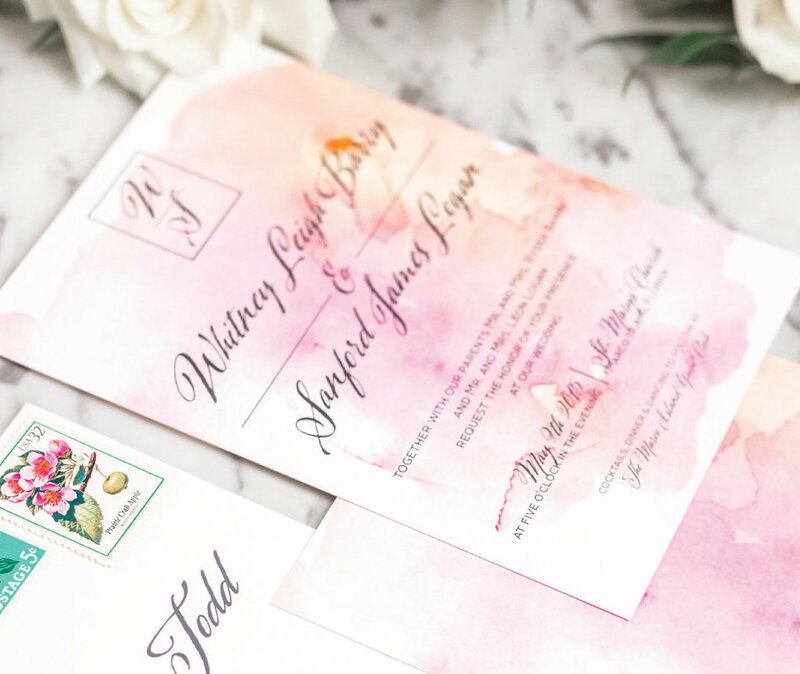 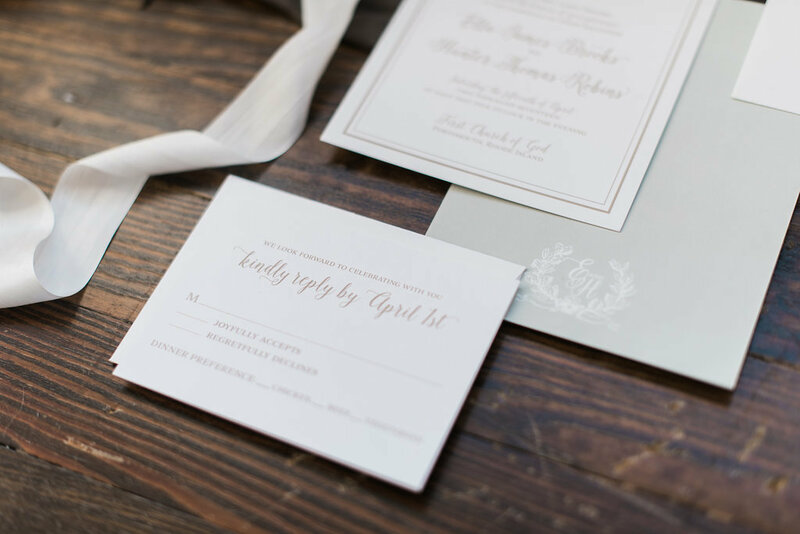 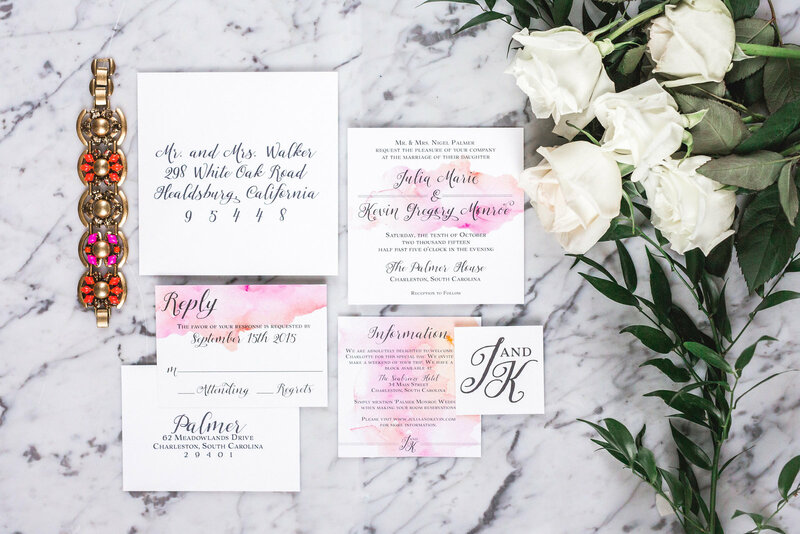 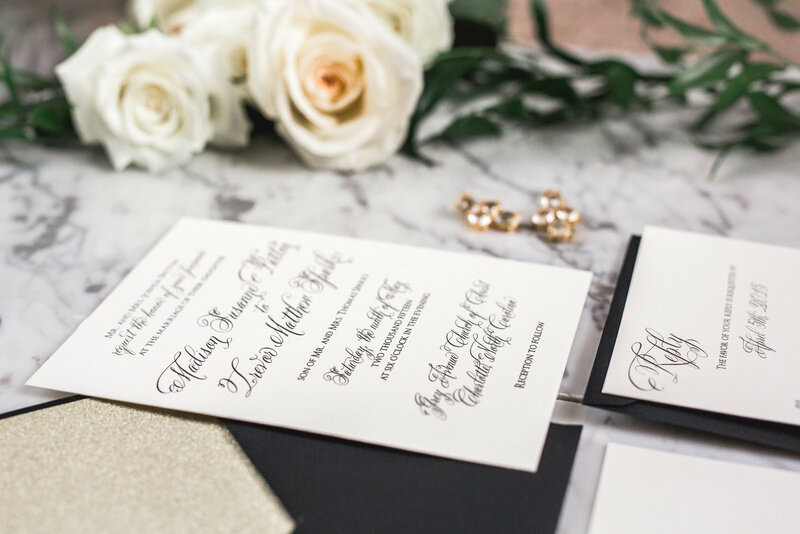 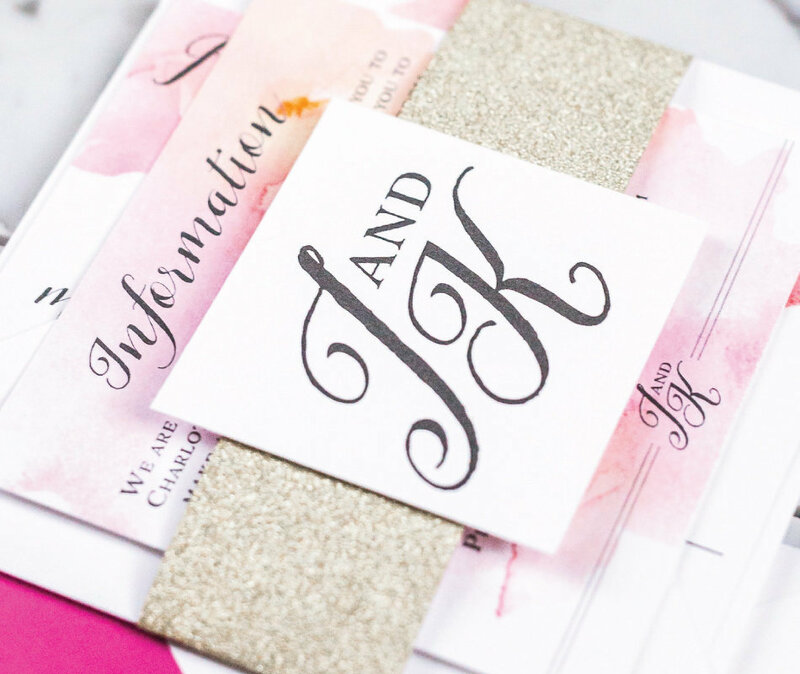 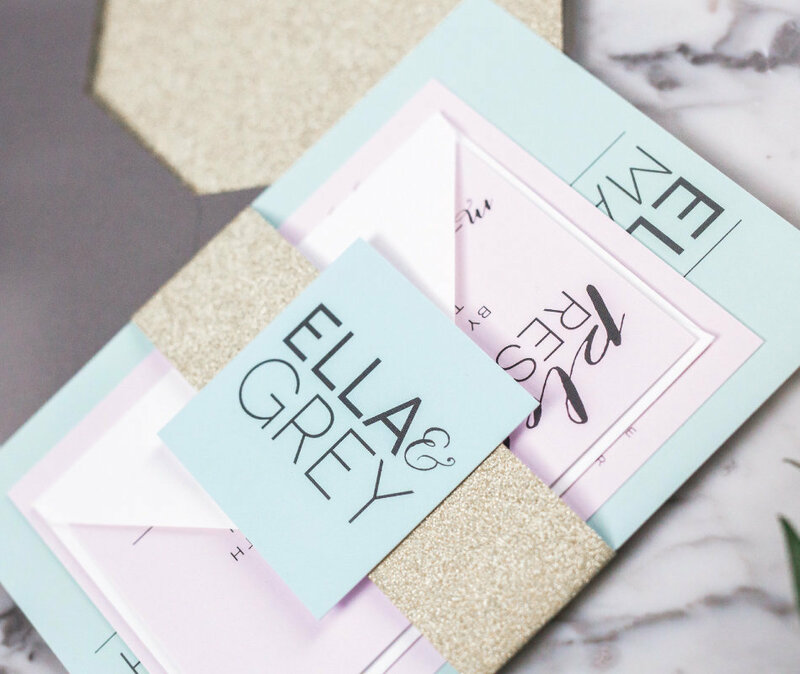 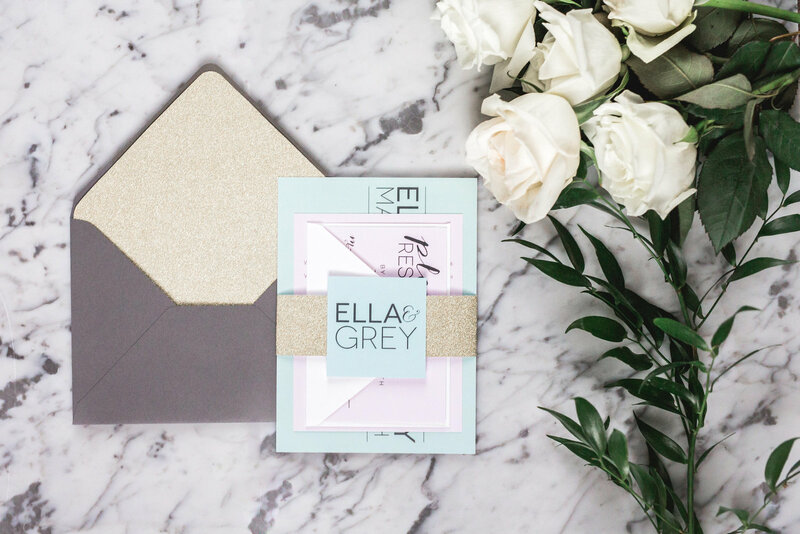 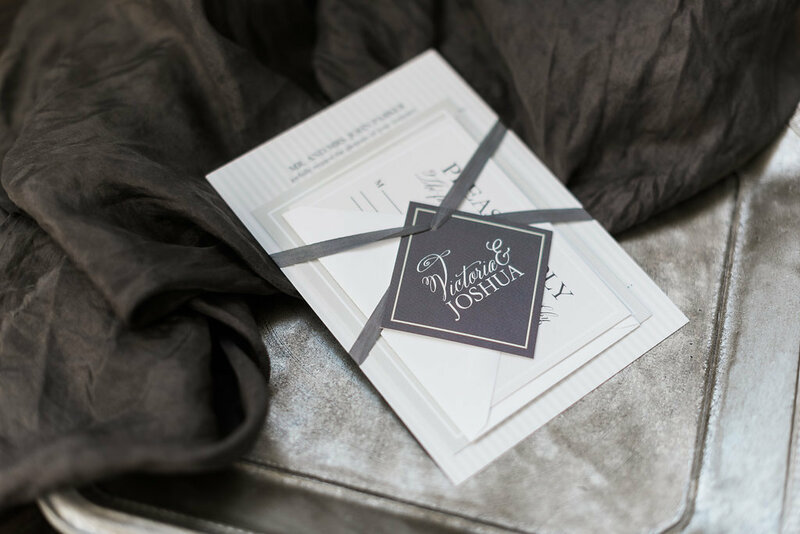 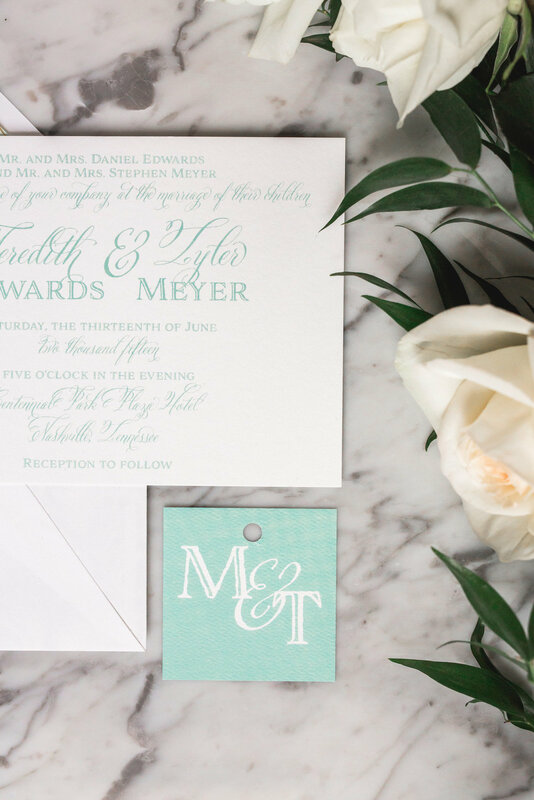 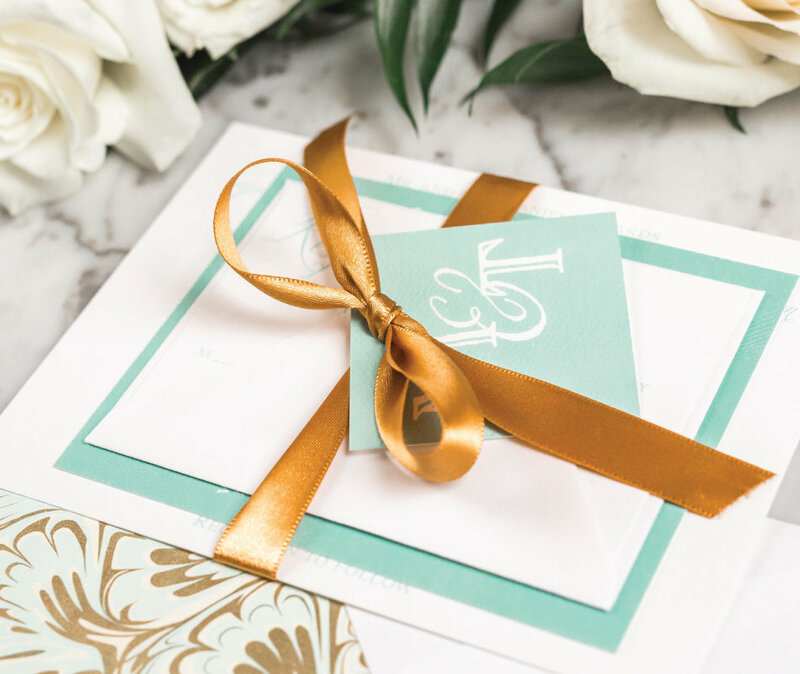 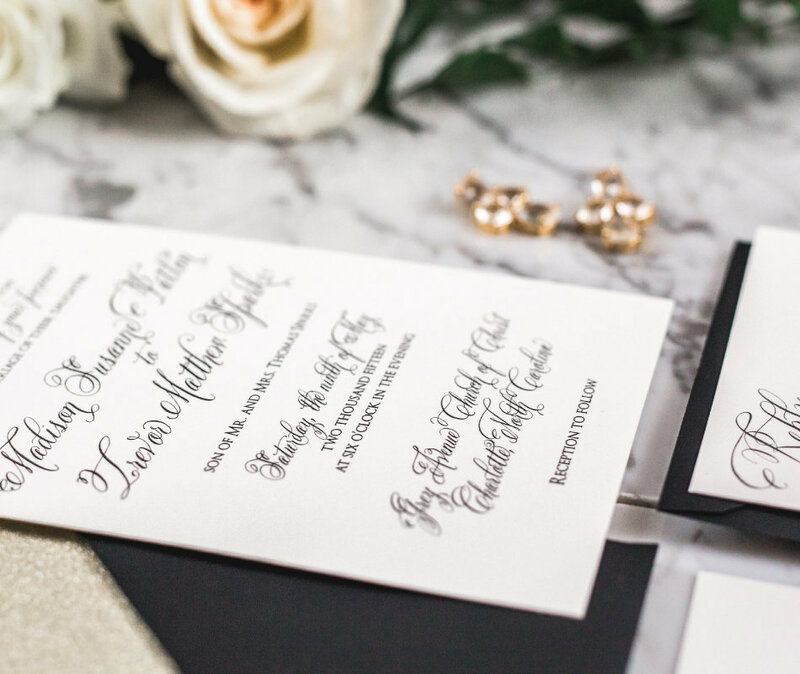 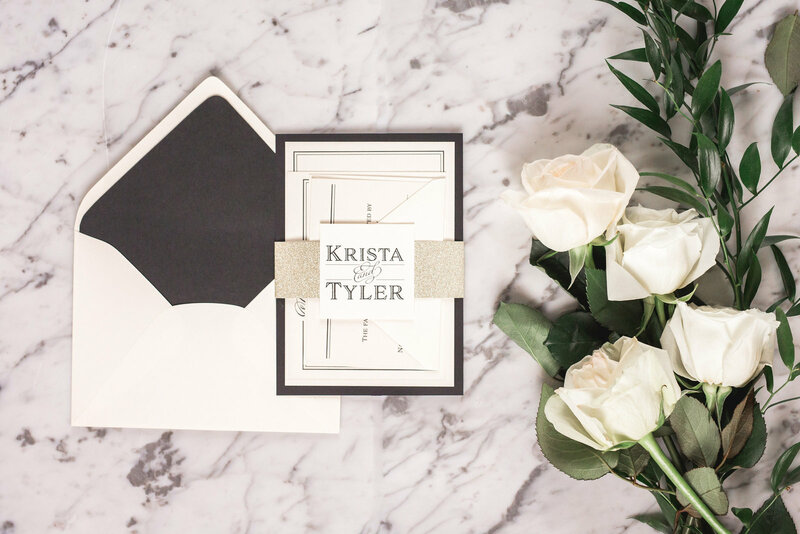 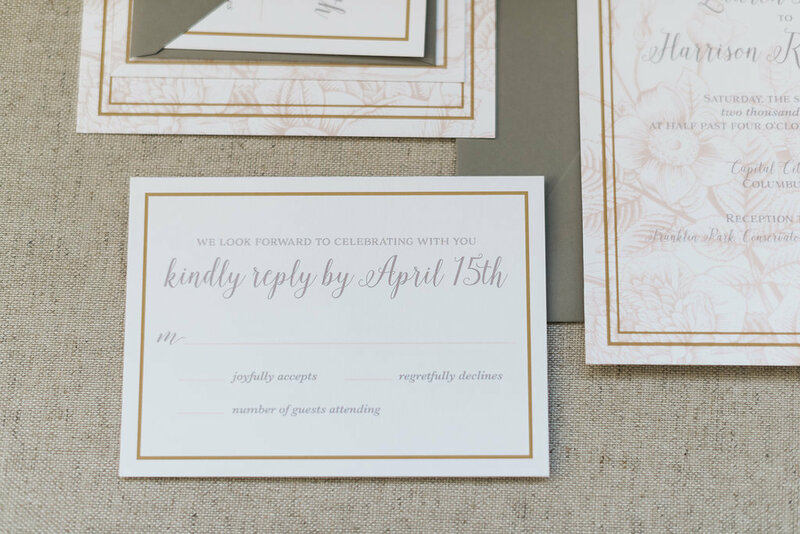 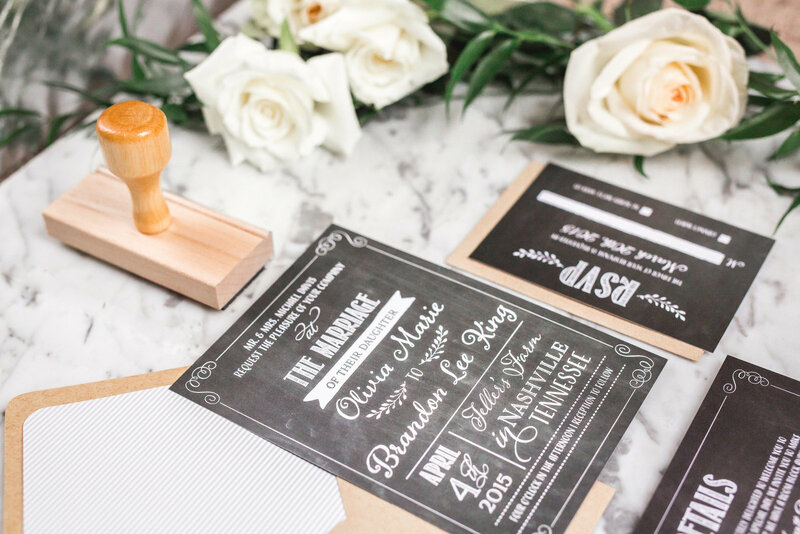 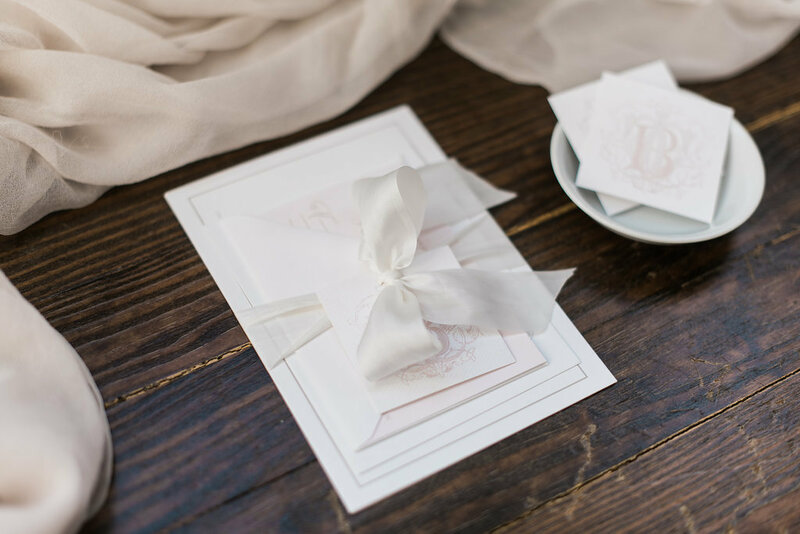 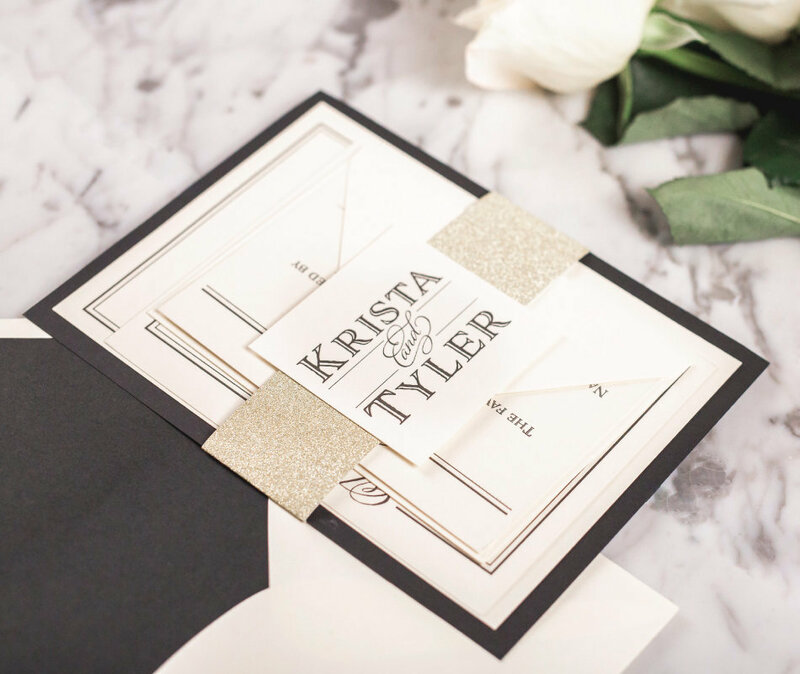 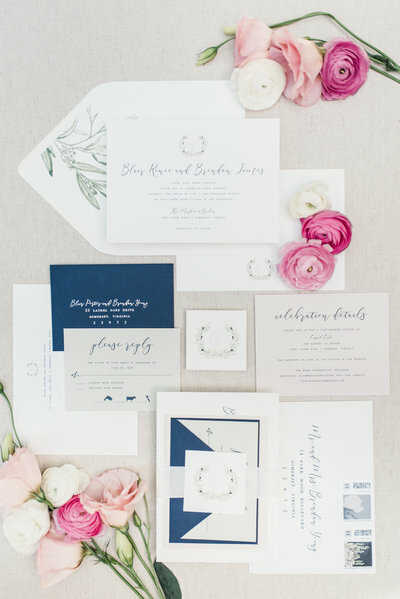 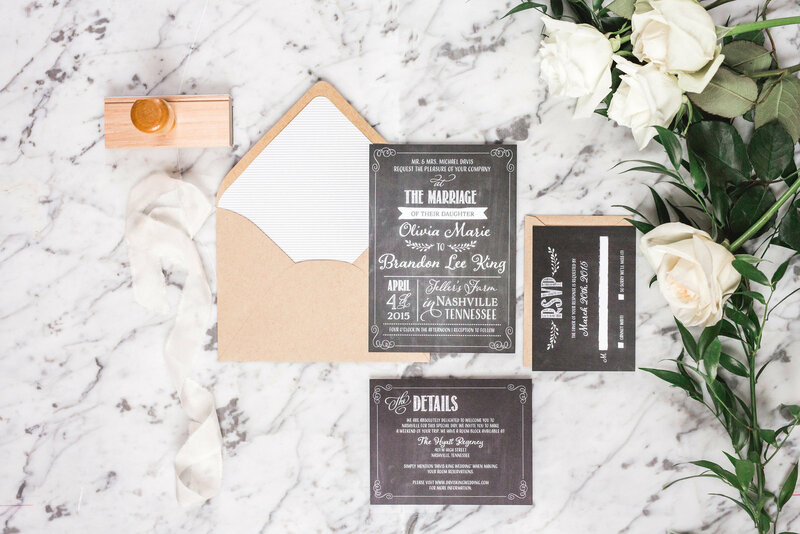 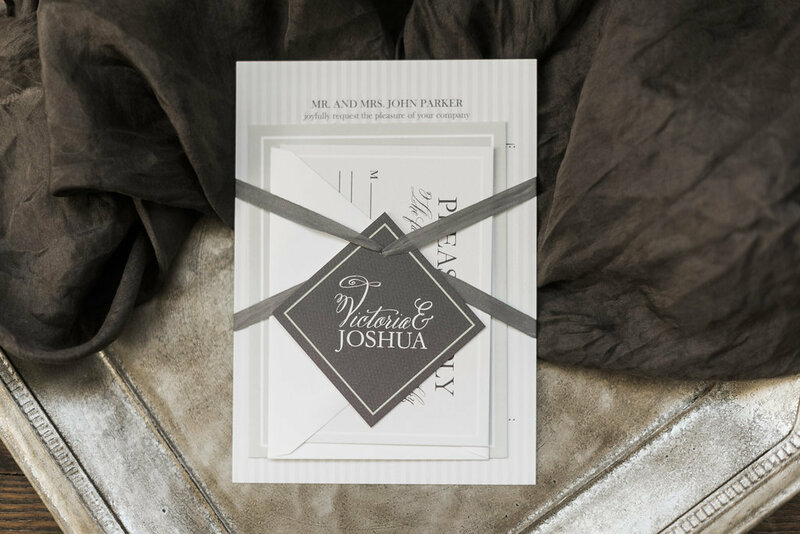 Each suite includes an invitation, response card with envelope, information or details card and main envelope printed on your choice of 120# standard paper or premium cotton paper in white or ivory. 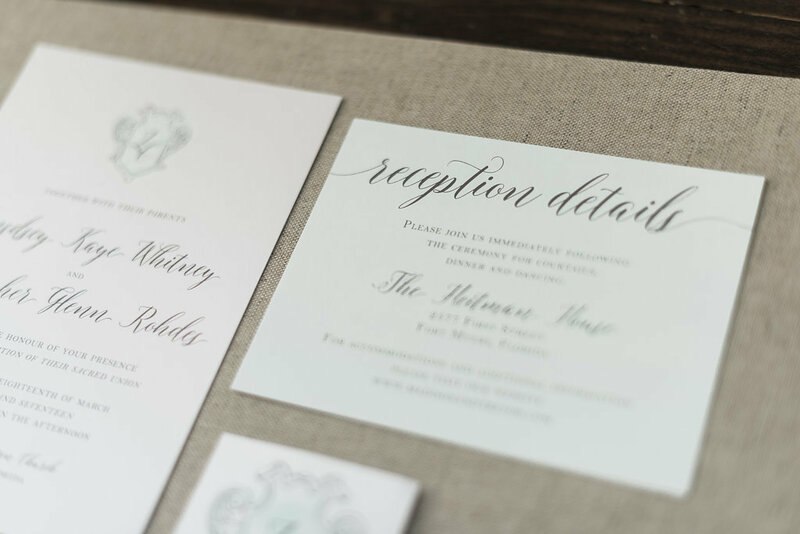 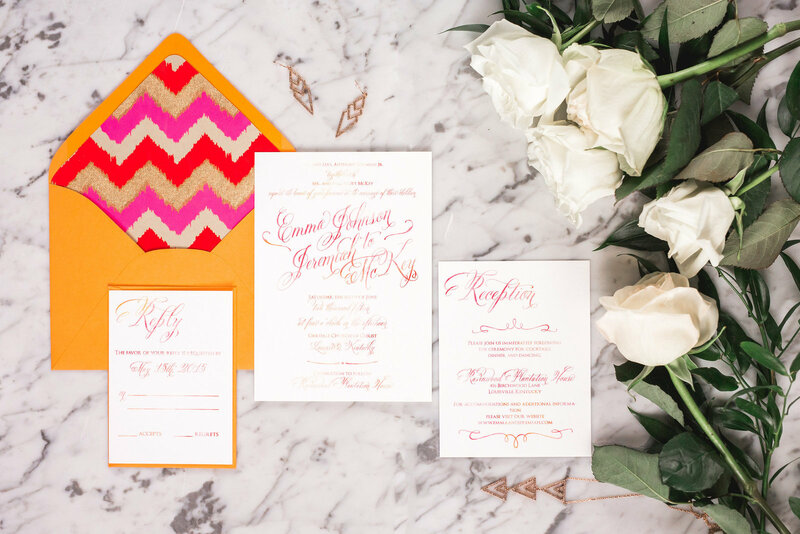 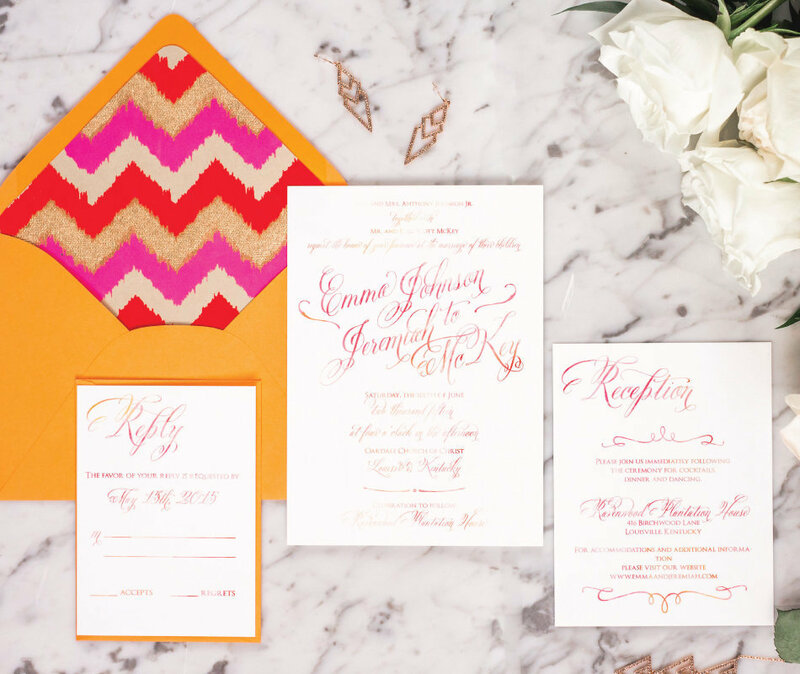 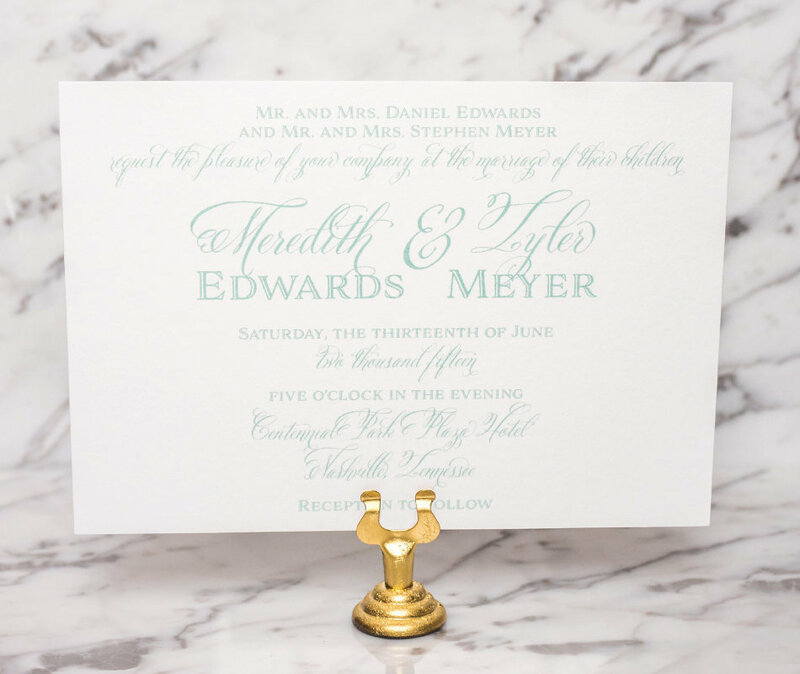 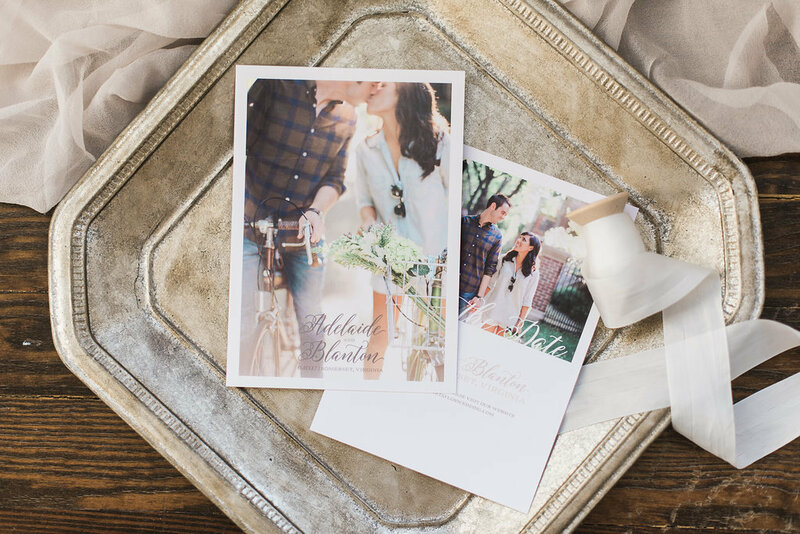 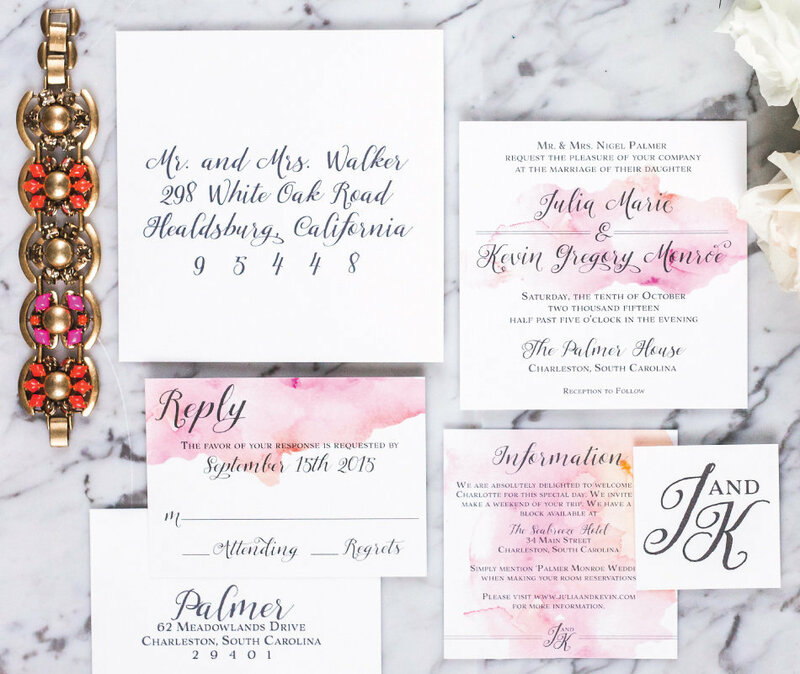 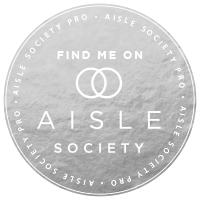 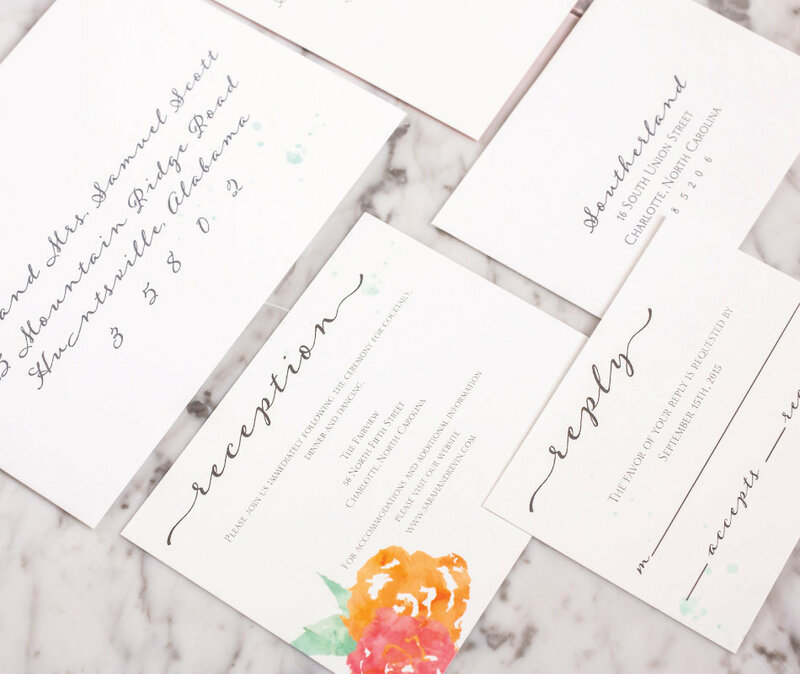 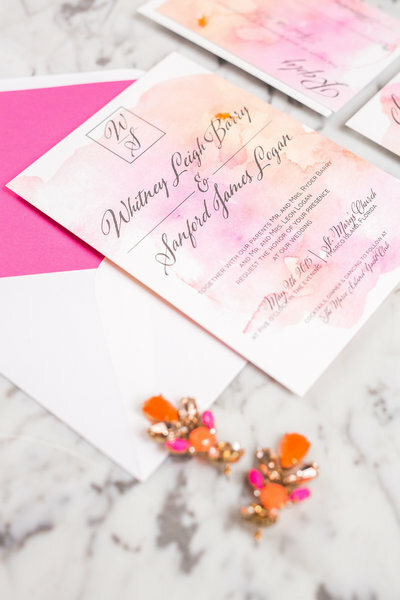 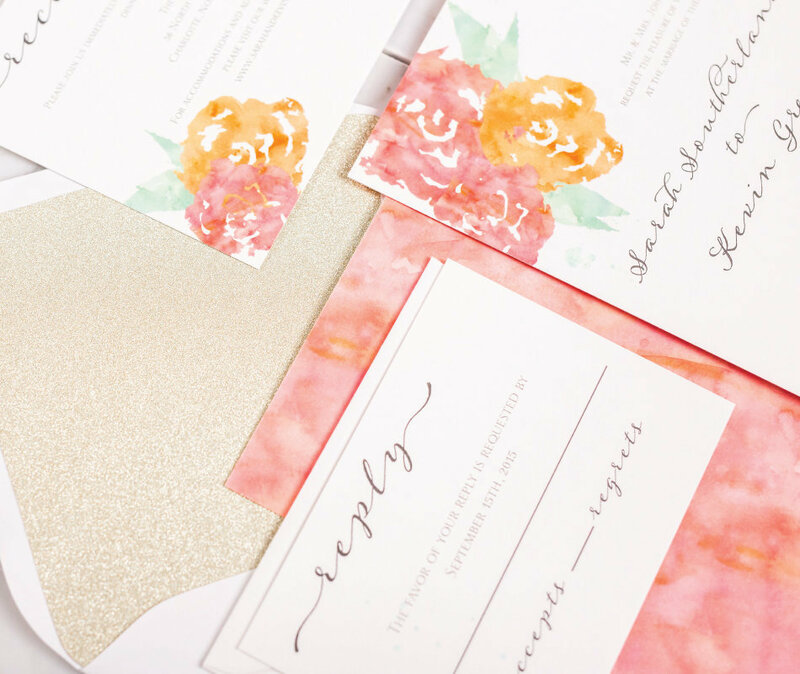 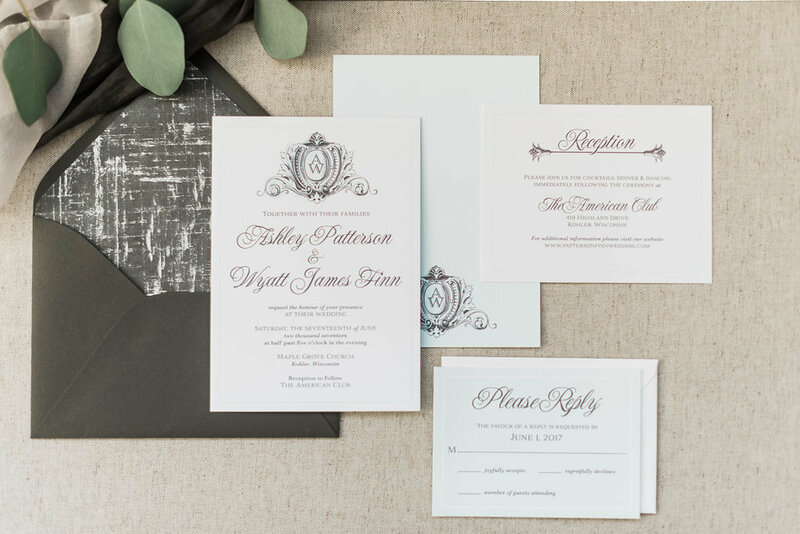 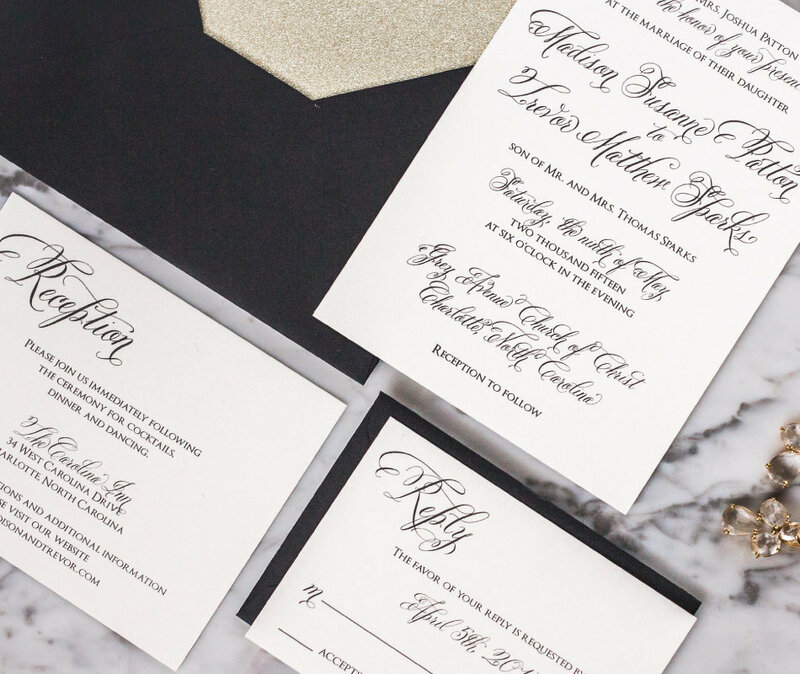 All House Collection suites are available in digital, letterpress or foil printing. 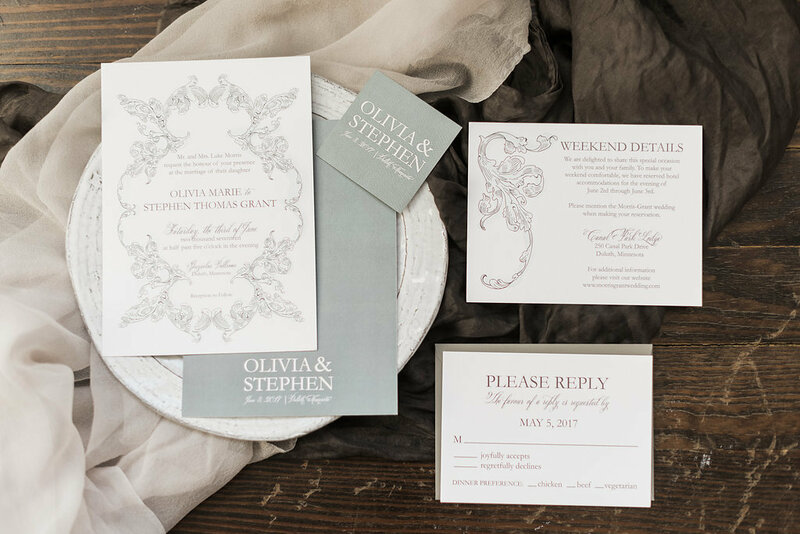 Please click below to download process and pricing information or request a customized quote!